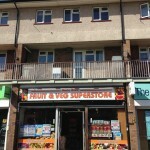 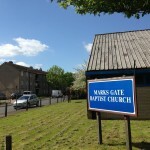 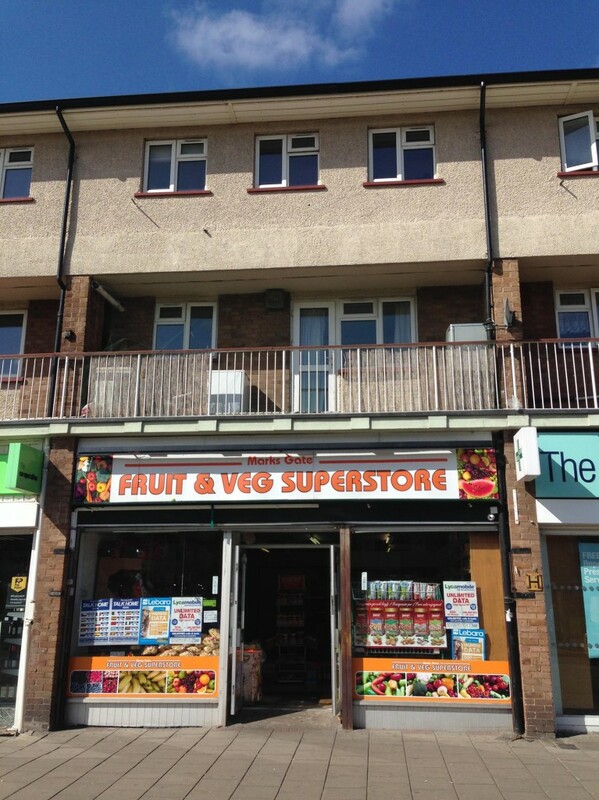 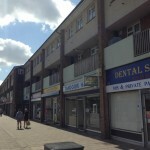 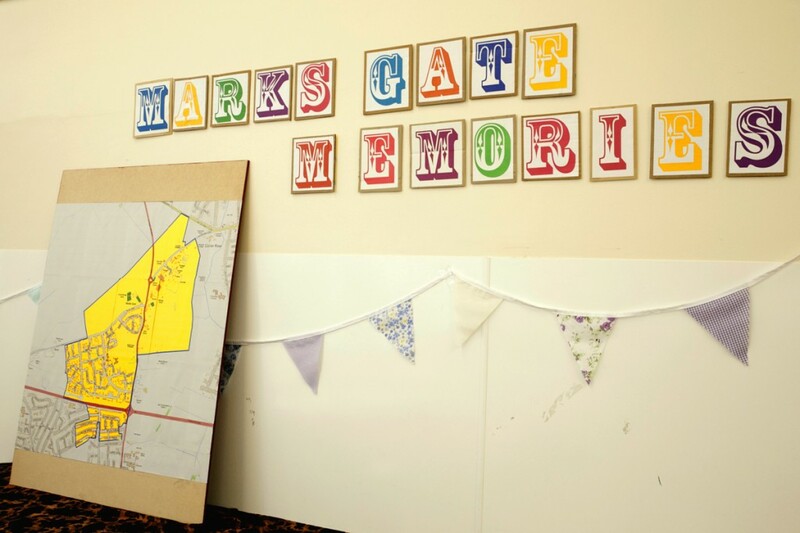 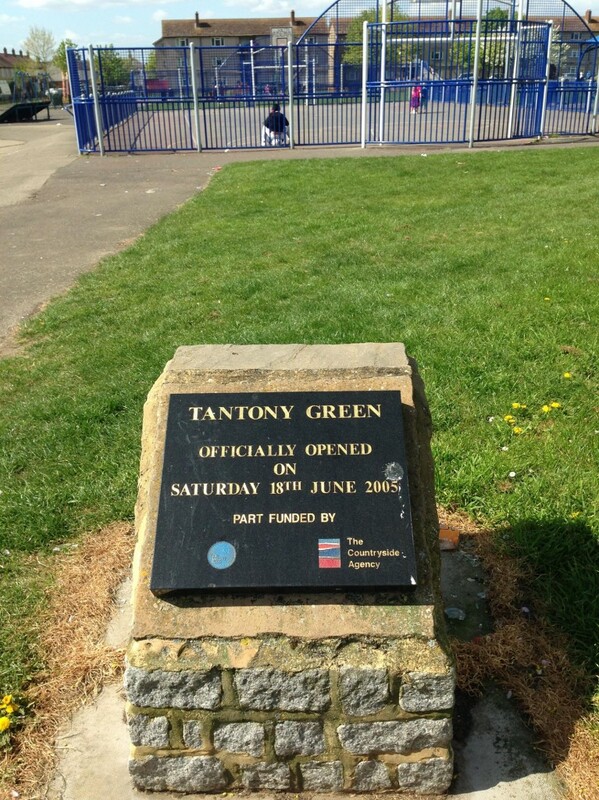 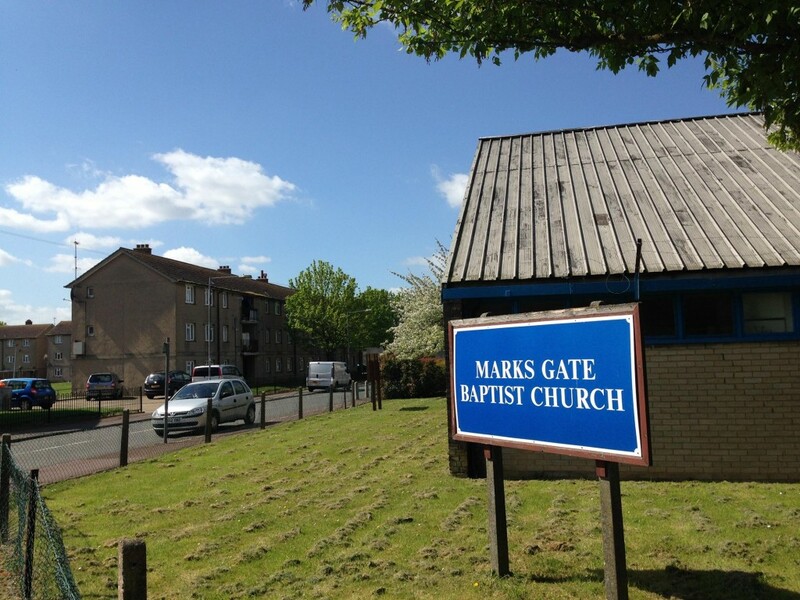 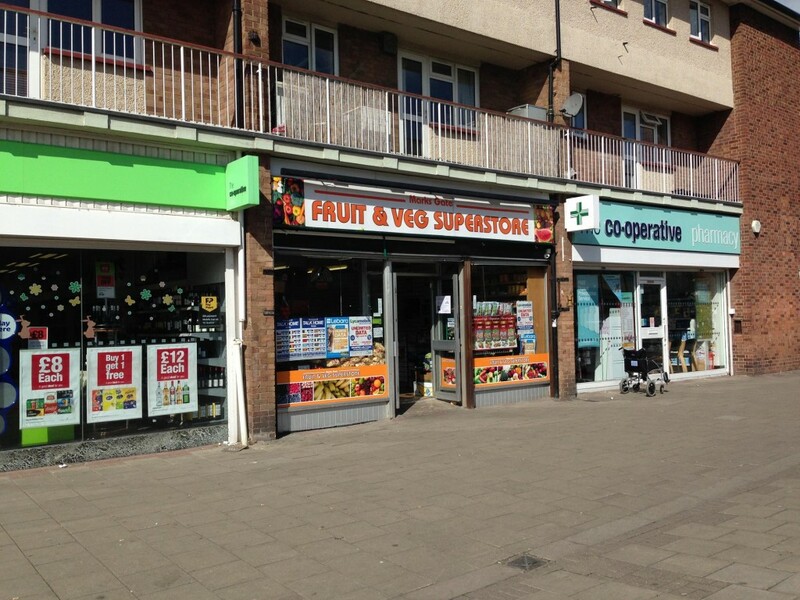 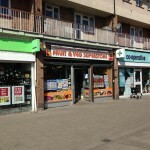 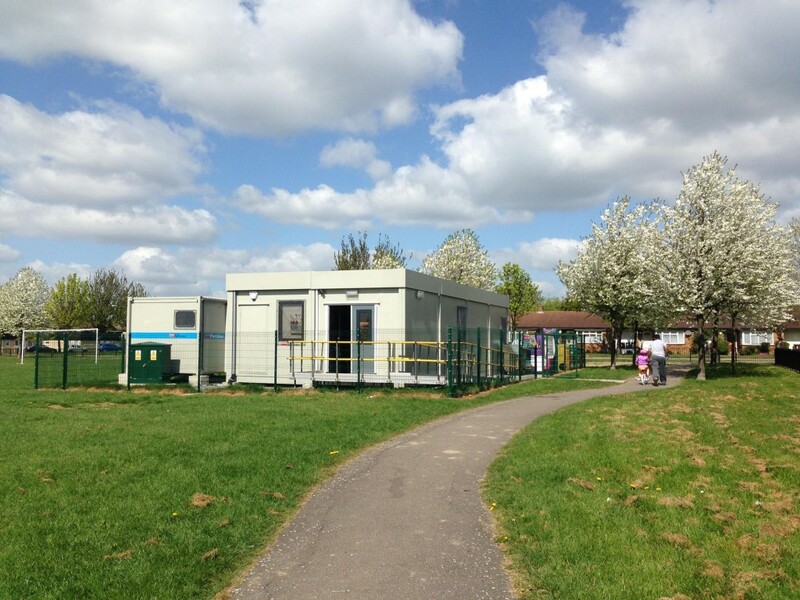 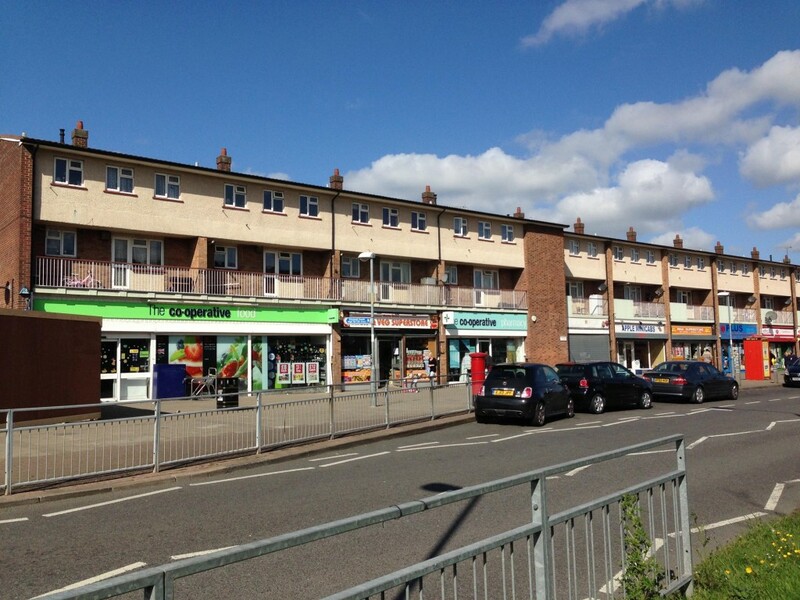 A selection of photos from all of the activities and events to date that we have hosted and delivered during our time on Marks Gate. 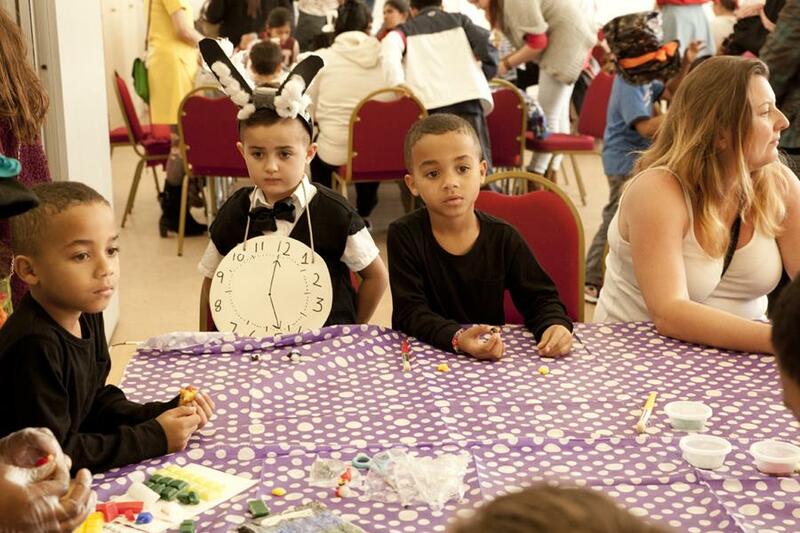 We hosted our final event on the estate on Tuesday 28th October and it was certainly a day to remember! 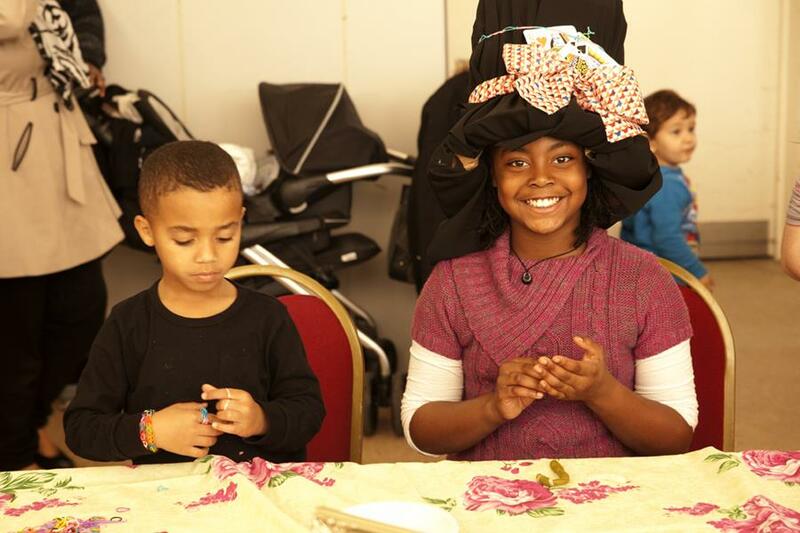 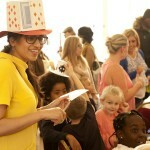 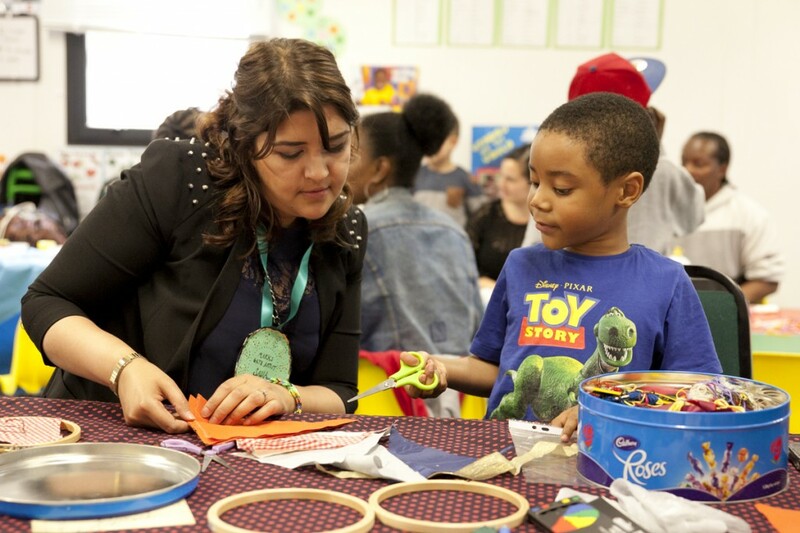 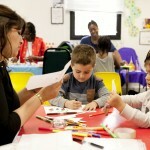 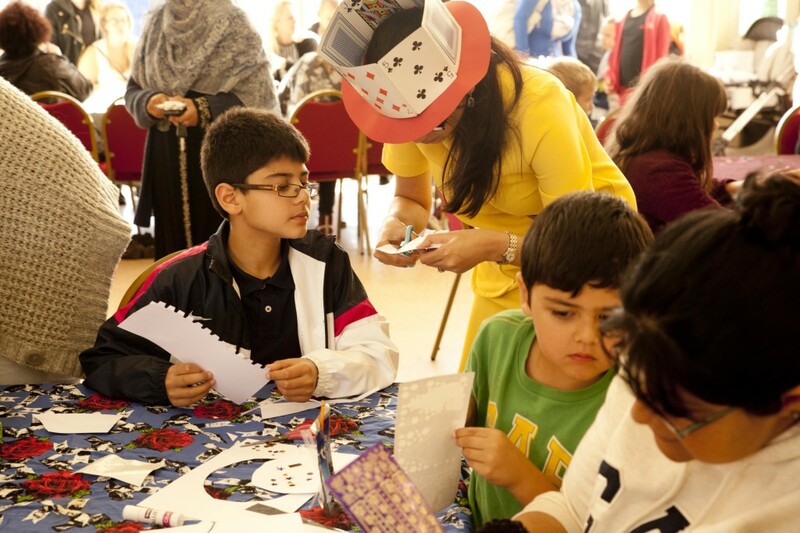 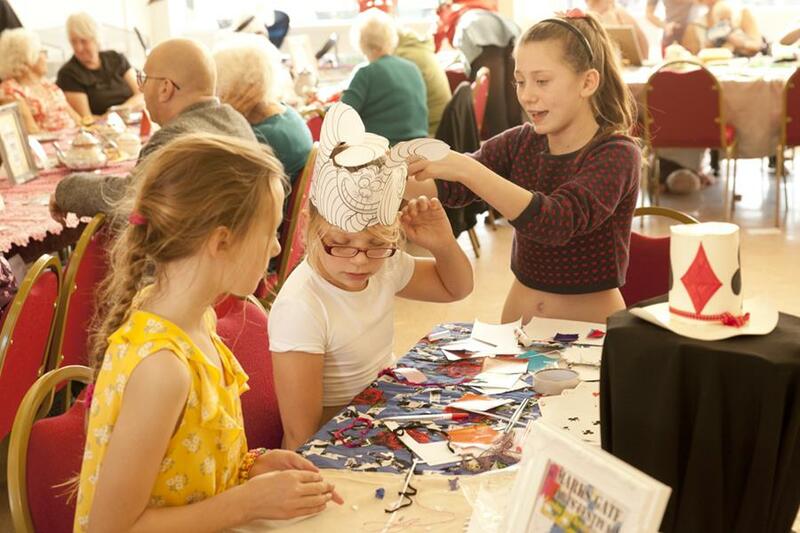 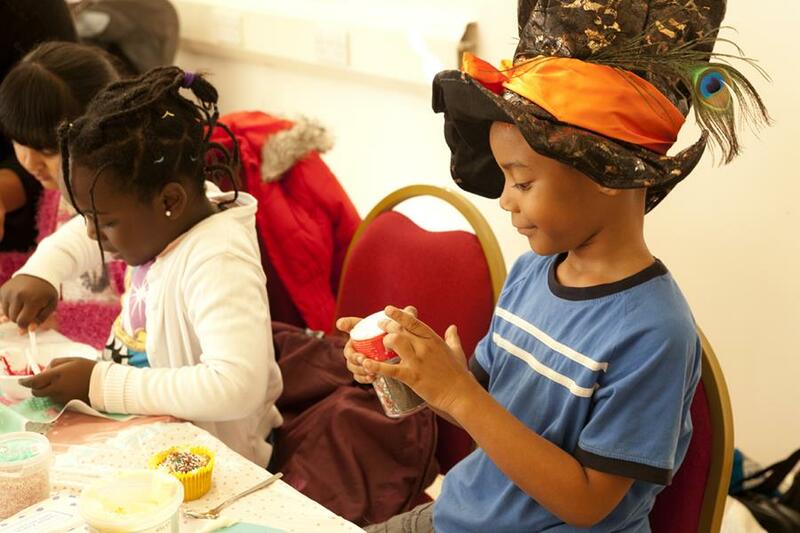 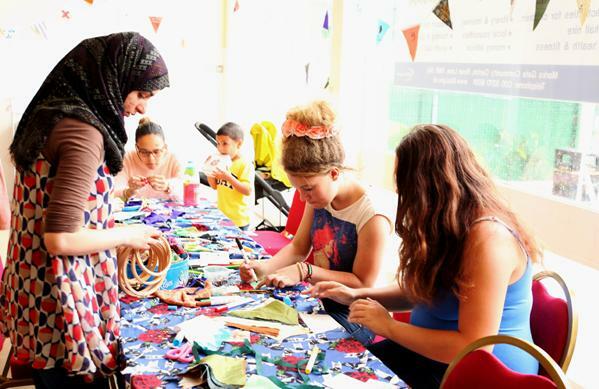 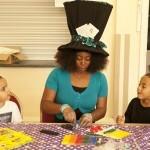 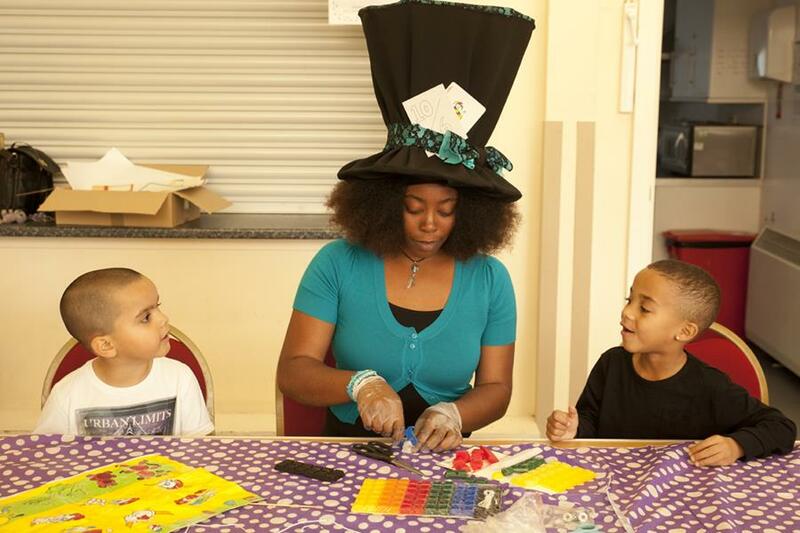 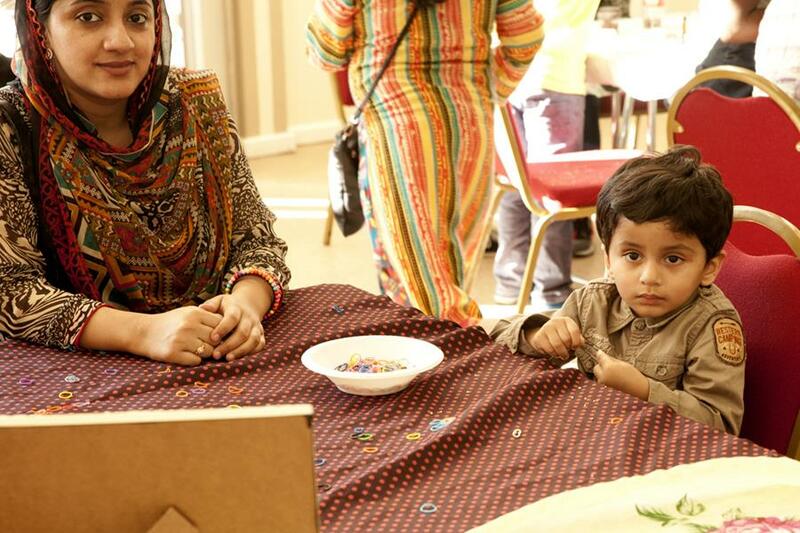 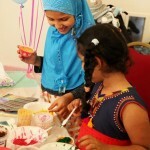 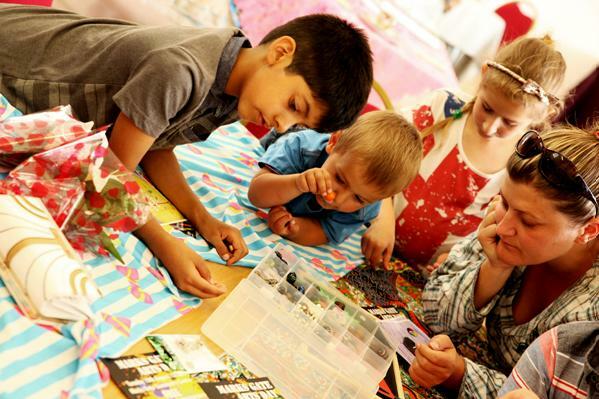 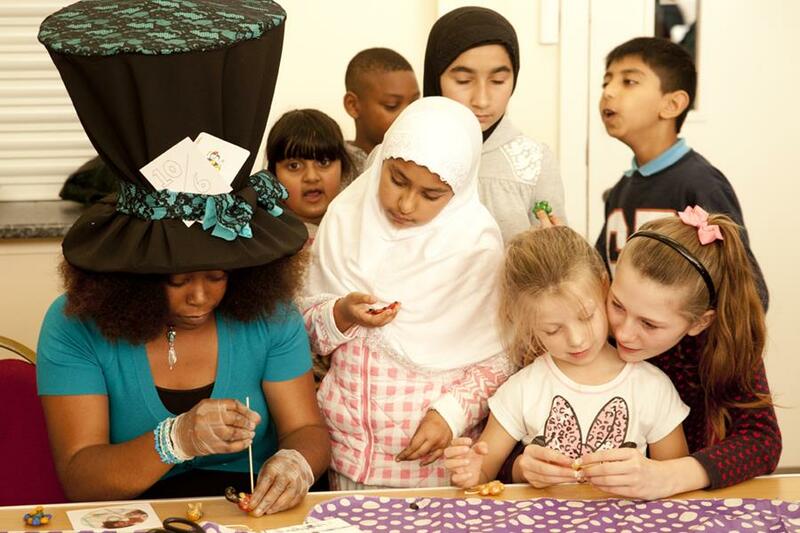 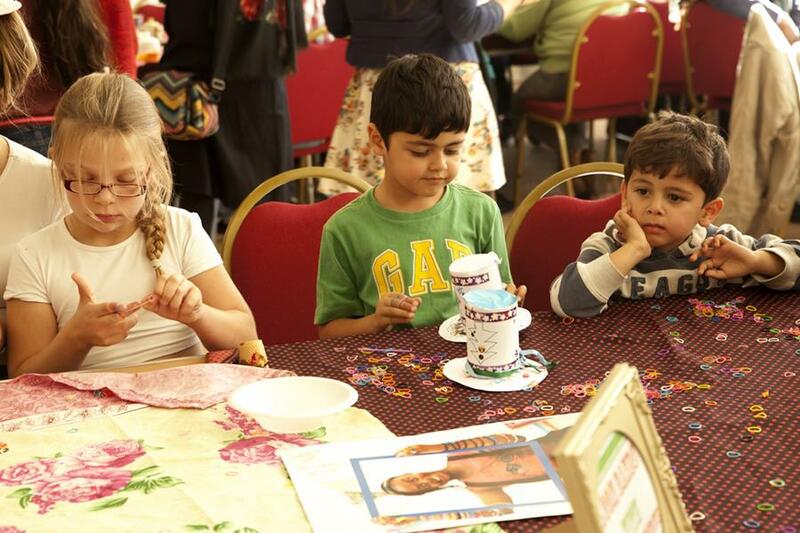 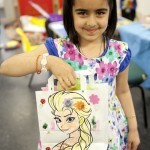 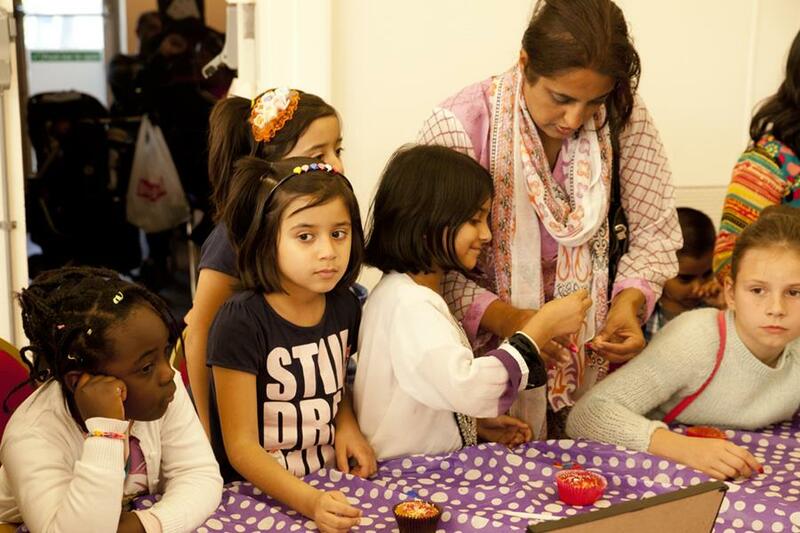 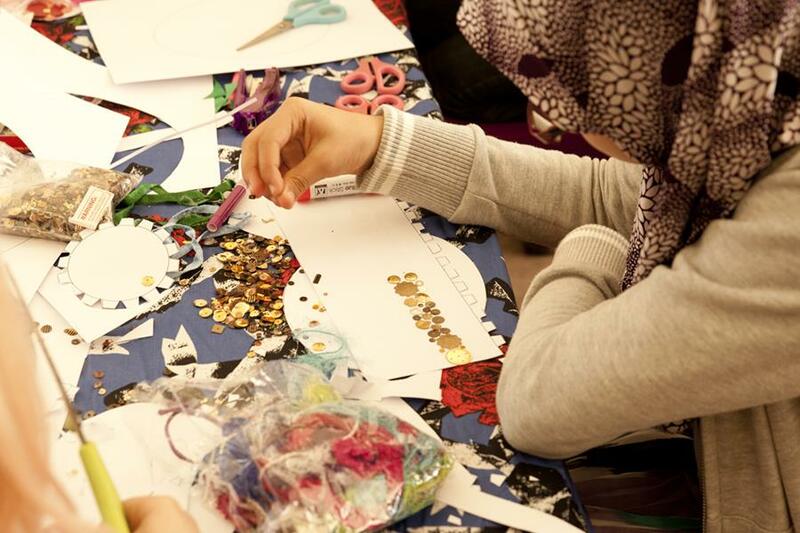 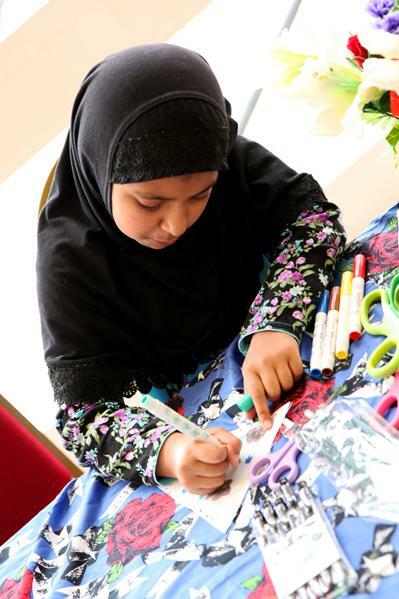 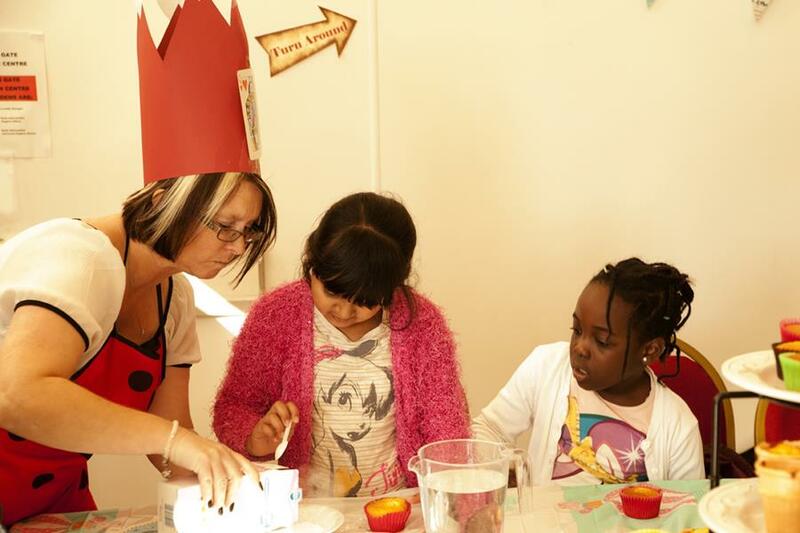 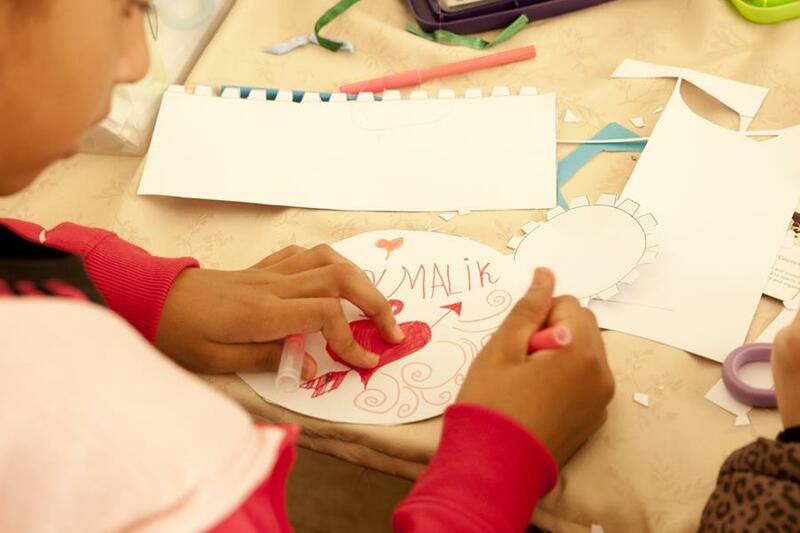 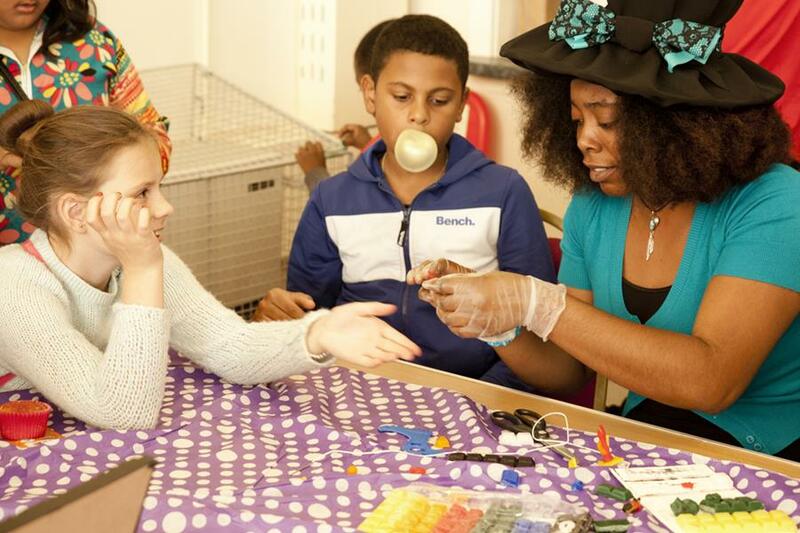 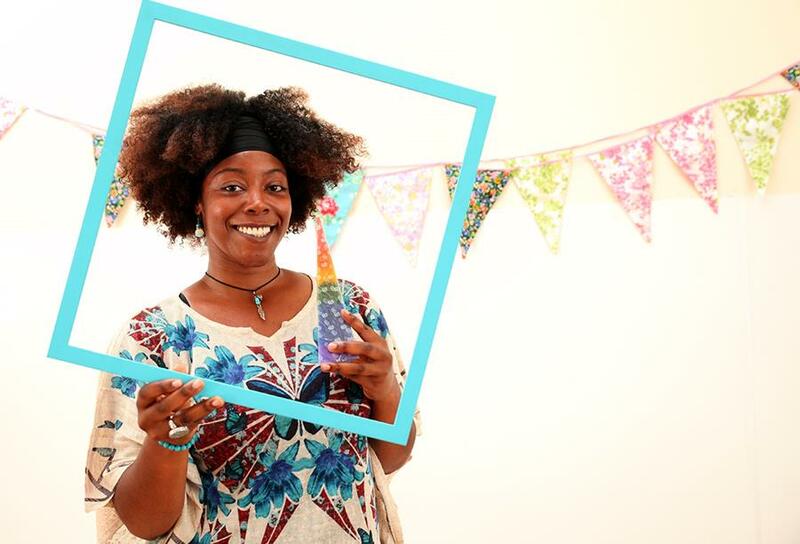 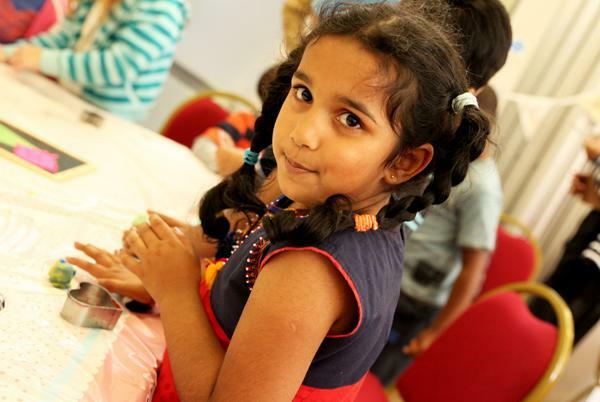 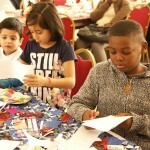 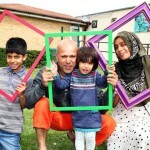 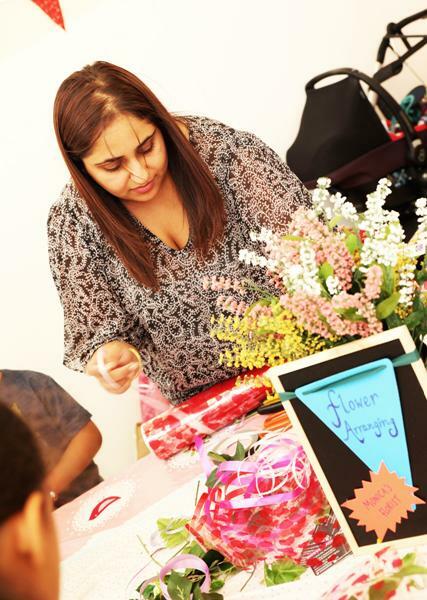 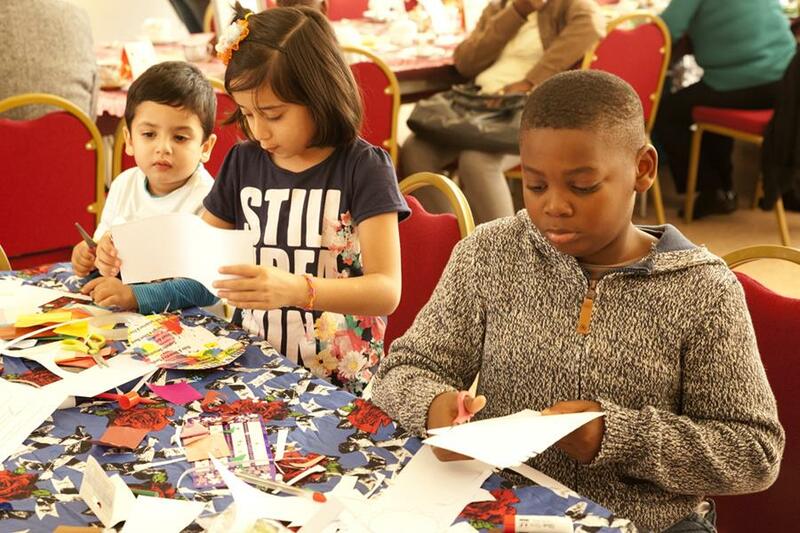 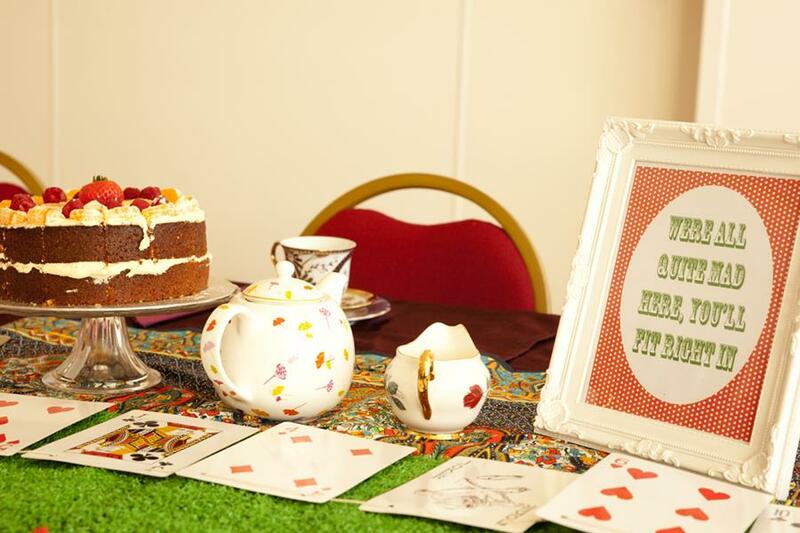 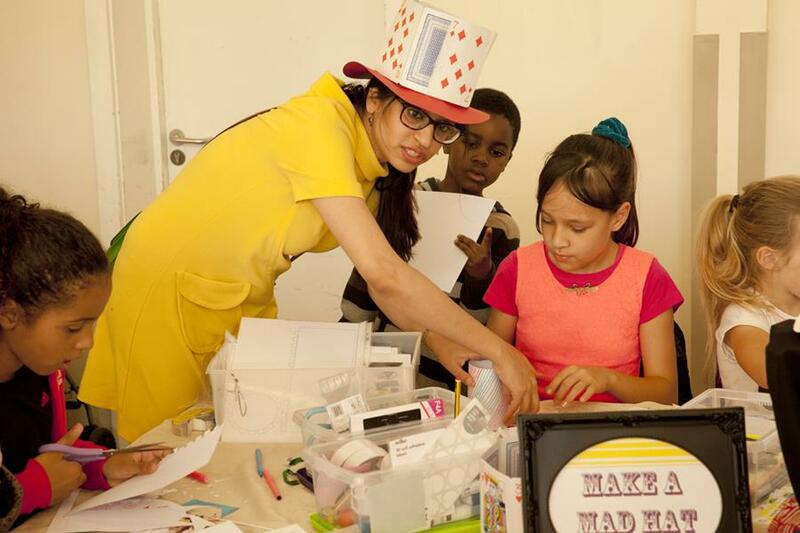 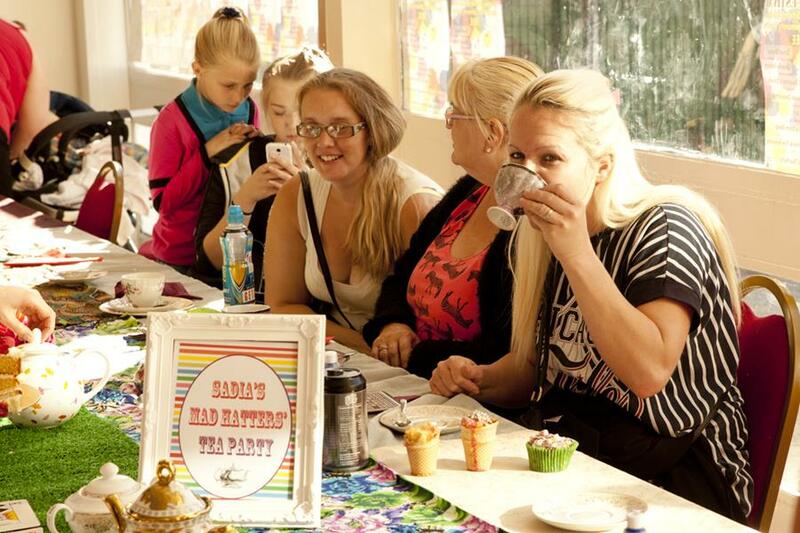 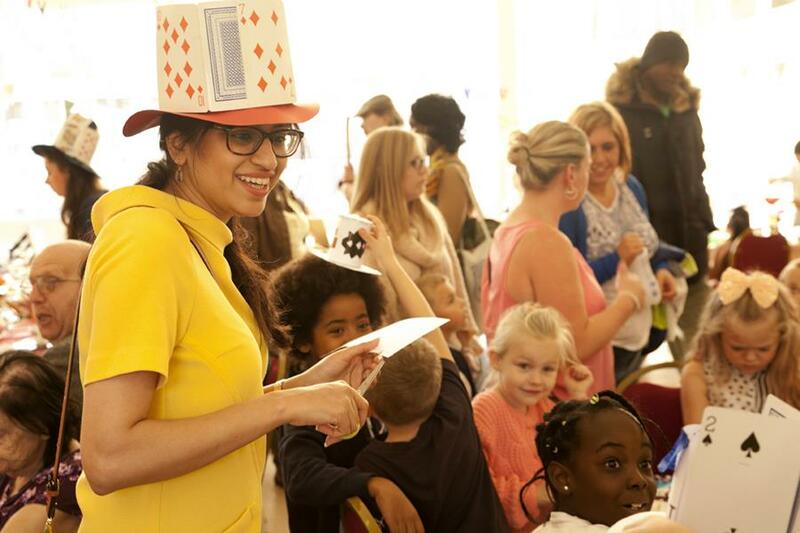 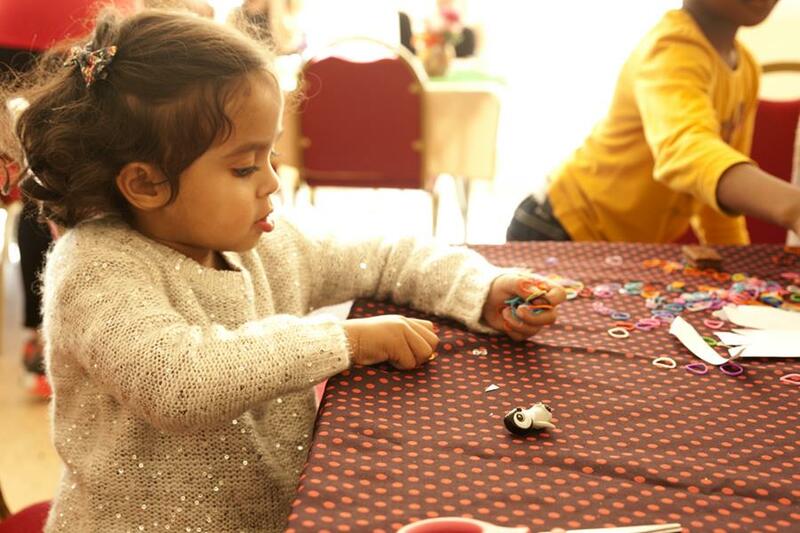 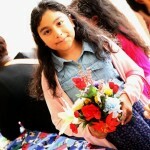 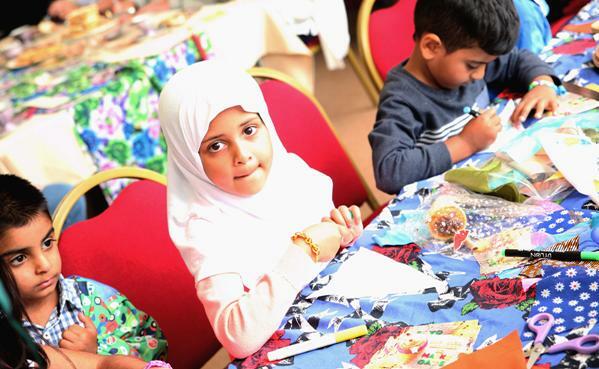 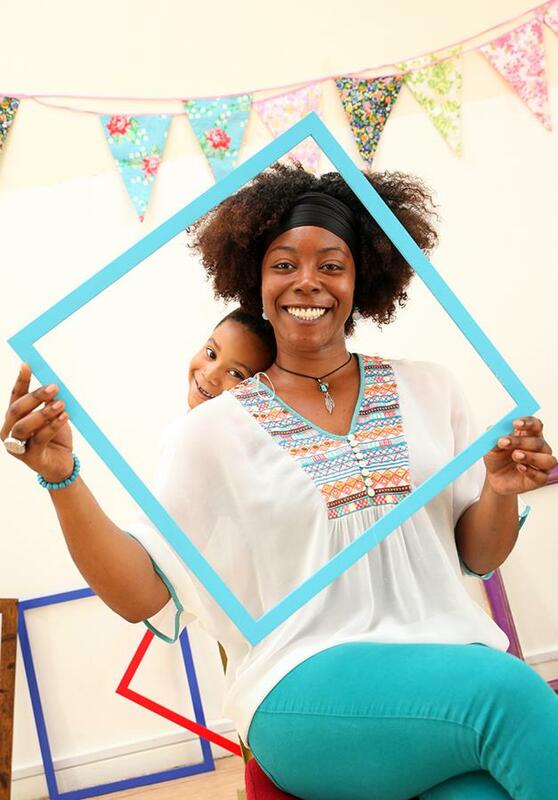 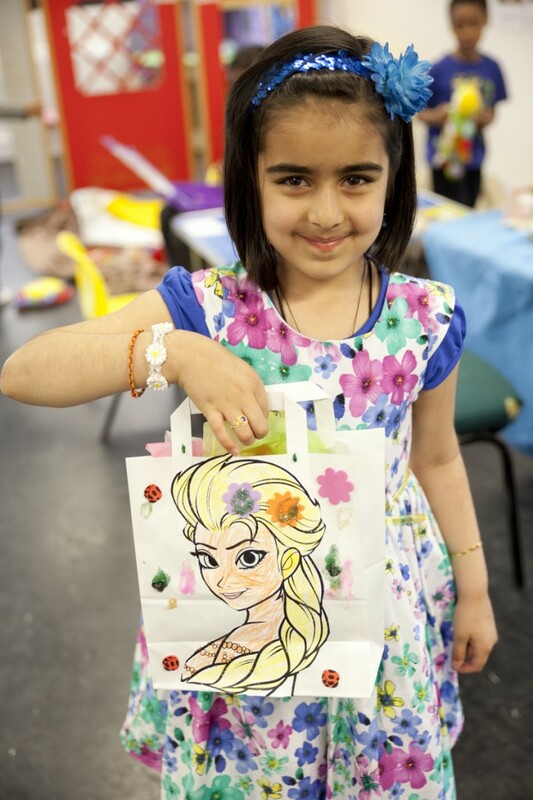 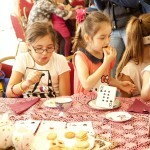 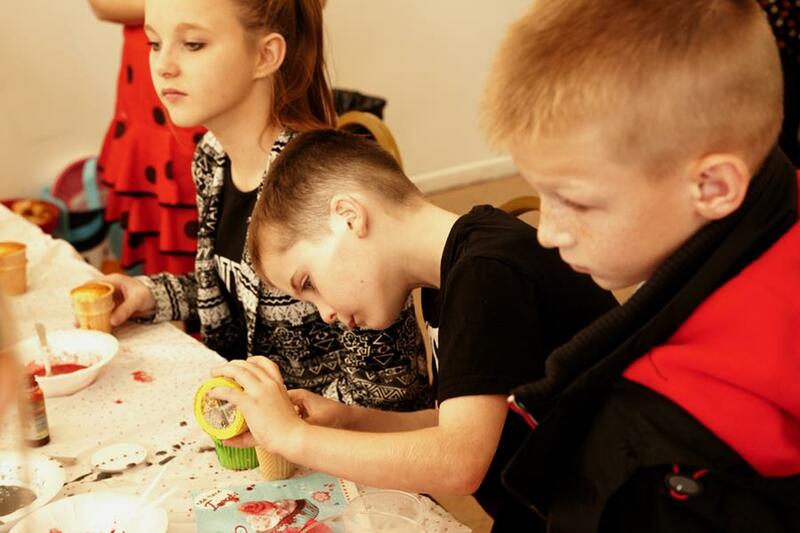 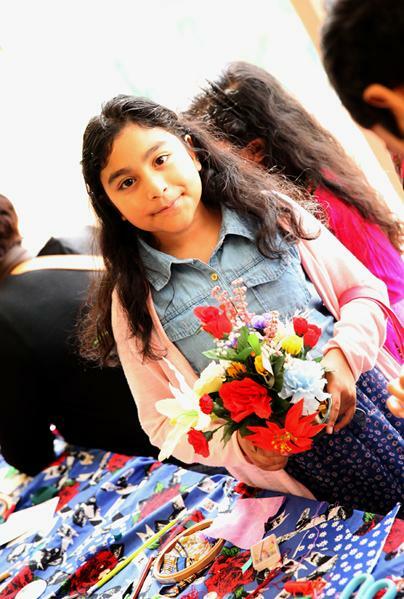 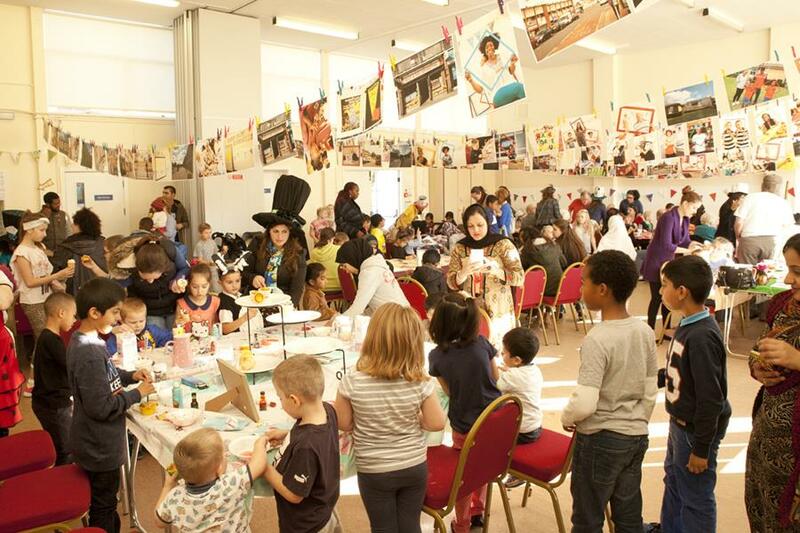 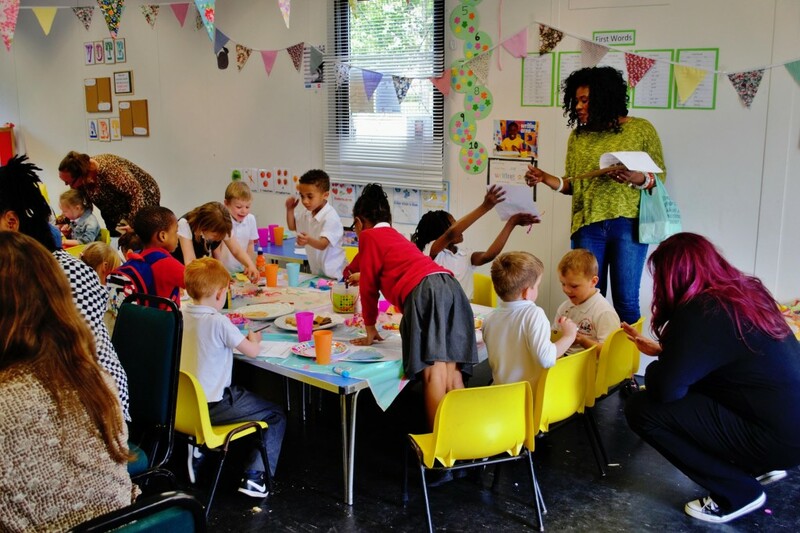 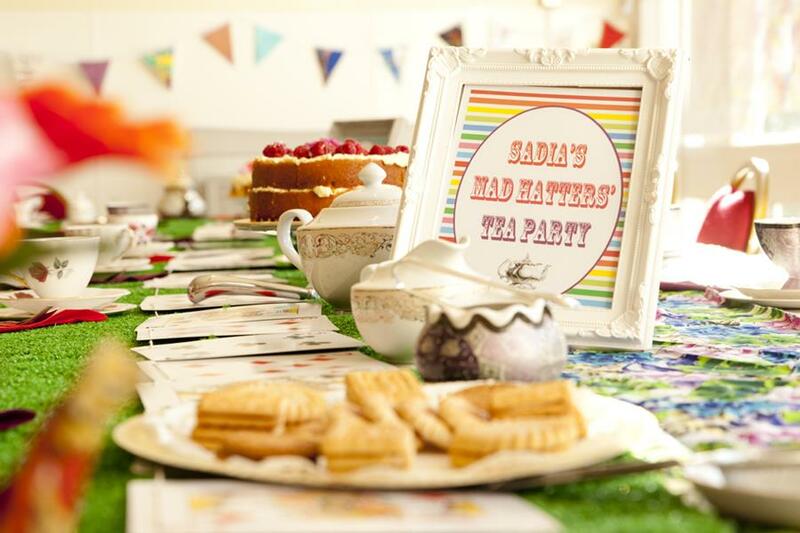 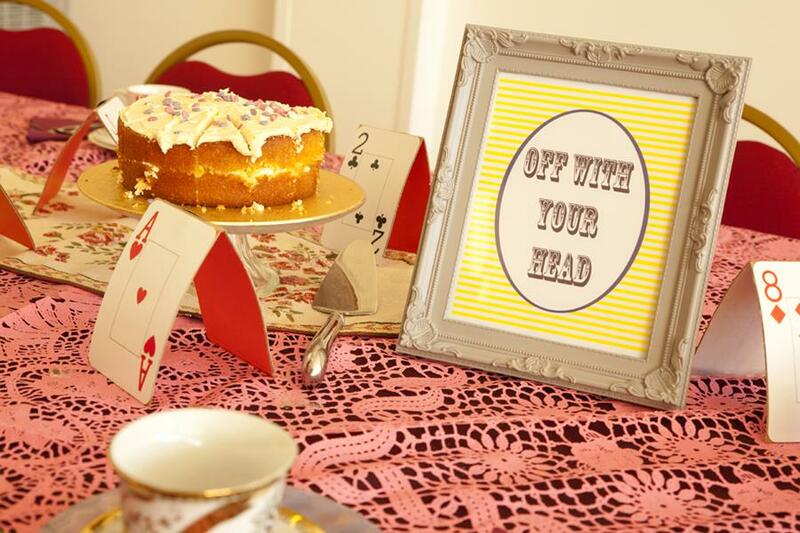 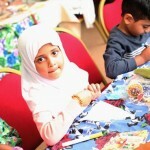 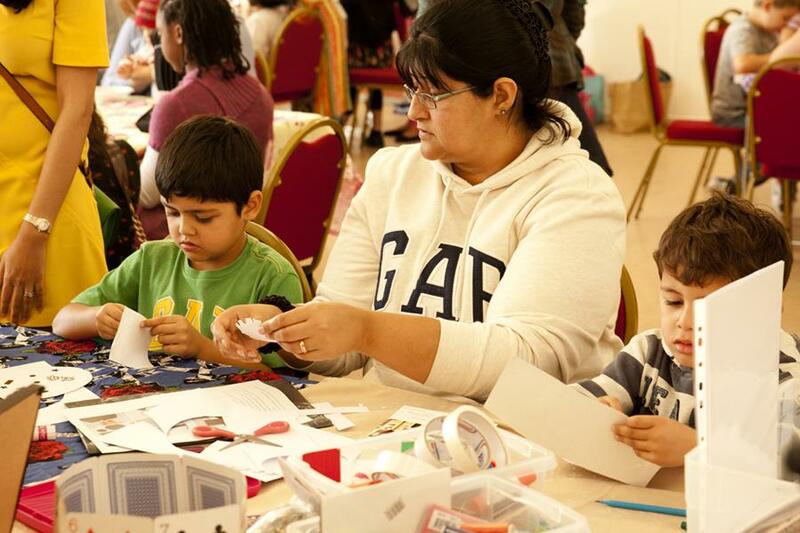 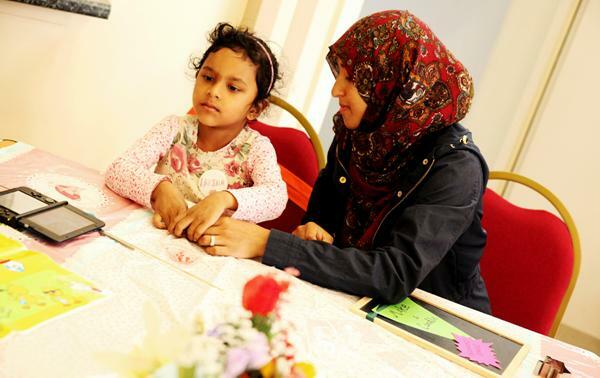 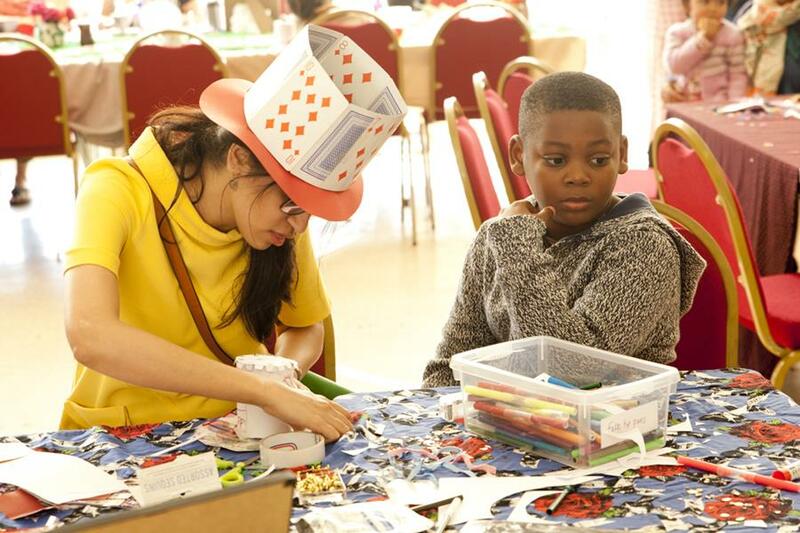 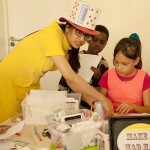 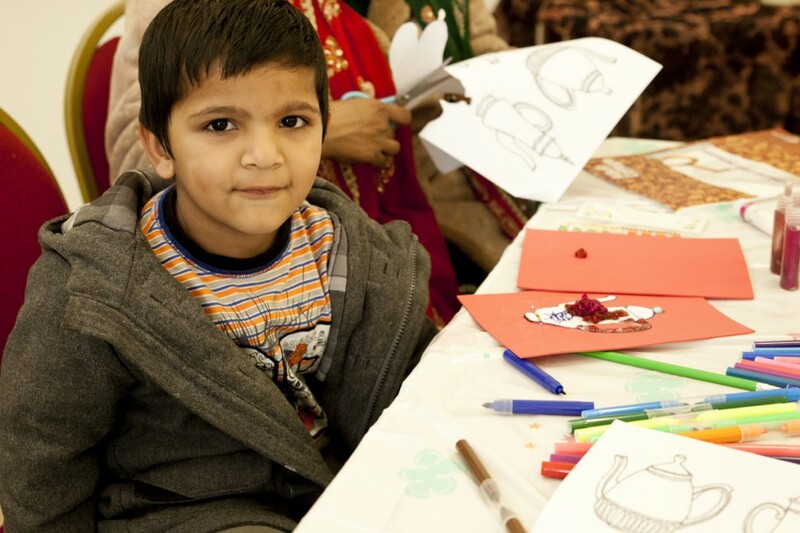 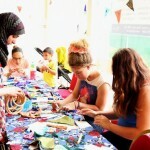 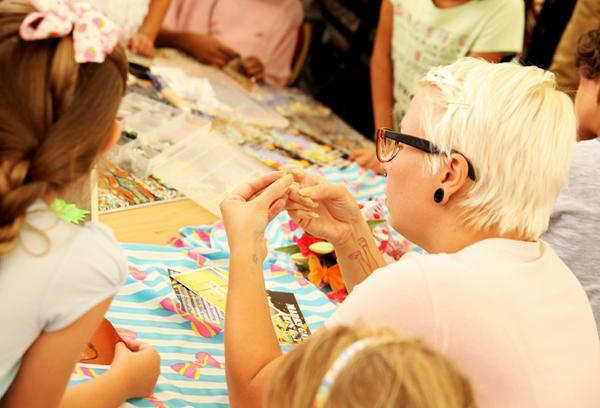 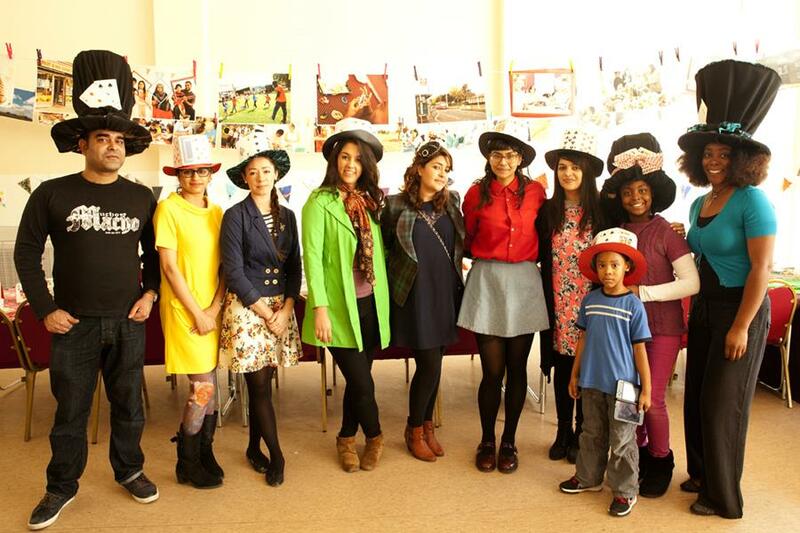 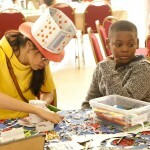 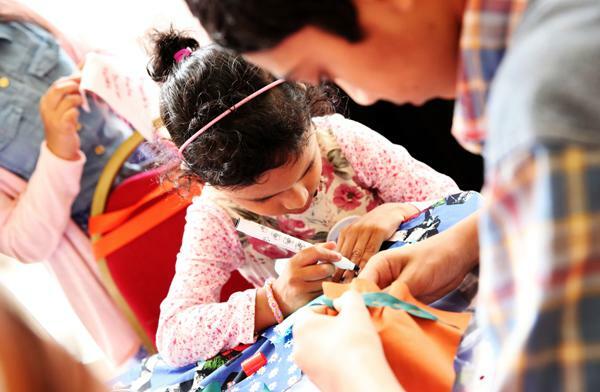 The Marks Gate Arts Festival featured local creative Marks Gate talent joining forces with artist Sadia Ur-Rehman in a ‘Mad Hatter’ themed event. 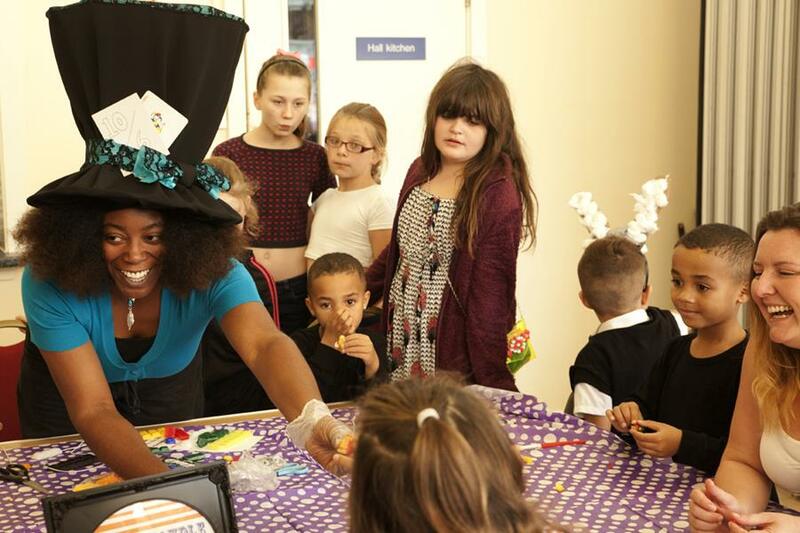 The event was a tumble down the rabbit hole for a unique Mad Hatters Tea Party with a whole host of exciting and creative activities including; hat making, cupcake decoration, street dance, candle making and decorating, loom bands, street art and an exhibition of the ‘Framing Marks Gate’ photographs and films. 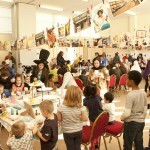 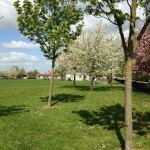 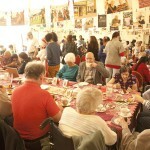 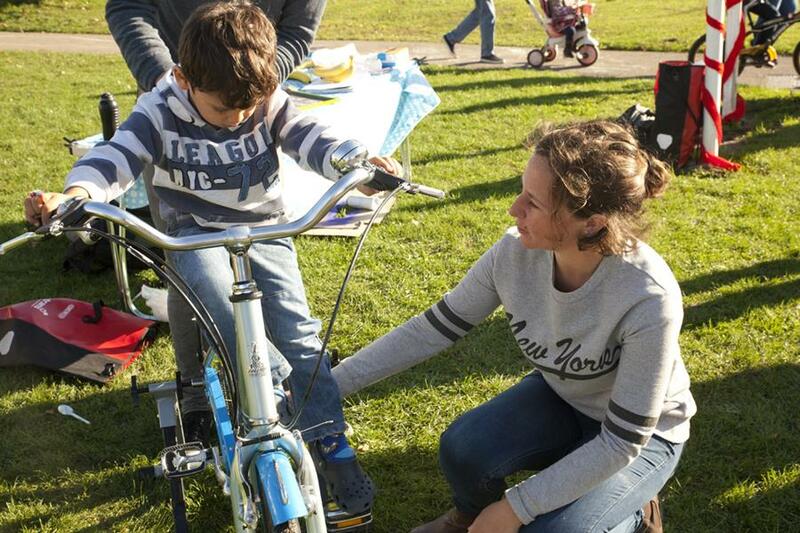 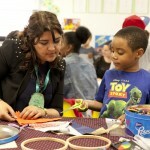 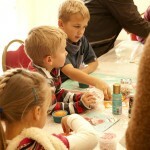 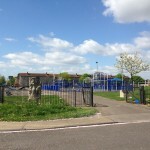 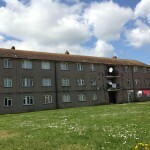 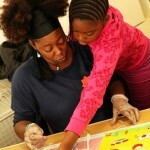 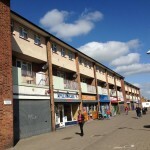 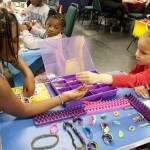 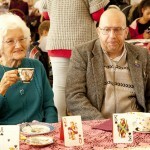 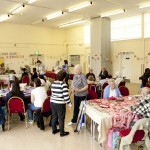 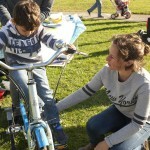 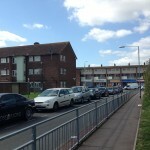 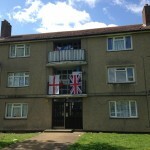 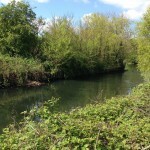 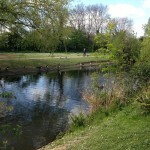 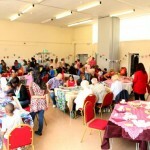 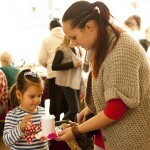 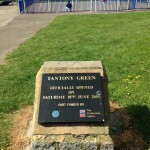 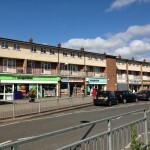 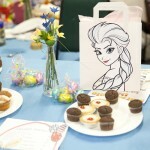 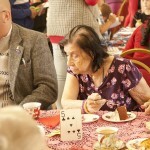 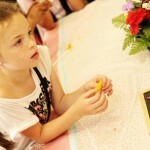 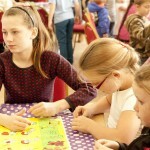 Over 200 local residents attended the bonanza. 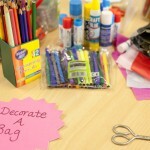 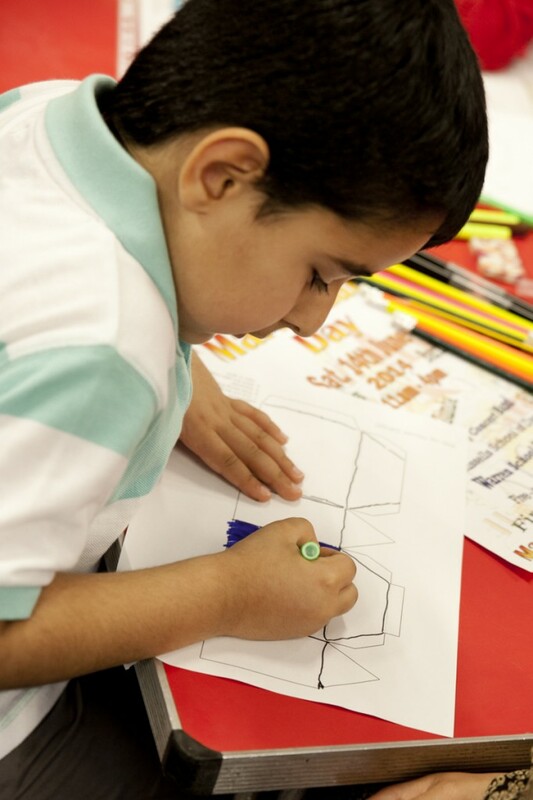 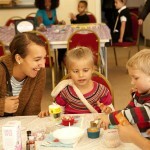 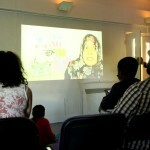 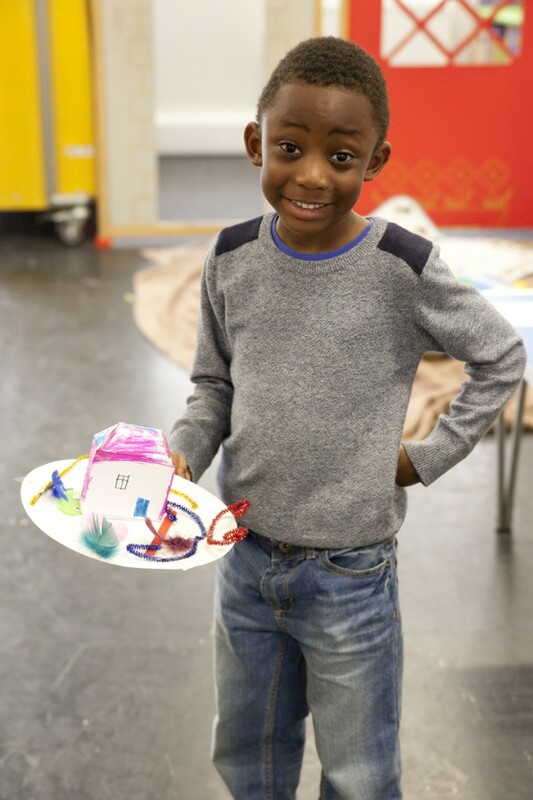 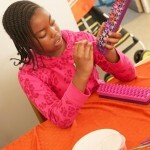 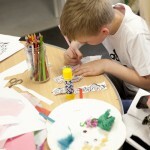 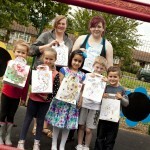 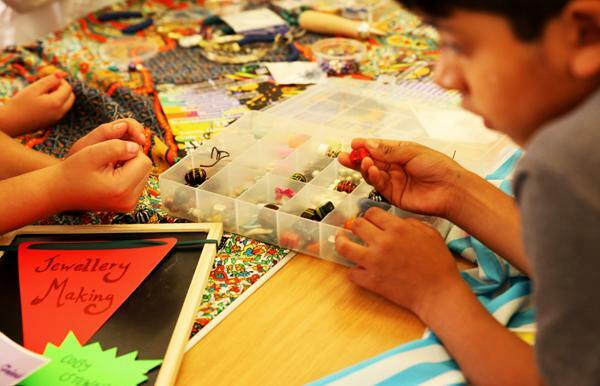 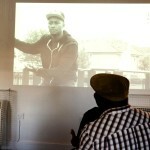 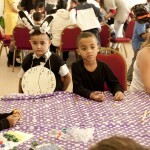 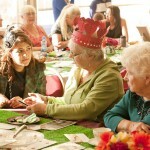 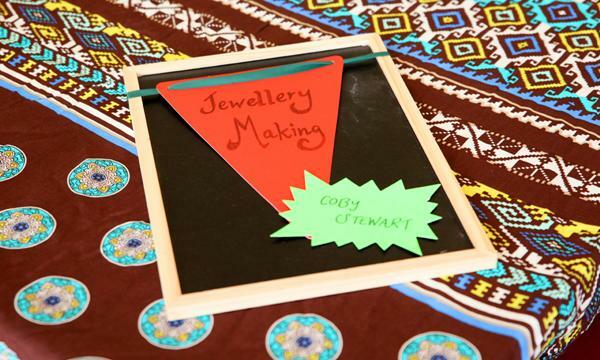 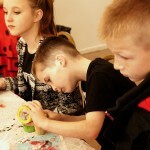 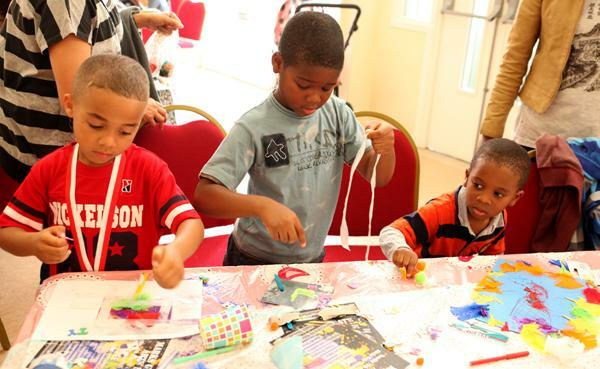 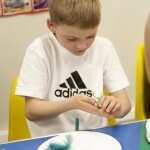 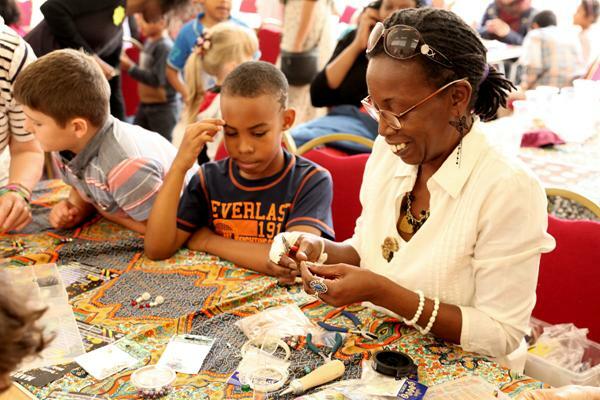 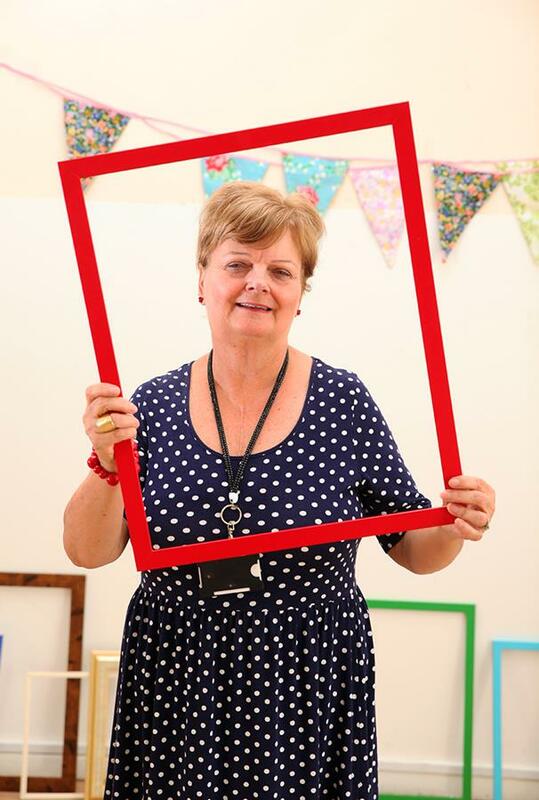 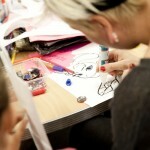 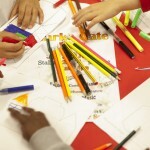 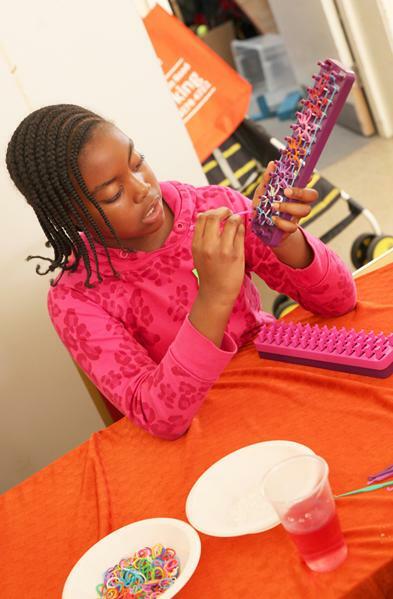 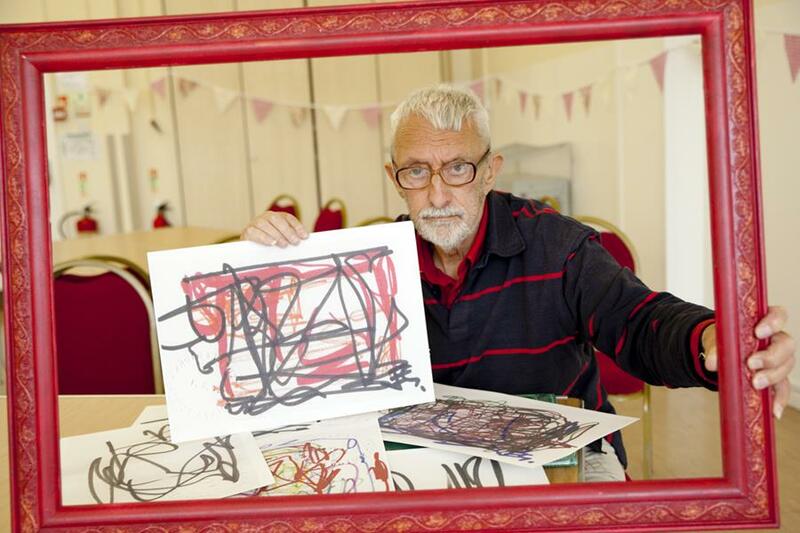 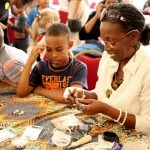 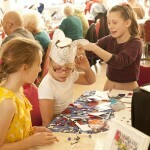 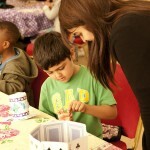 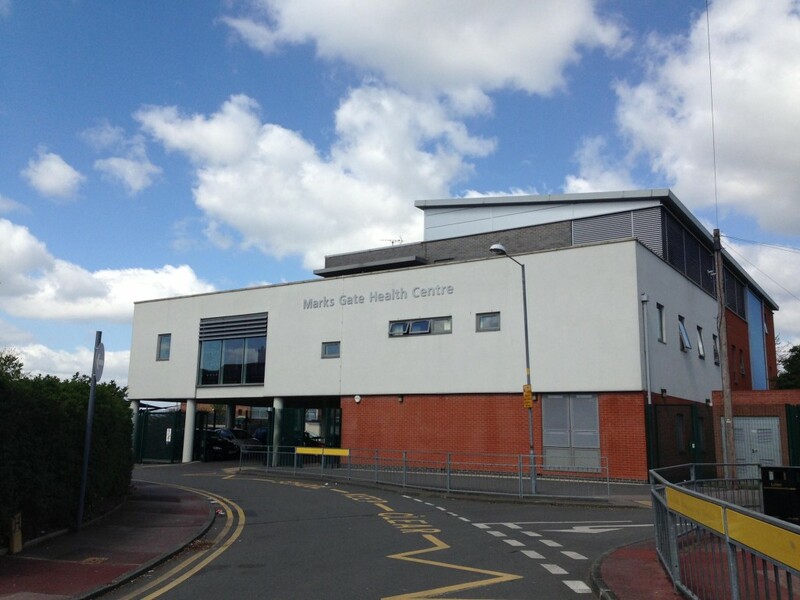 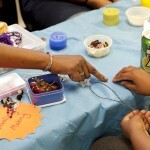 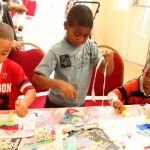 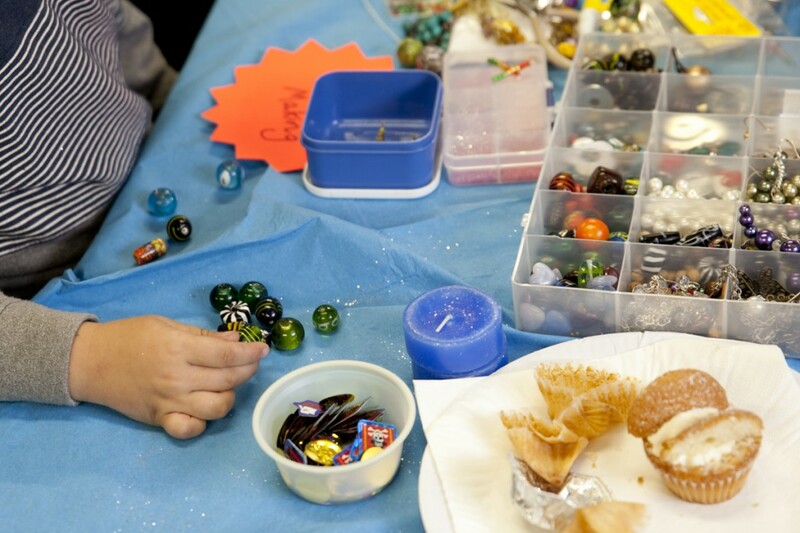 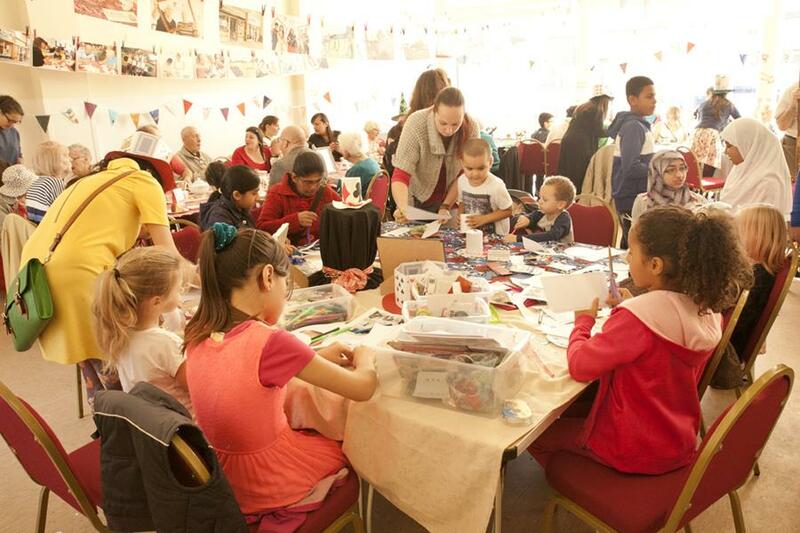 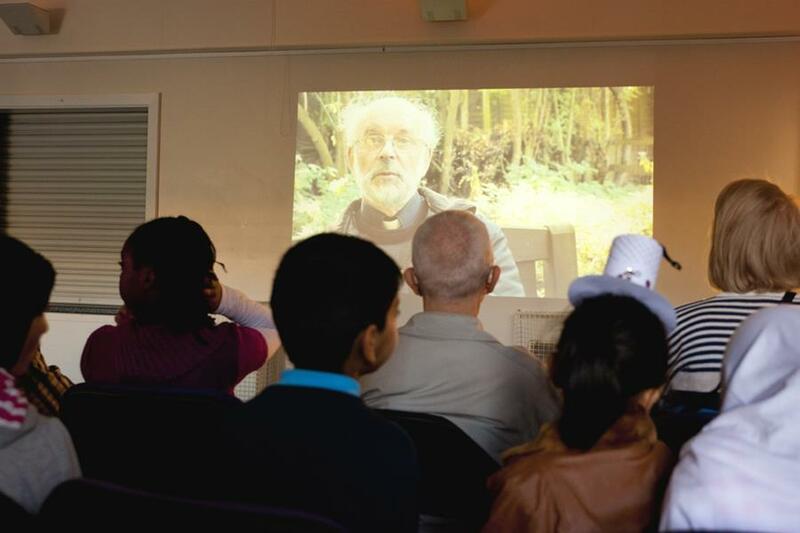 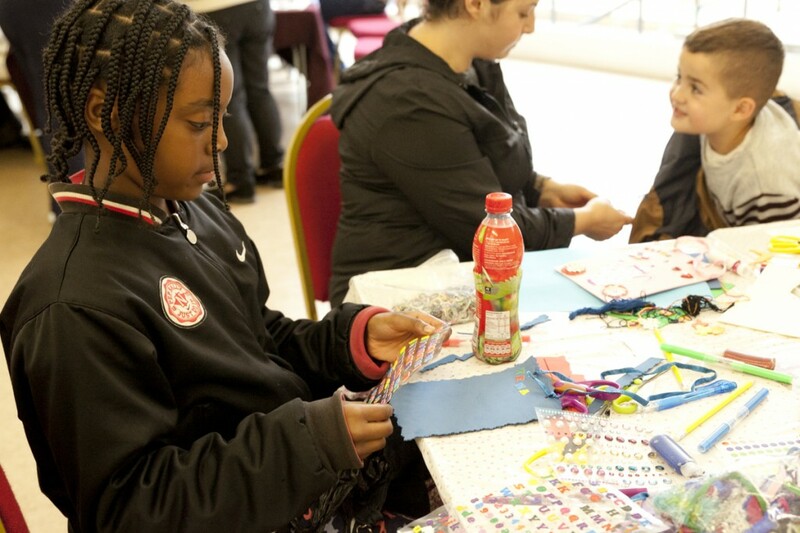 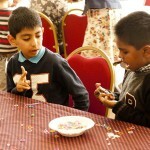 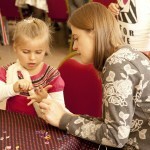 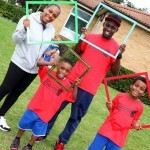 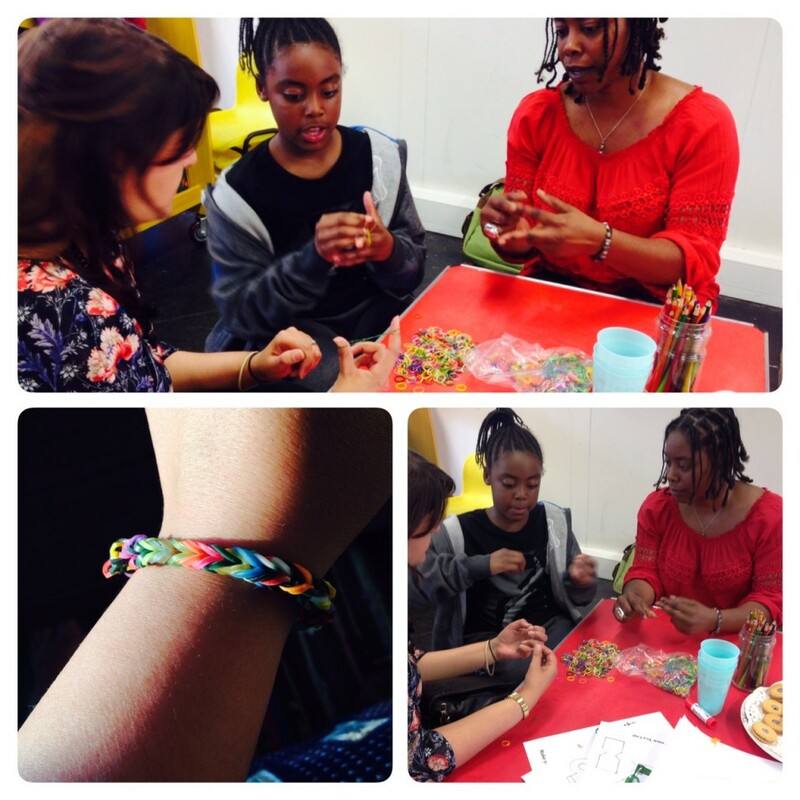 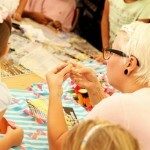 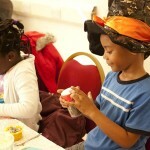 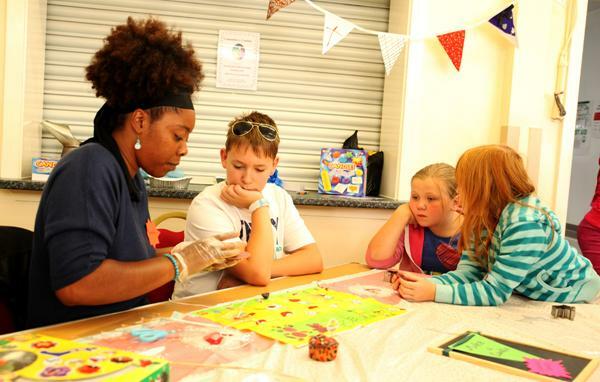 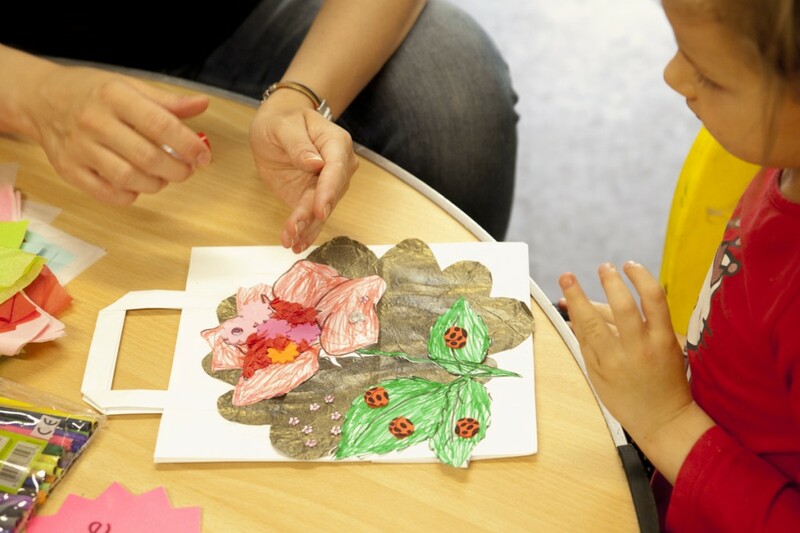 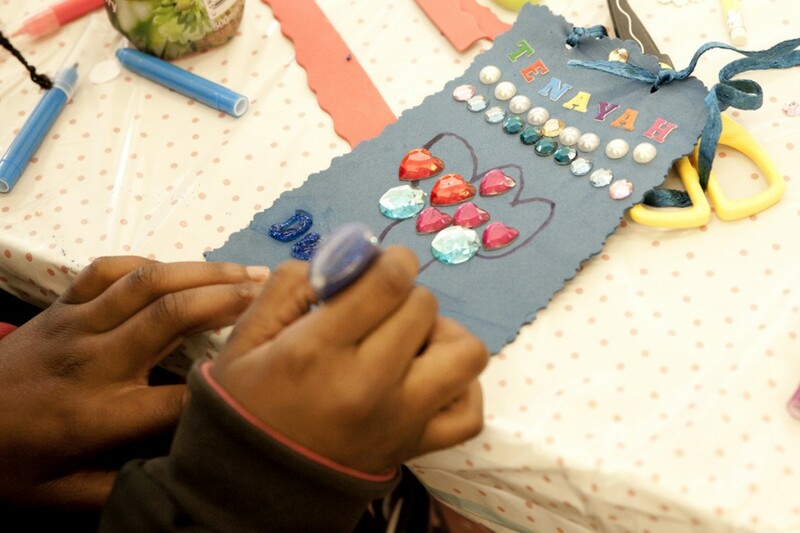 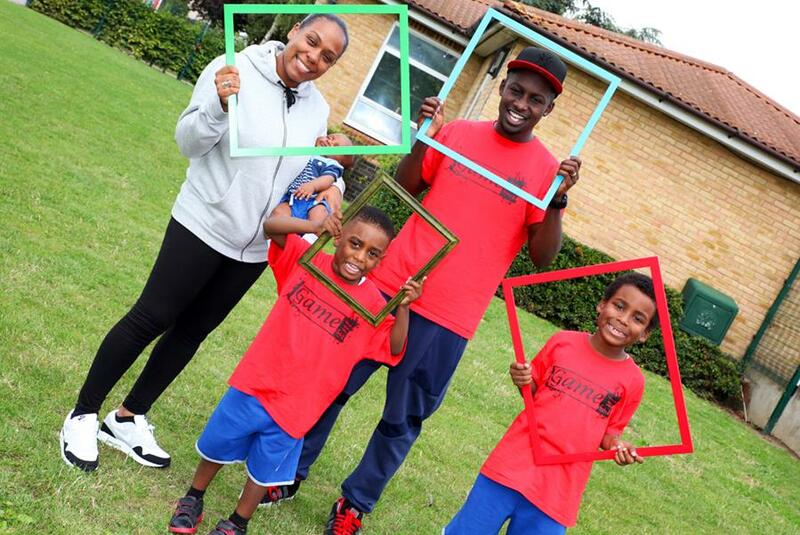 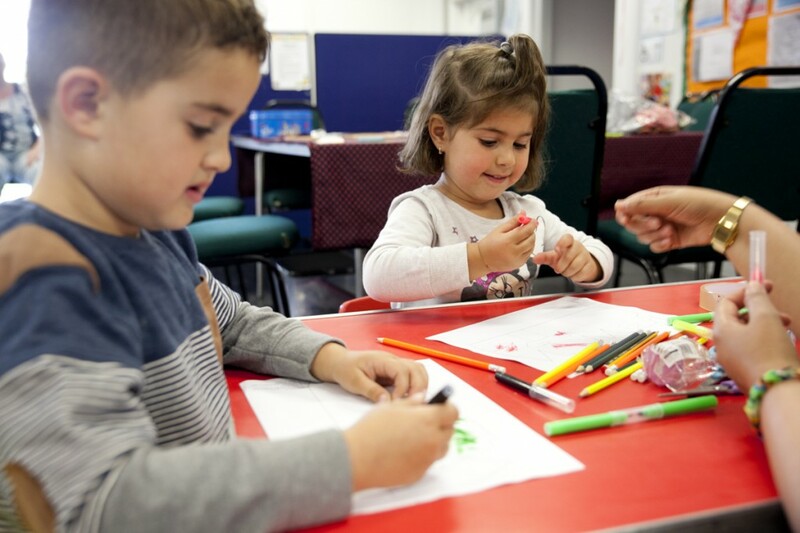 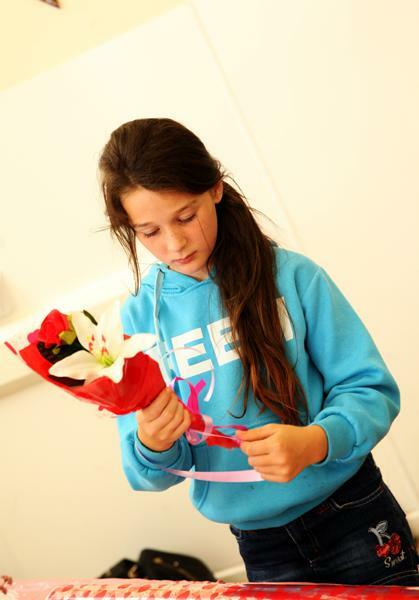 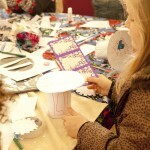 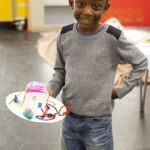 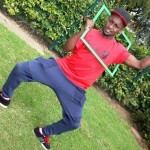 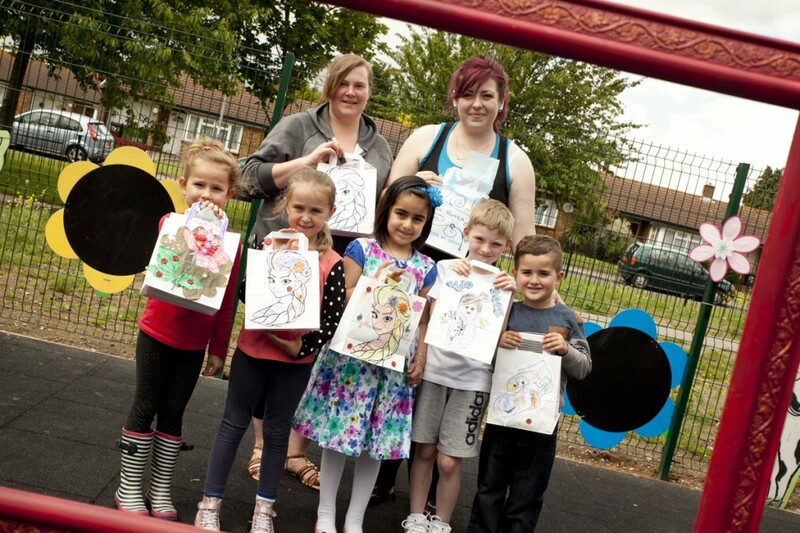 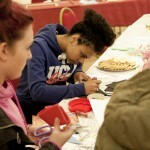 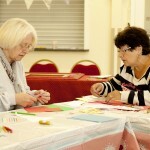 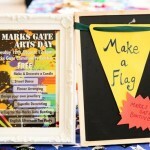 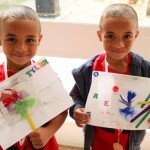 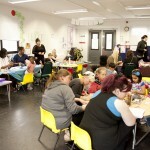 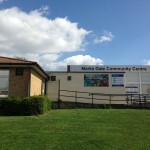 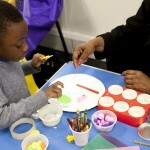 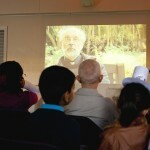 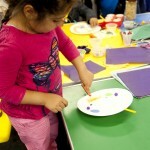 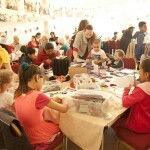 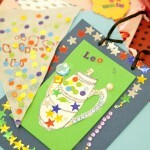 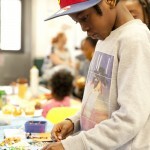 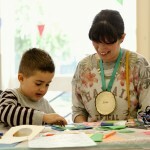 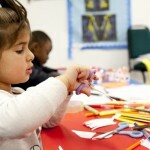 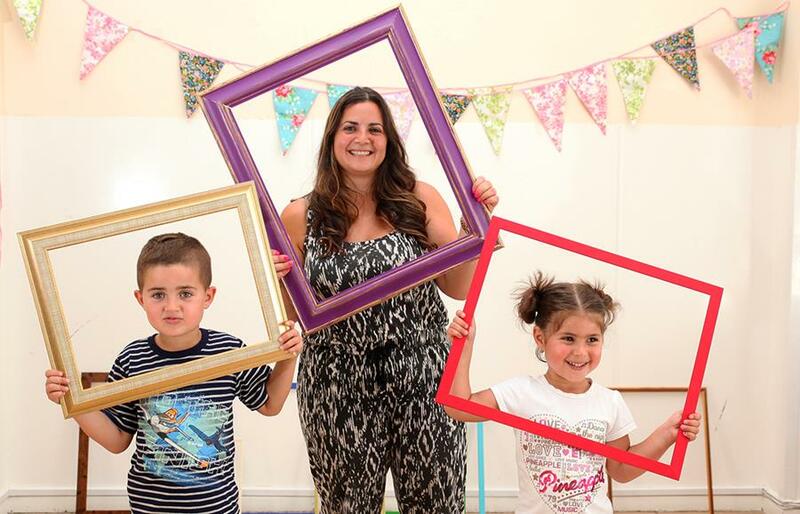 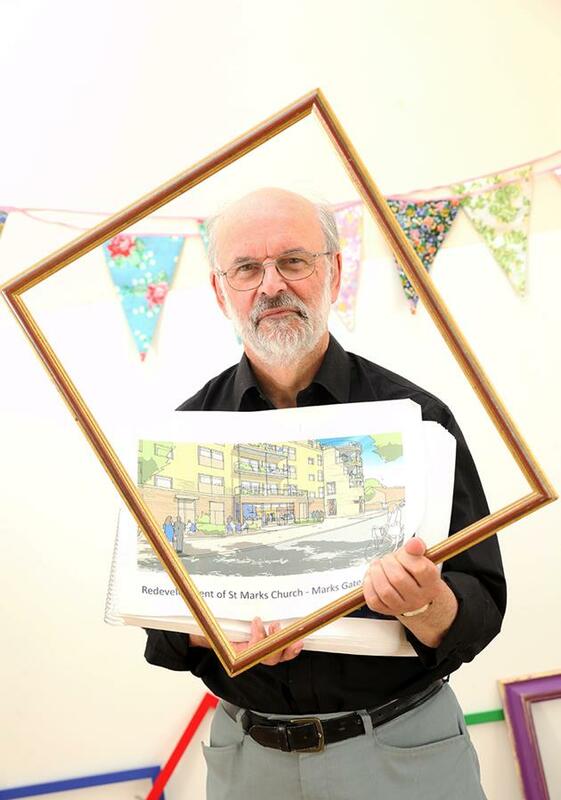 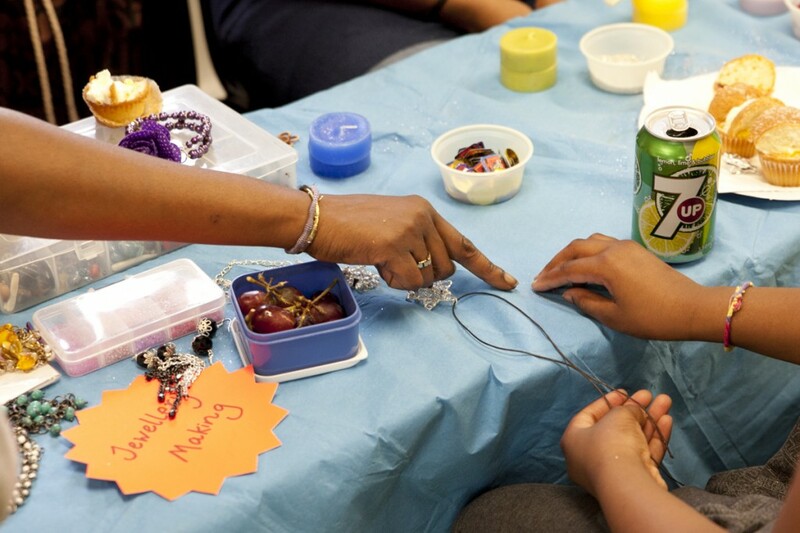 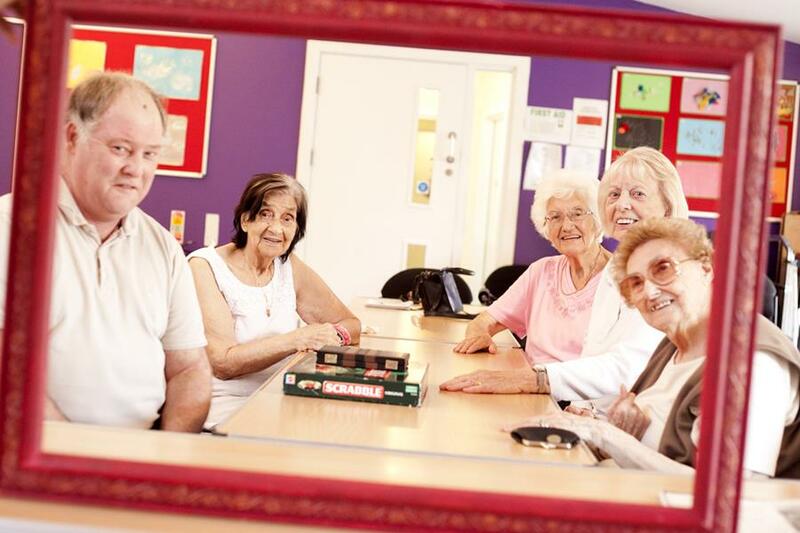 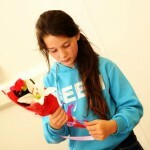 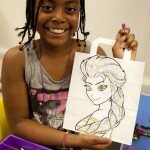 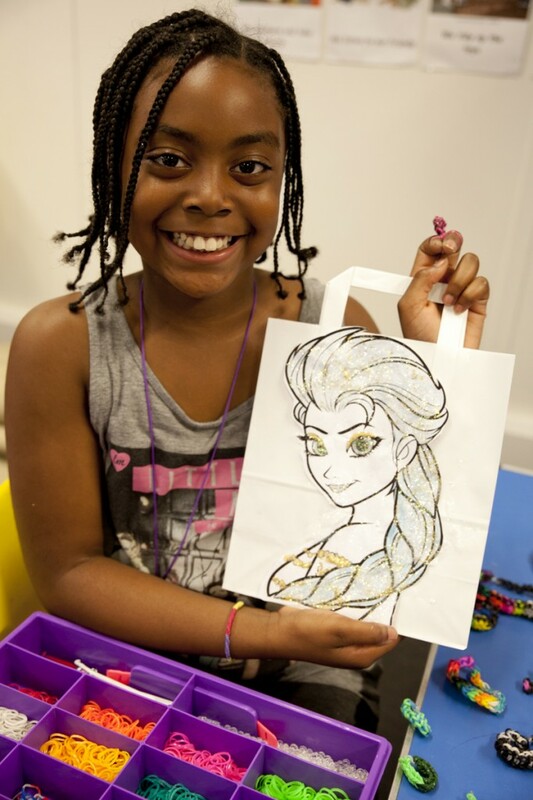 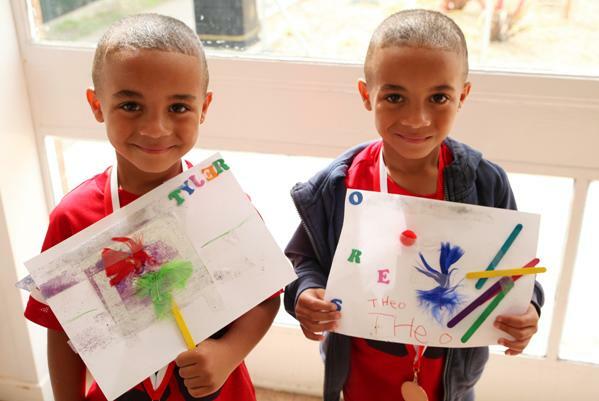 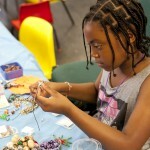 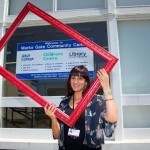 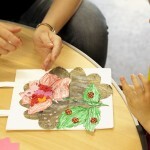 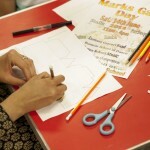 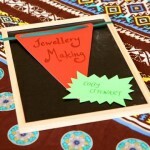 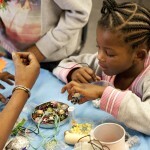 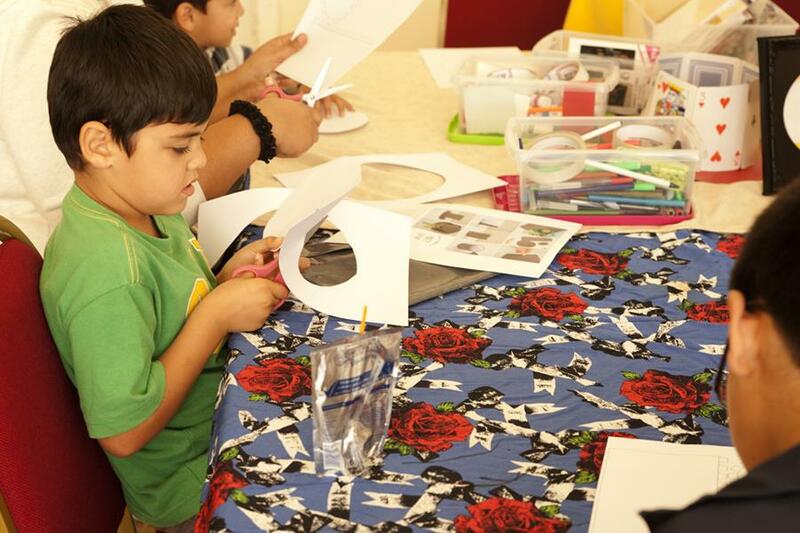 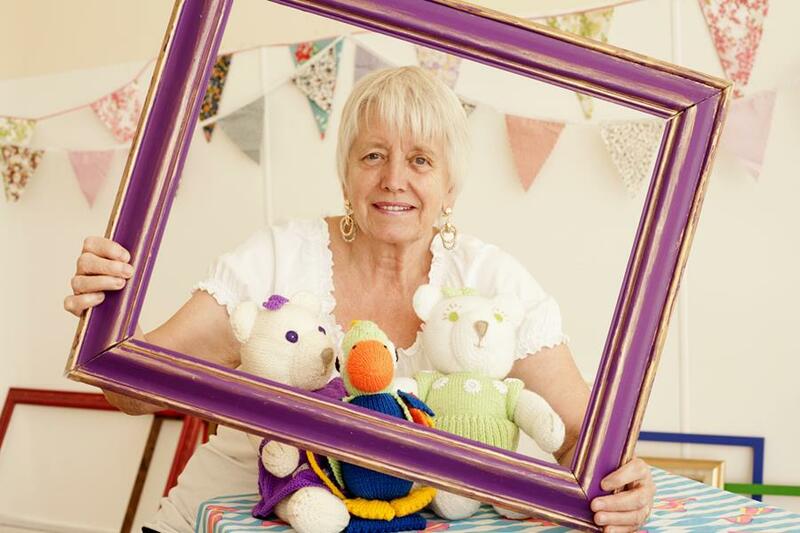 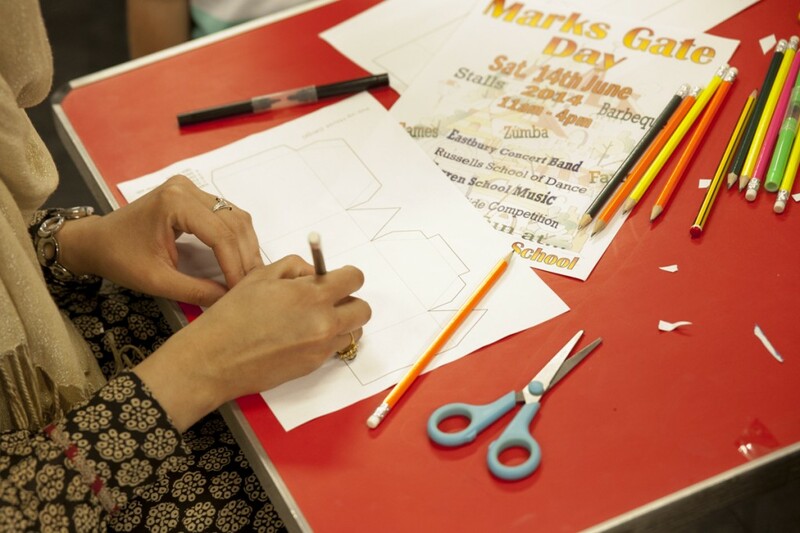 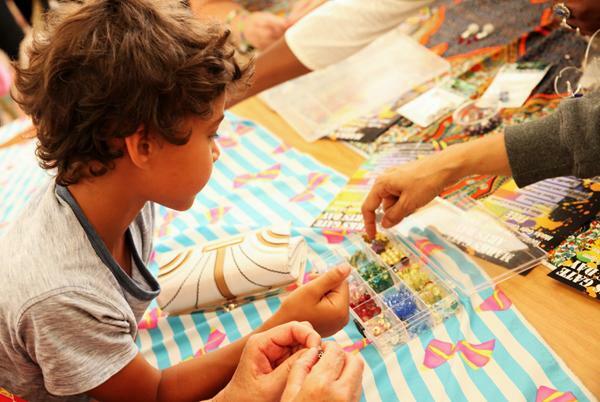 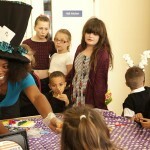 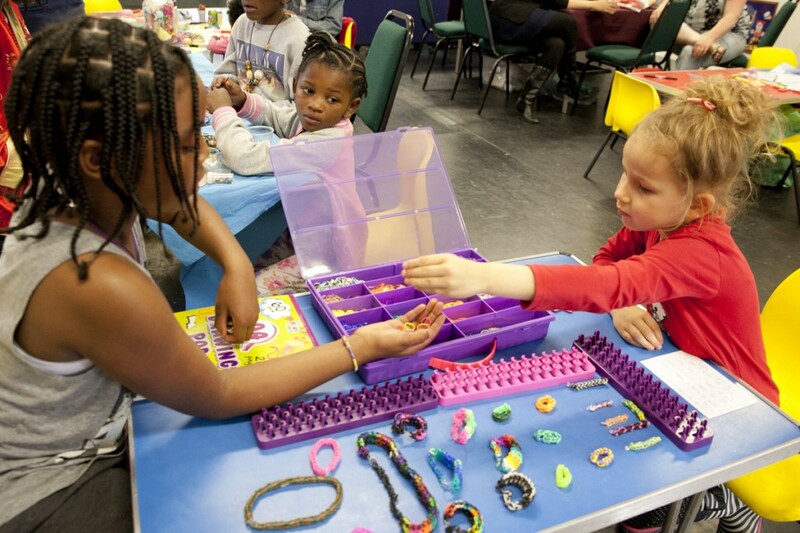 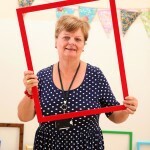 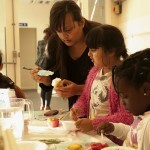 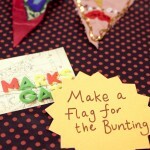 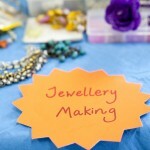 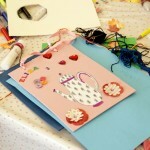 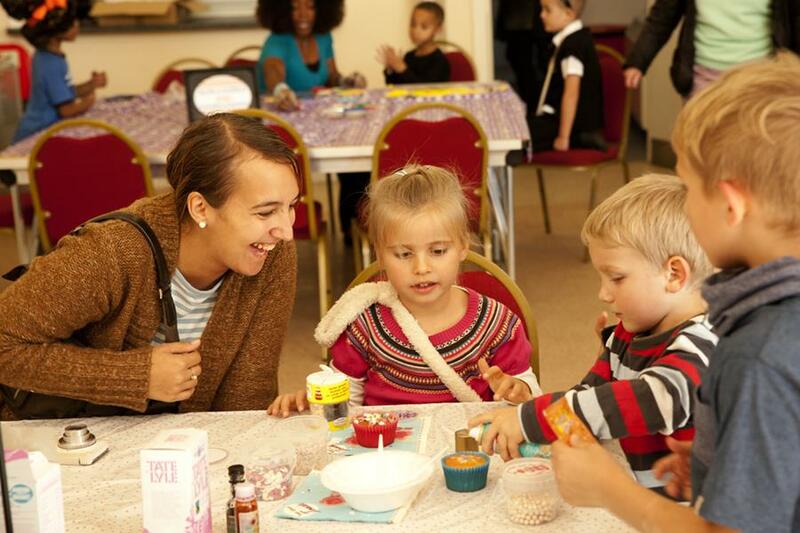 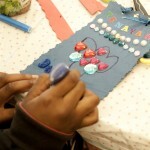 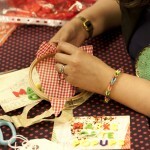 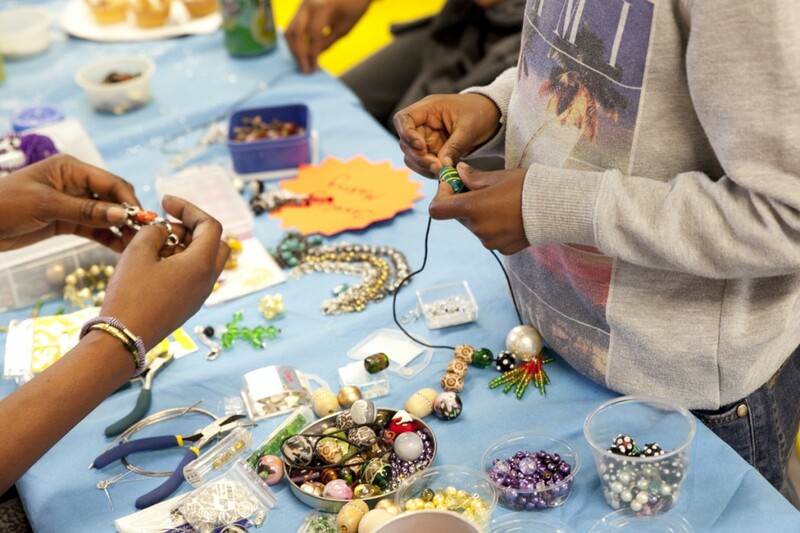 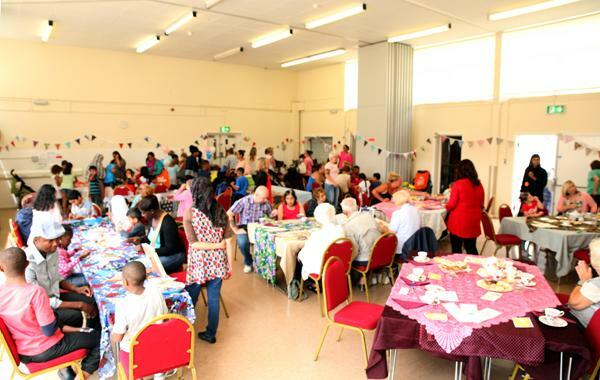 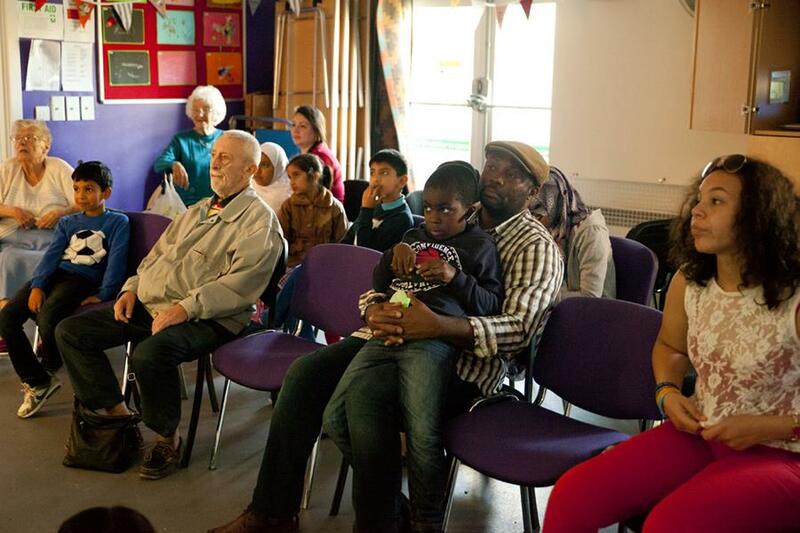 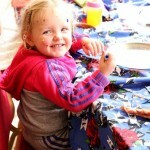 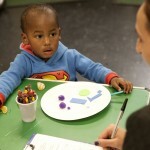 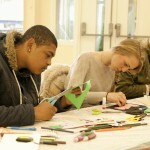 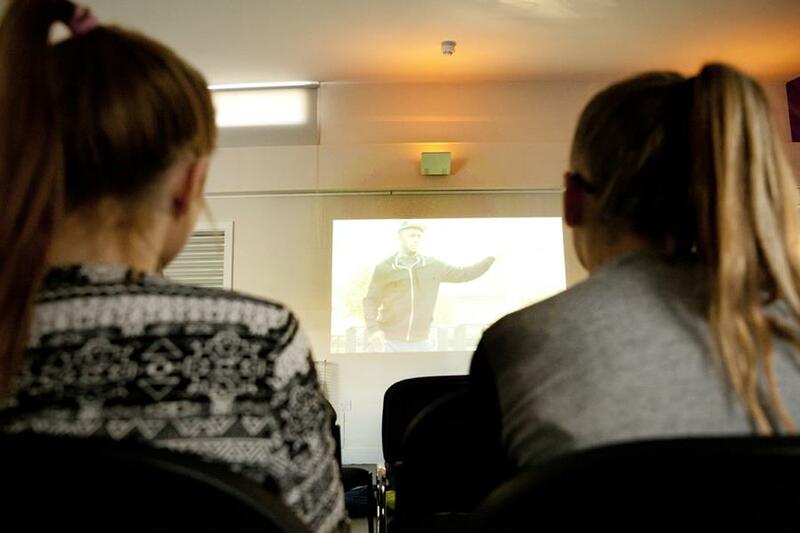 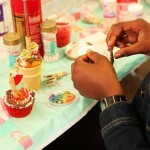 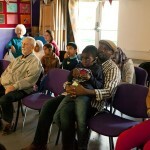 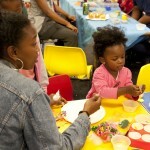 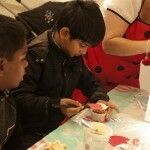 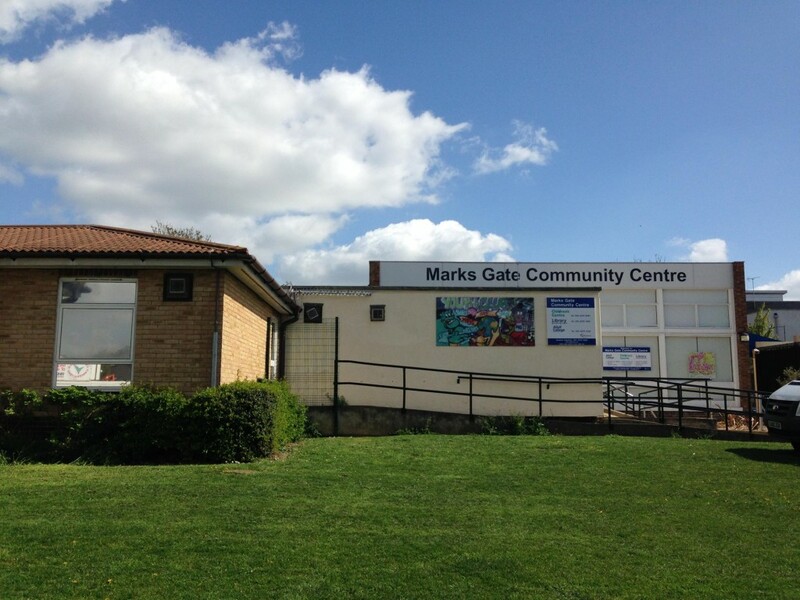 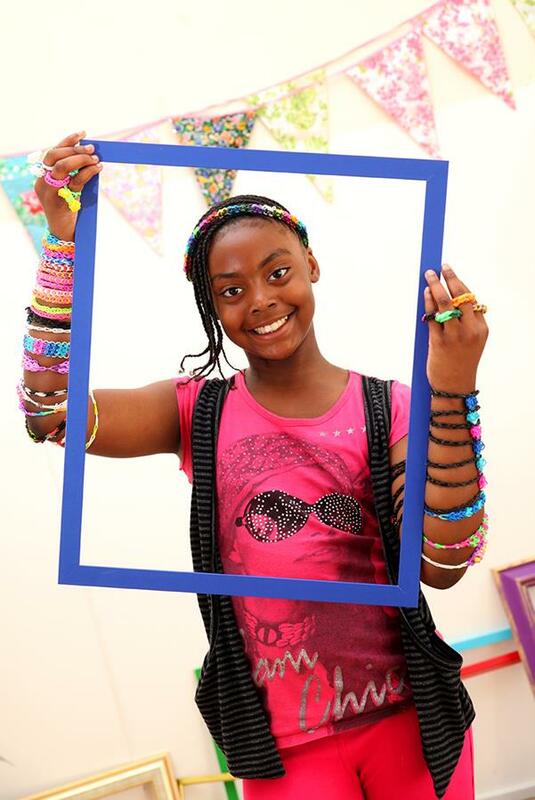 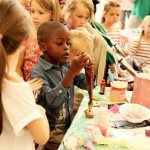 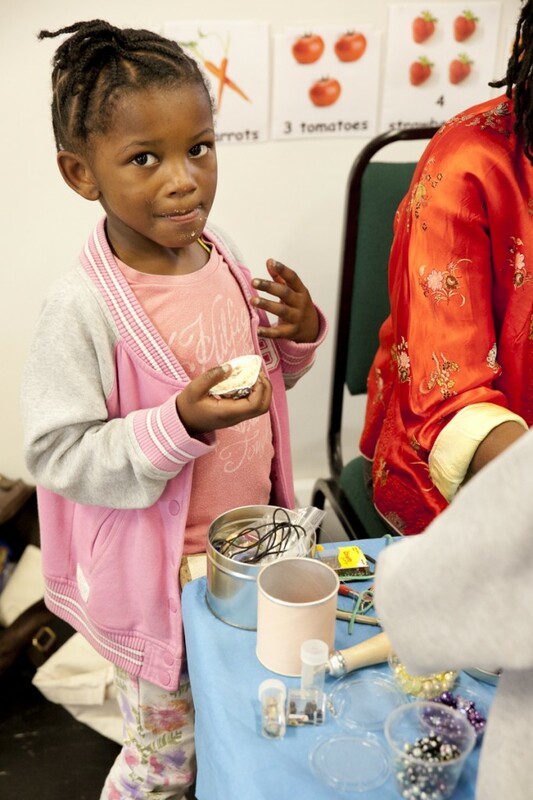 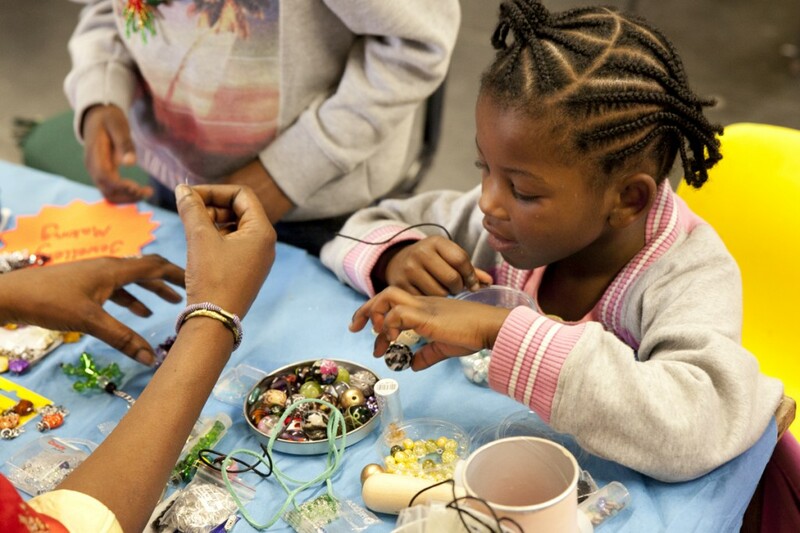 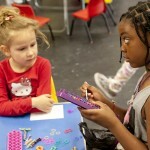 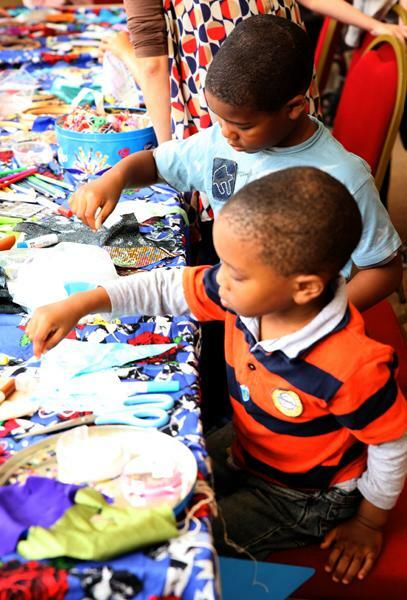 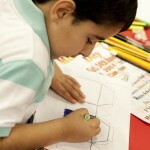 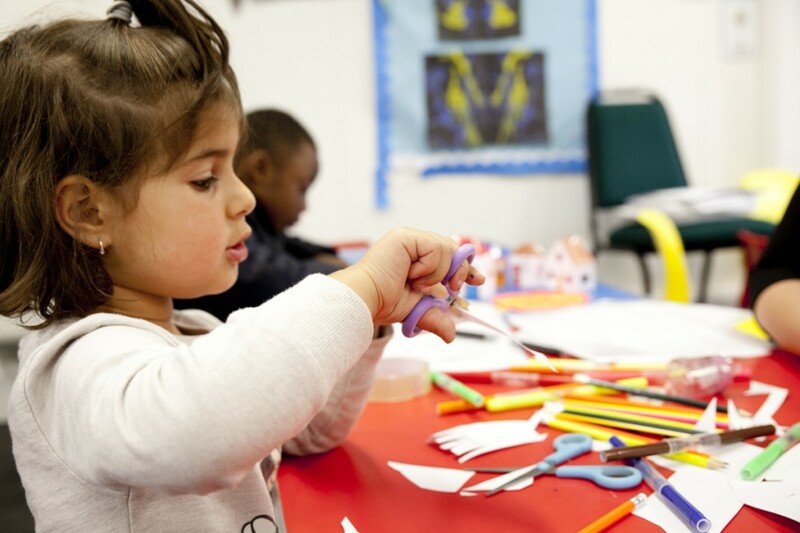 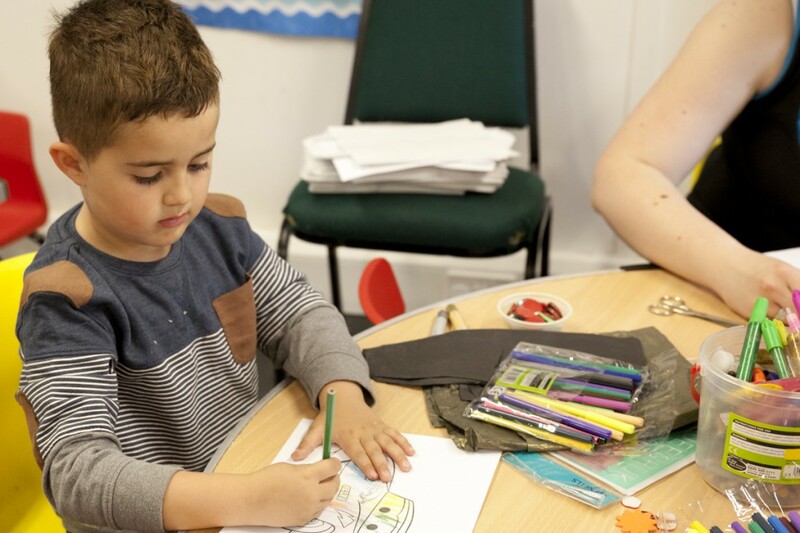 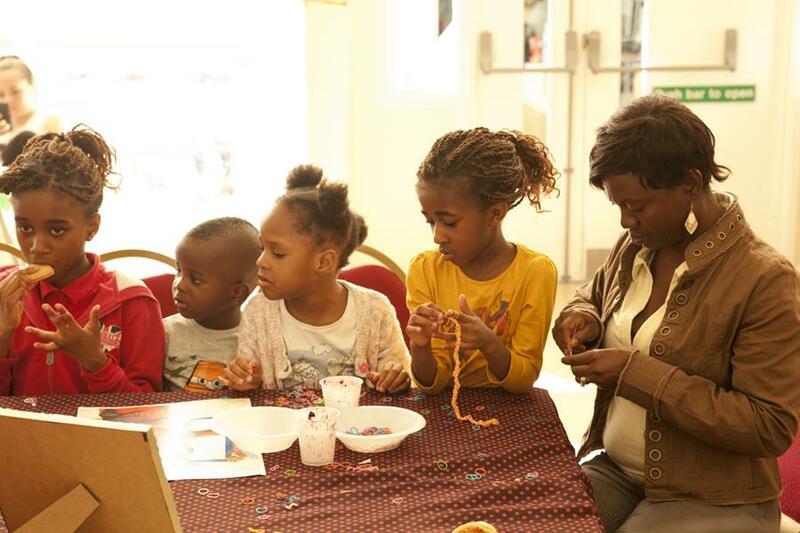 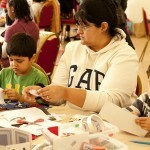 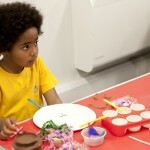 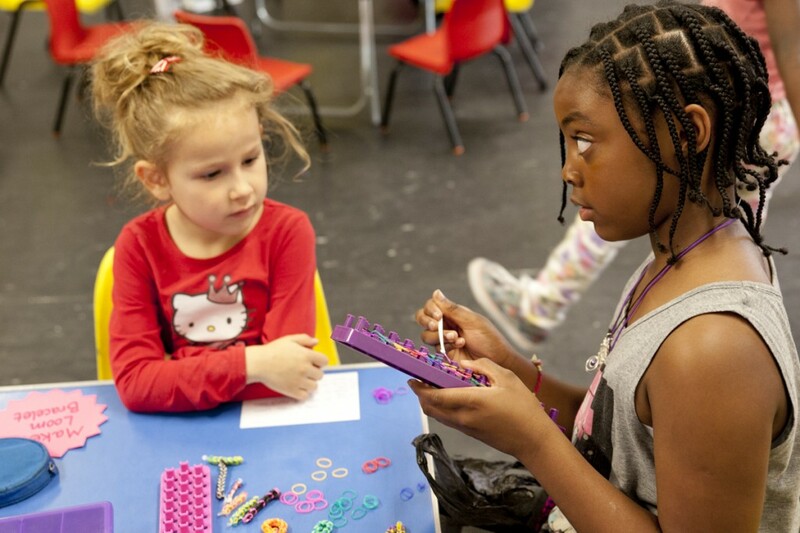 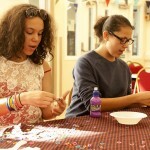 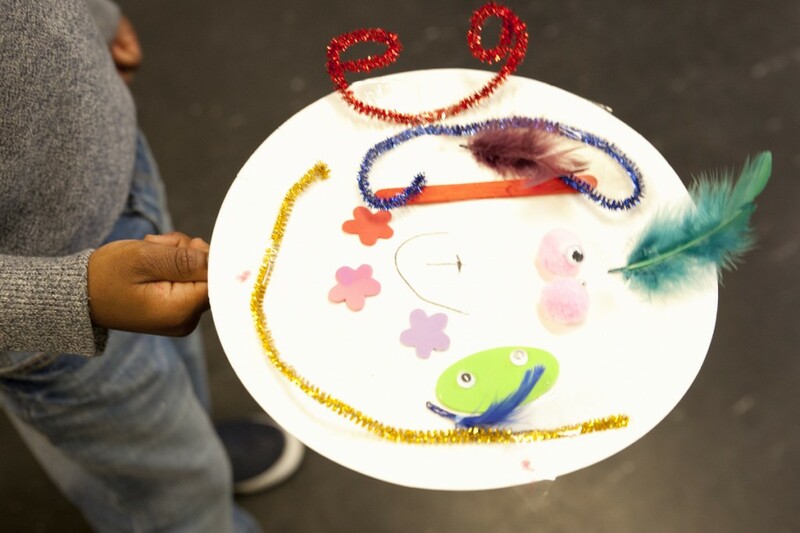 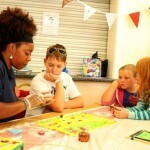 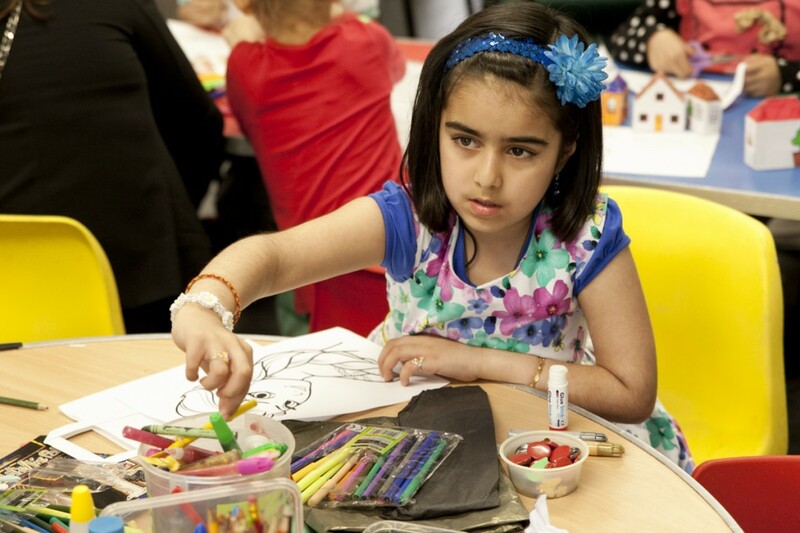 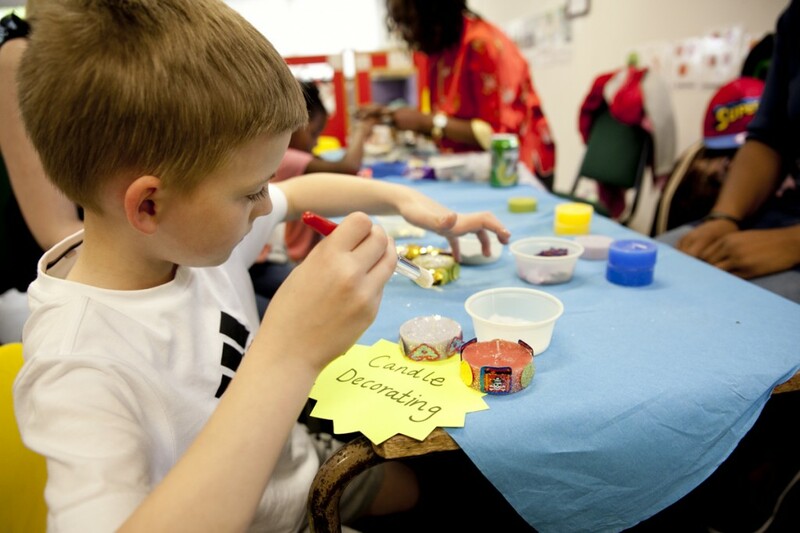 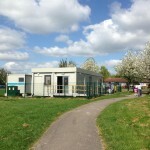 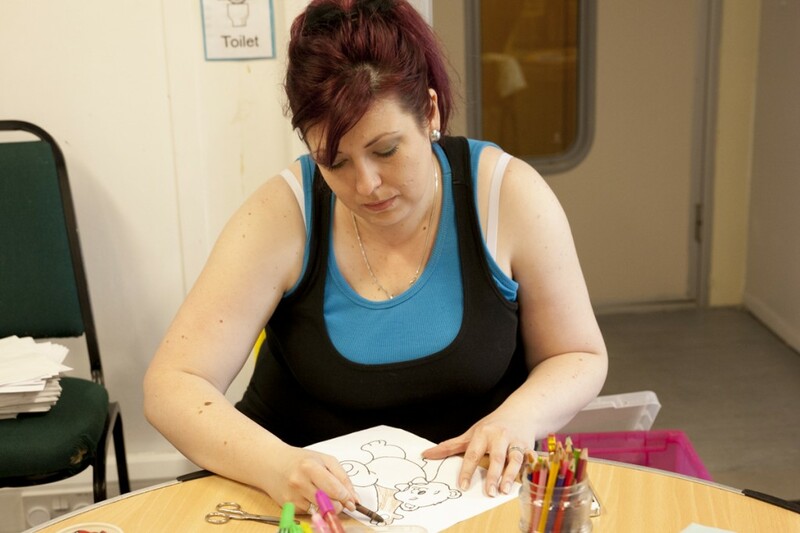 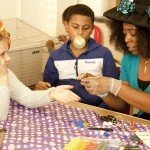 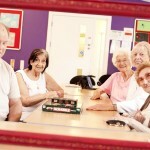 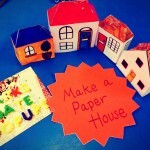 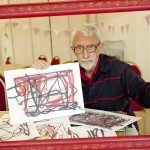 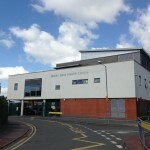 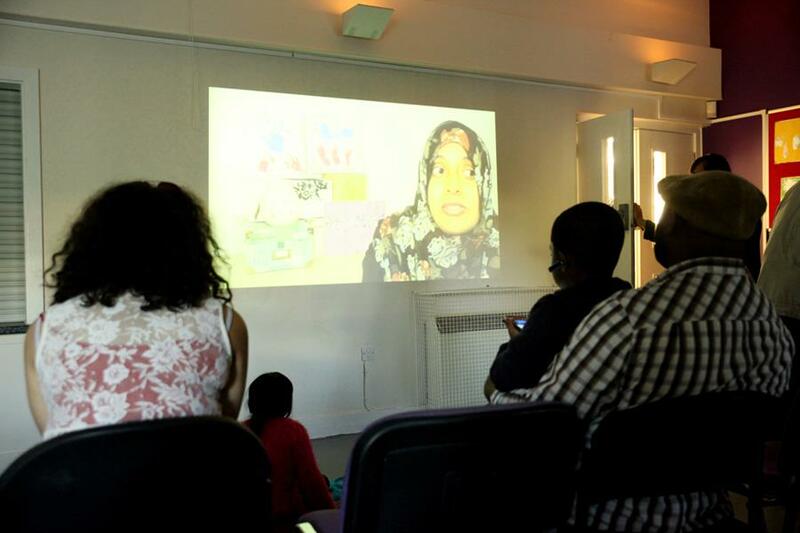 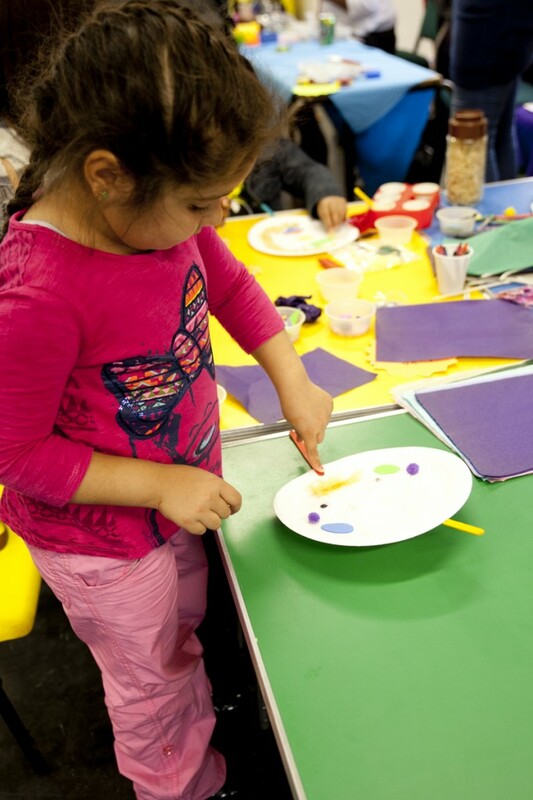 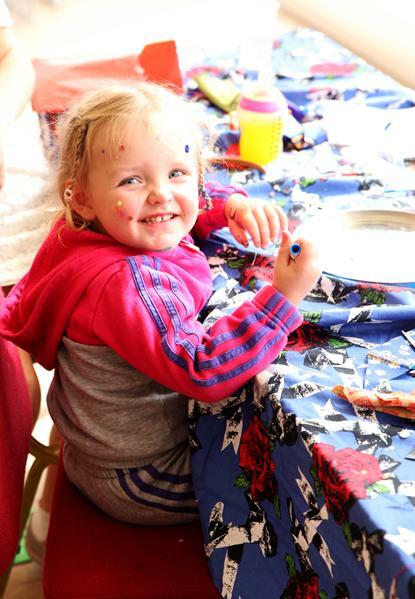 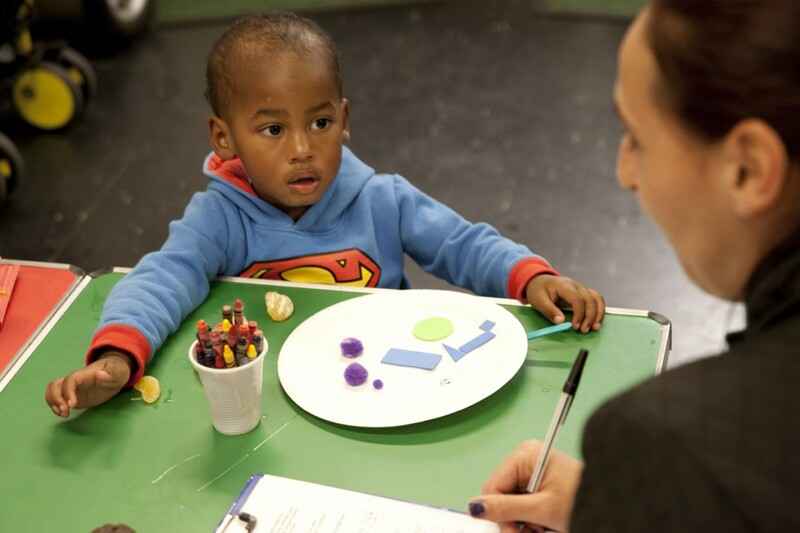 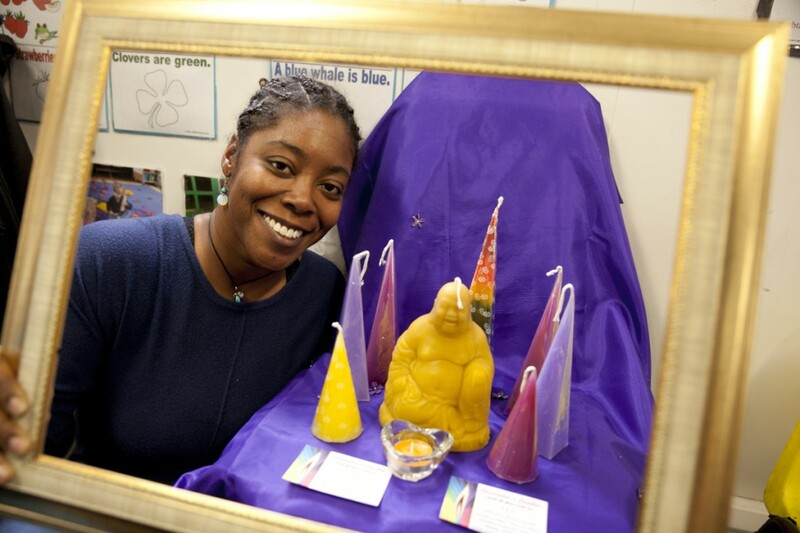 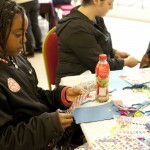 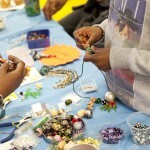 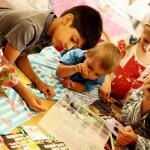 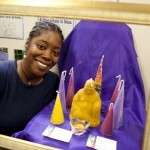 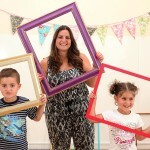 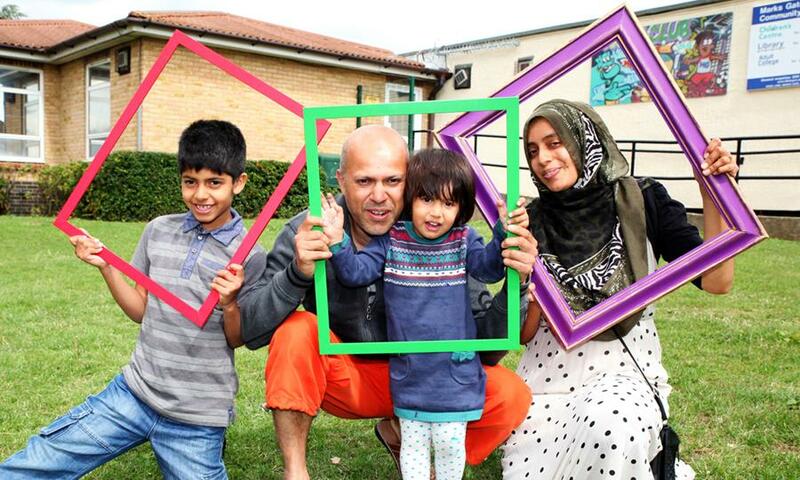 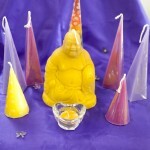 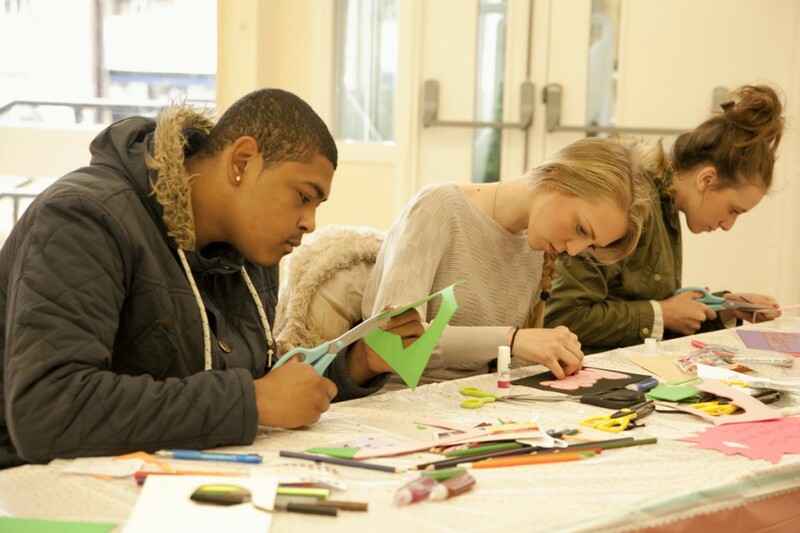 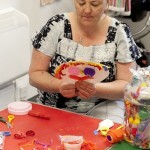 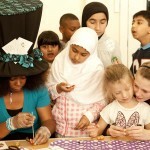 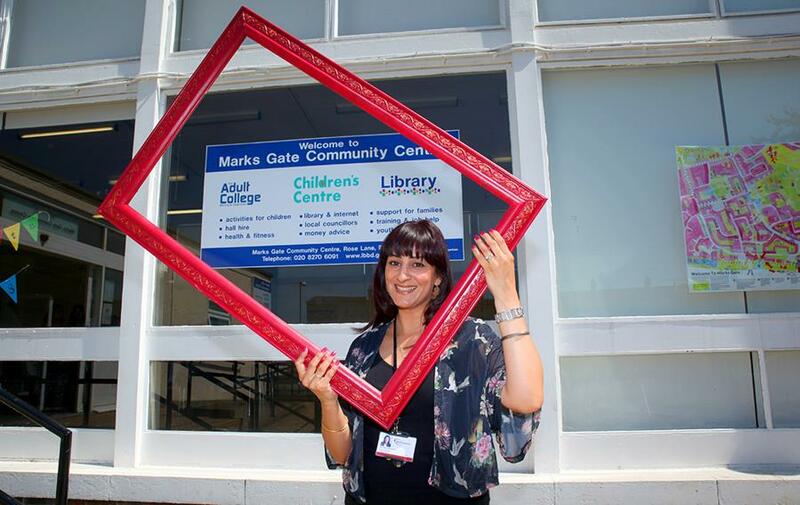 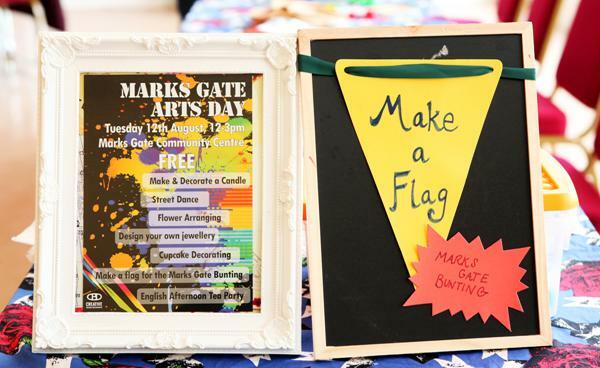 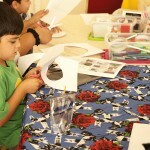 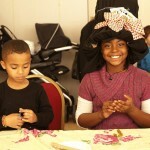 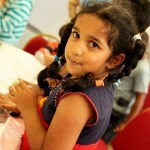 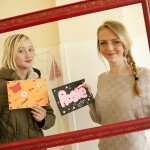 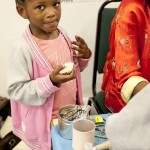 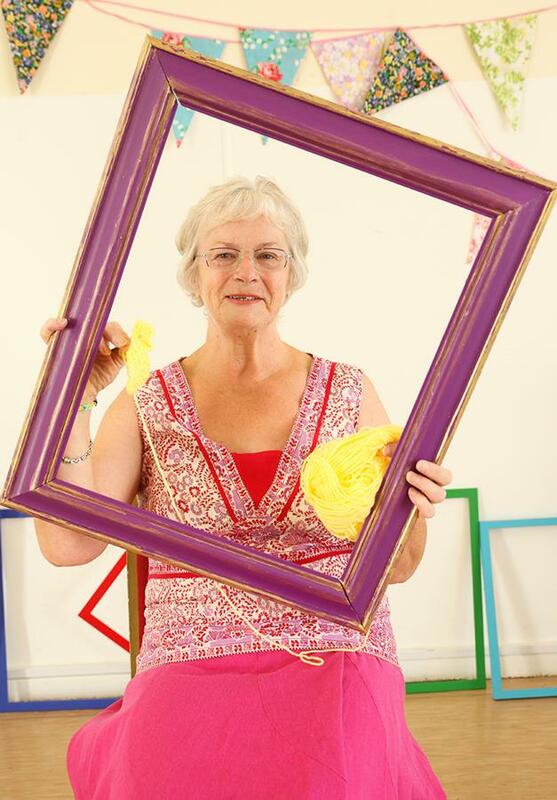 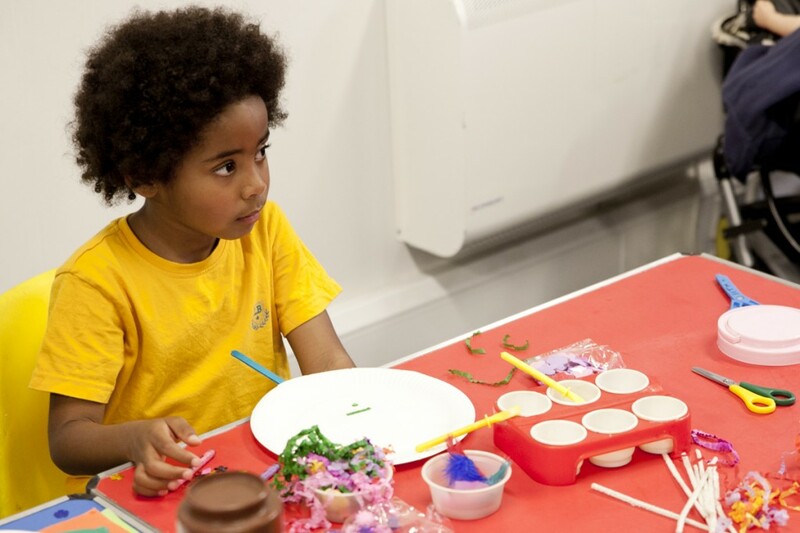 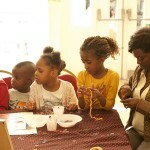 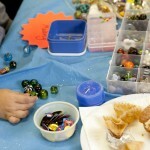 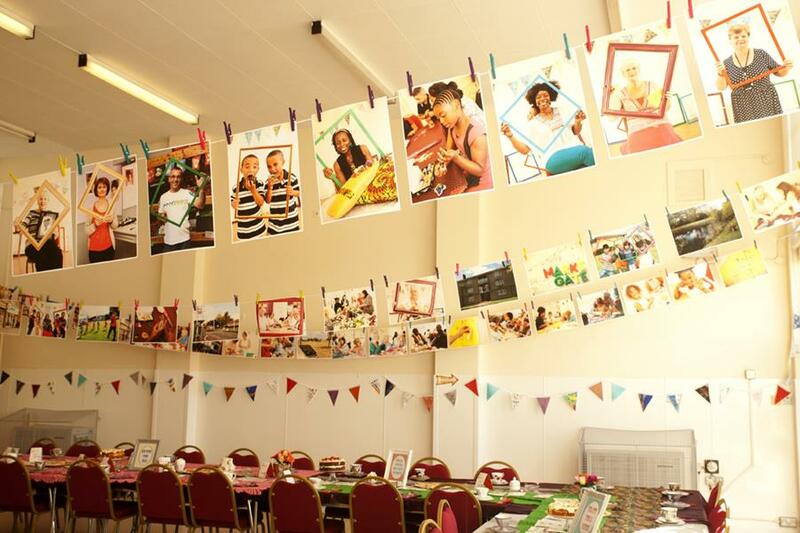 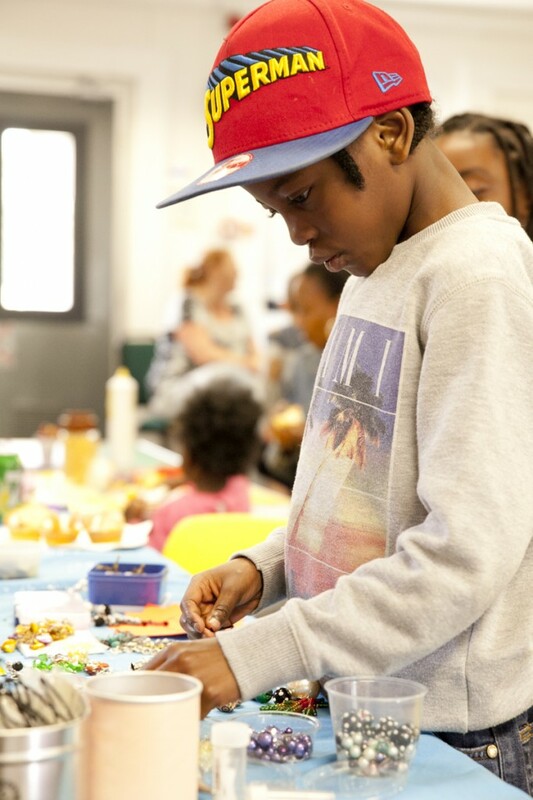 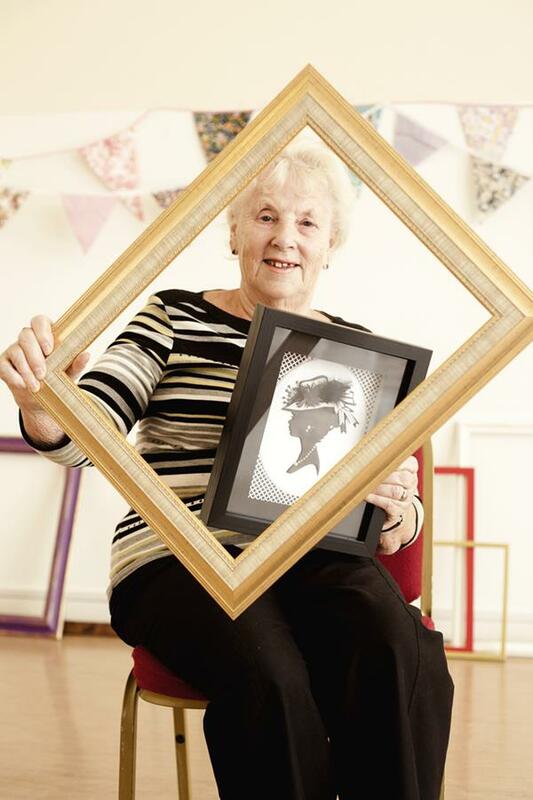 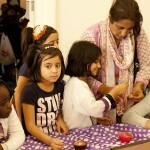 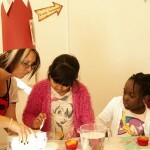 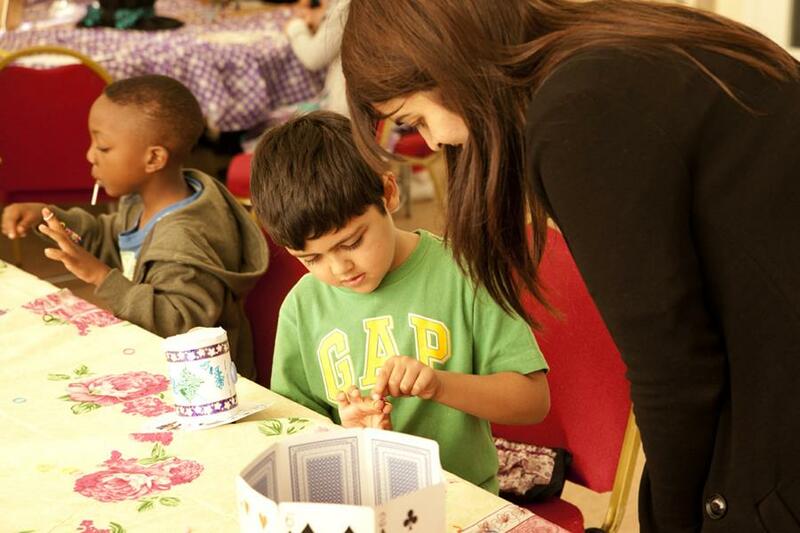 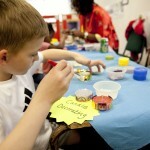 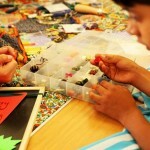 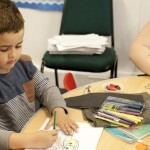 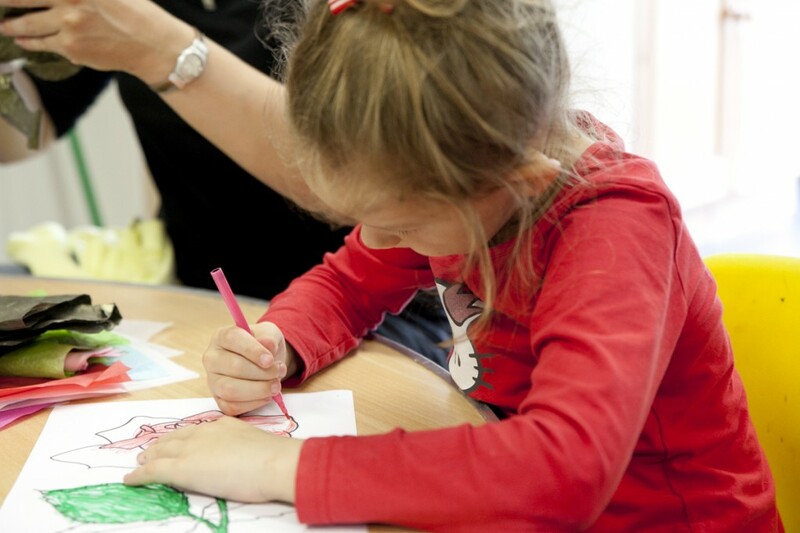 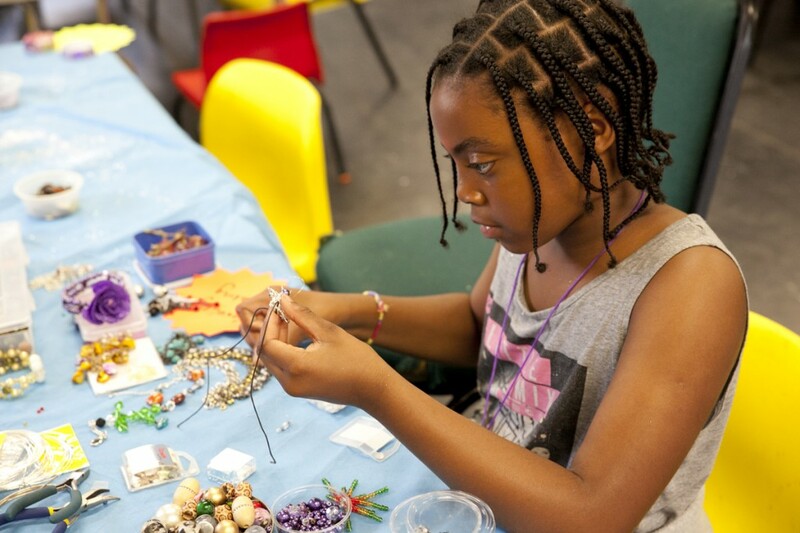 On Tuesday 12th August we hosted the Marks Gate Arts Day at the Marks Gate Community Centre. 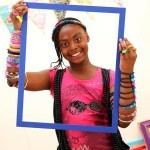 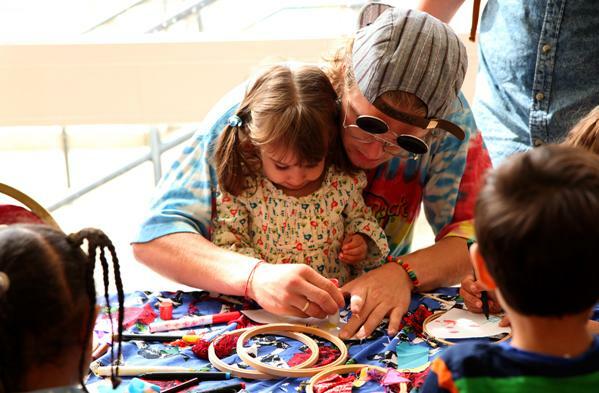 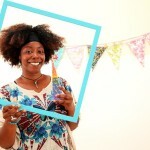 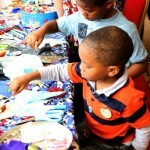 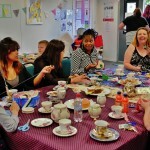 It was a fantastic mix of art, creativity, dance, music, tea, and fun, with something for everybody! 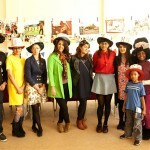 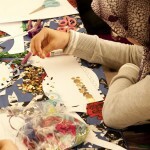 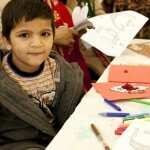 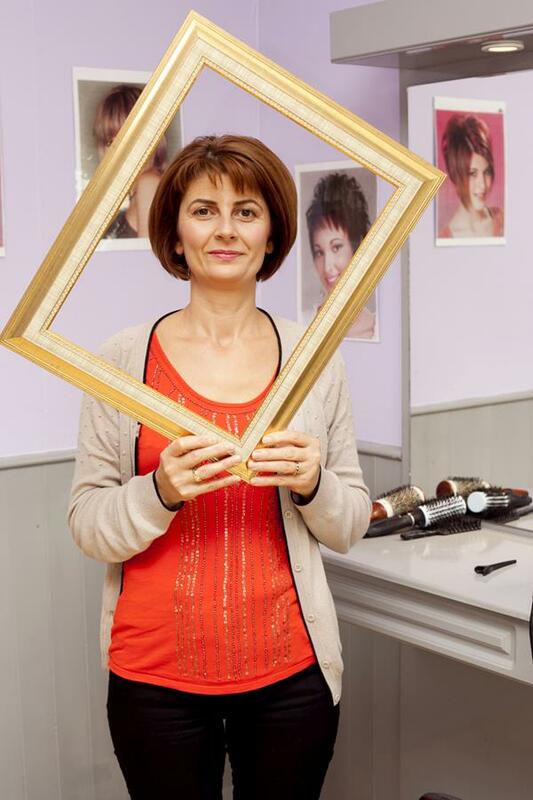 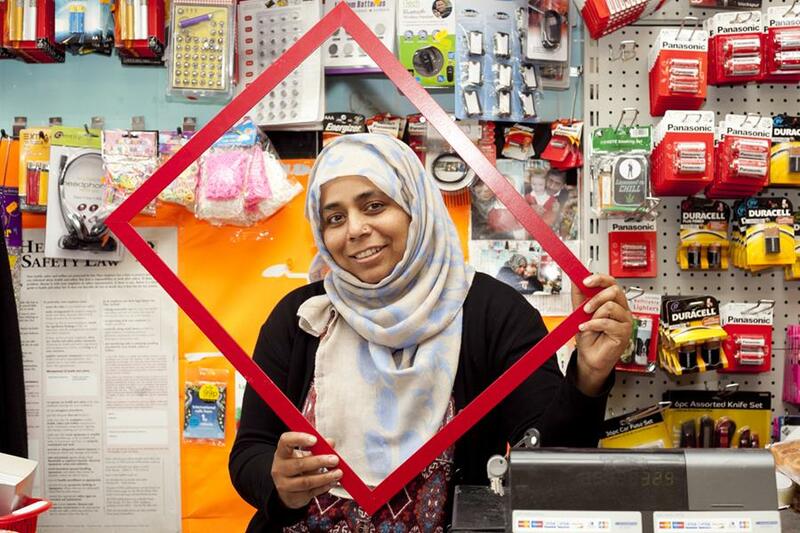 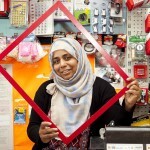 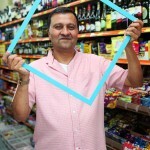 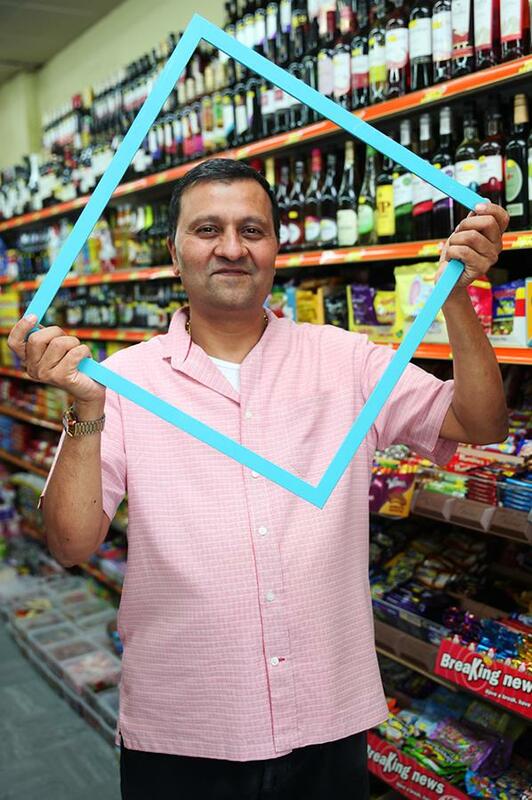 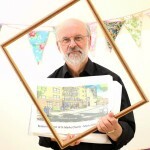 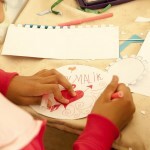 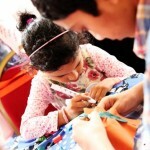 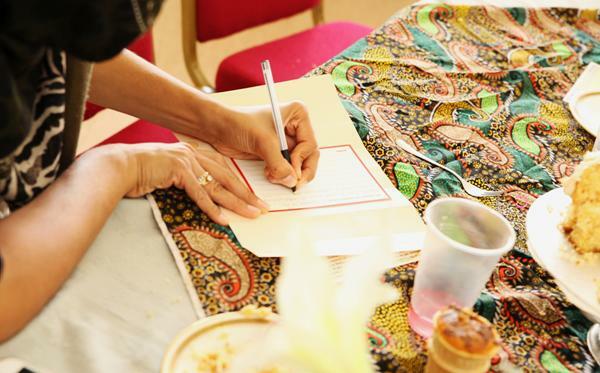 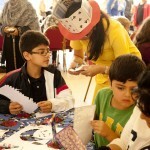 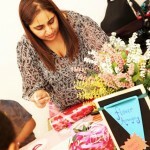 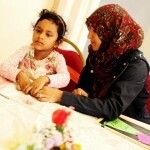 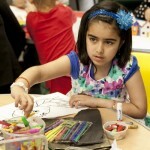 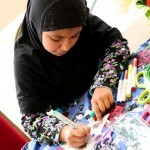 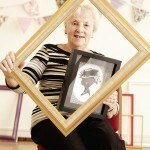 Local Marks Gate creative talents joined forces with artist Sadia Ur-Rehman to deliver a one-off spectacular event. 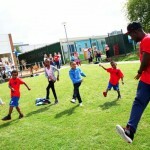 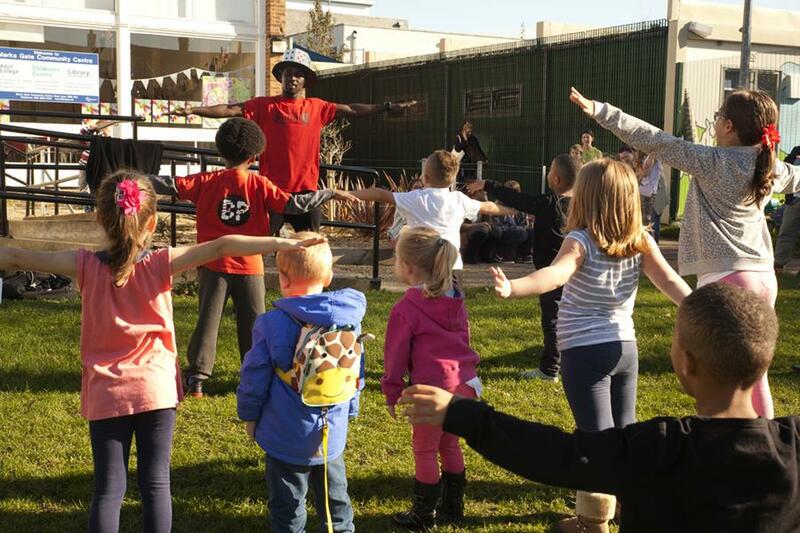 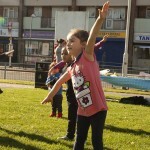 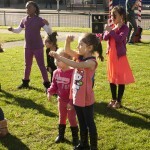 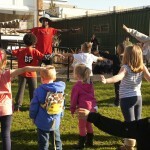 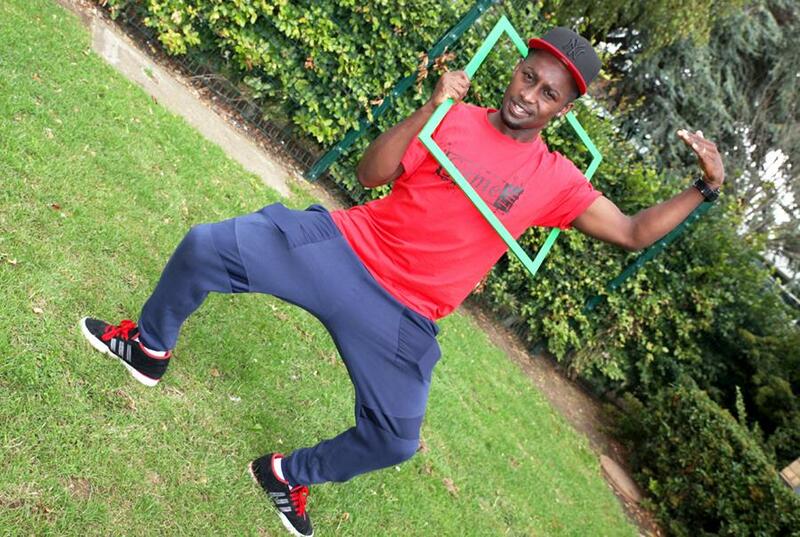 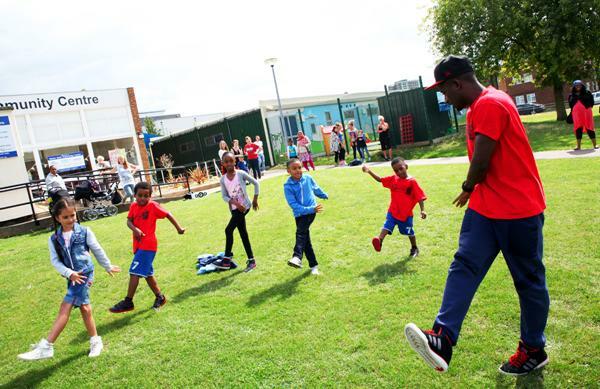 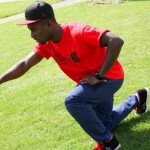 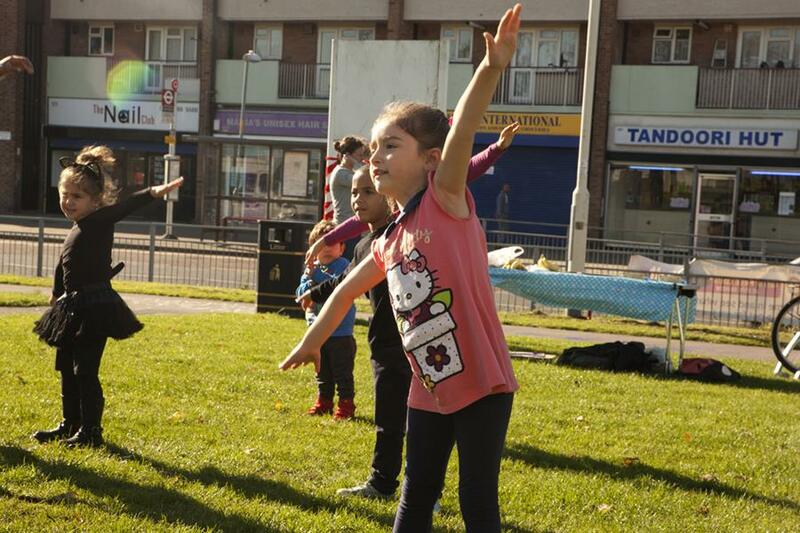 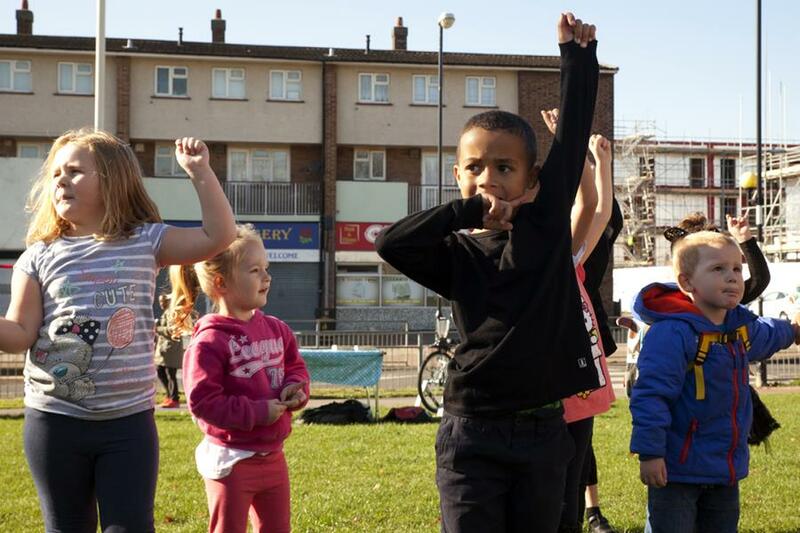 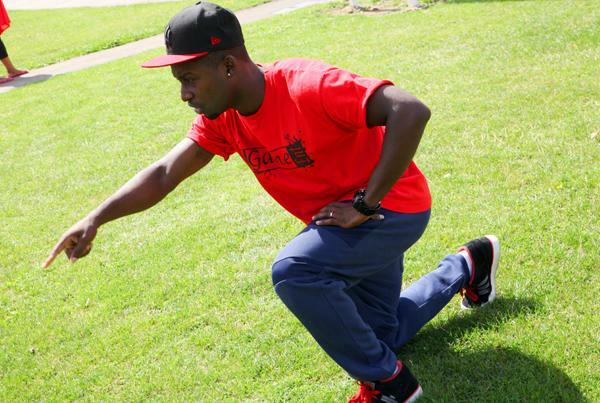 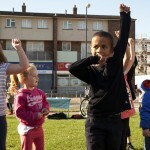 The event kicked off with a free ‘street dance’ workshop with Marks Gate very own choreographer and dance extraordinaire, Game outside the Community Centre. 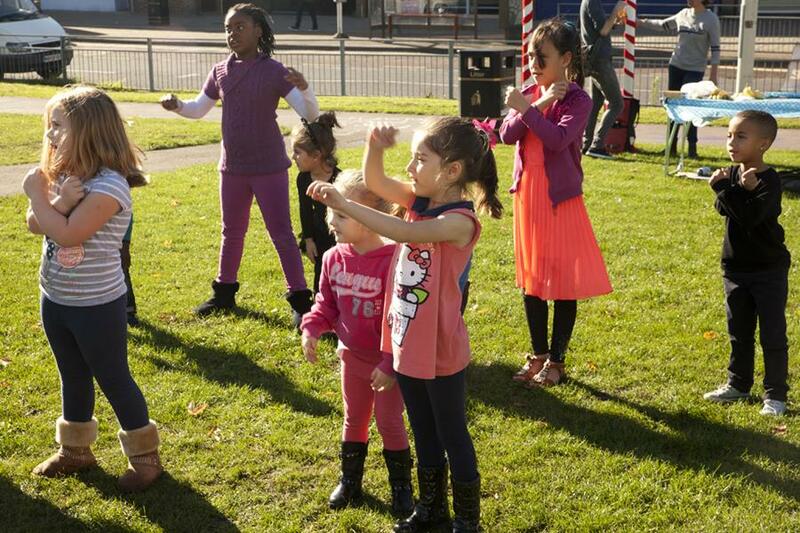 Causing a stir and raising people’s curiosity, we had some younger residents showing off their moves! 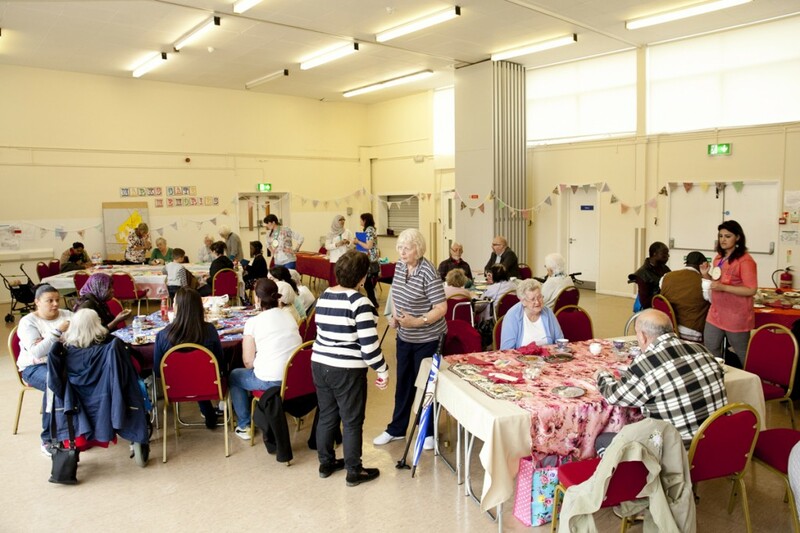 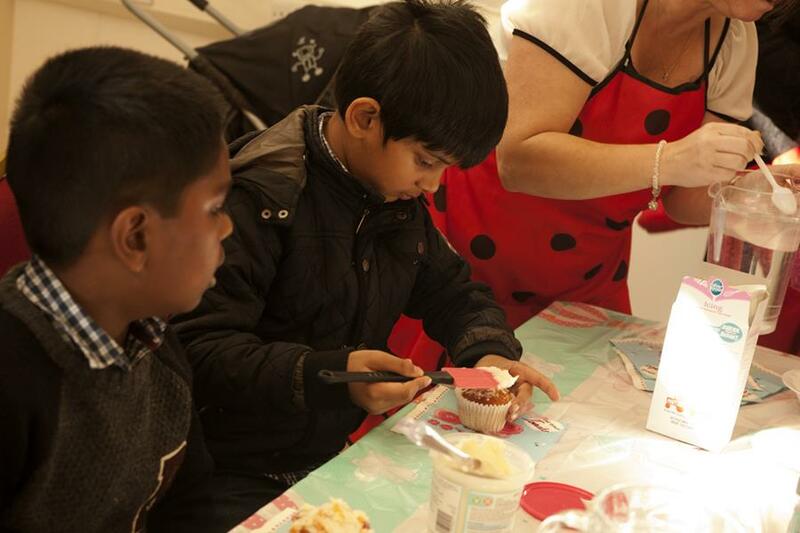 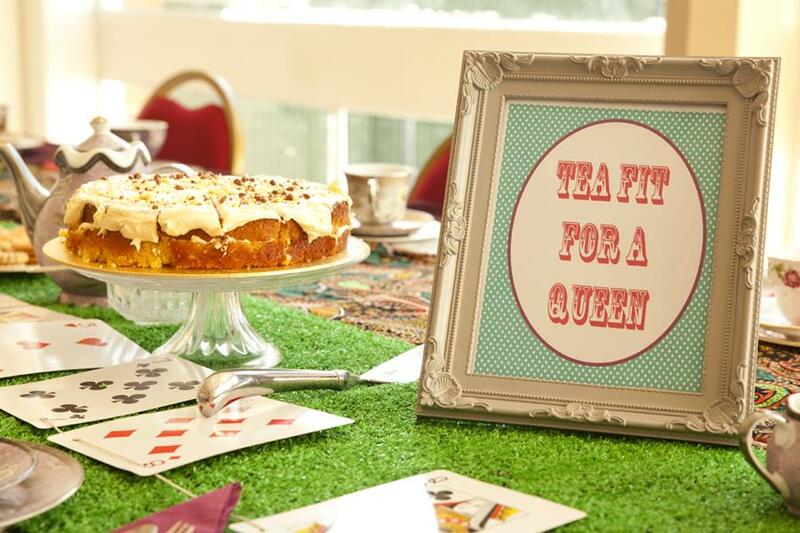 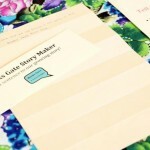 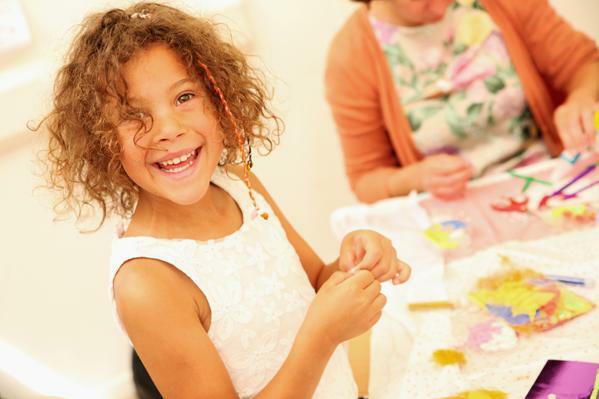 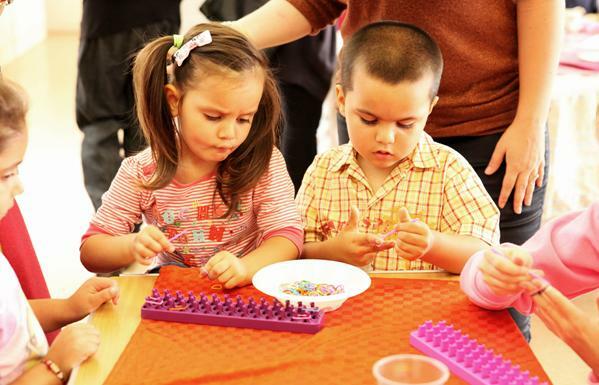 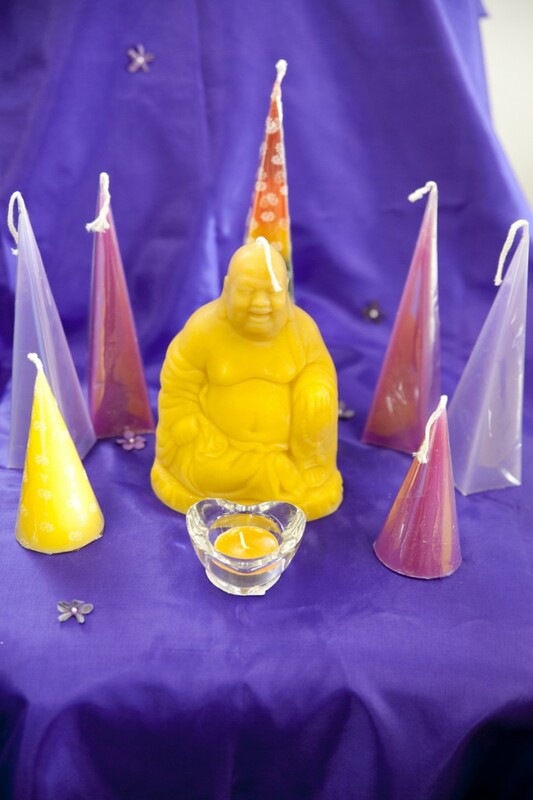 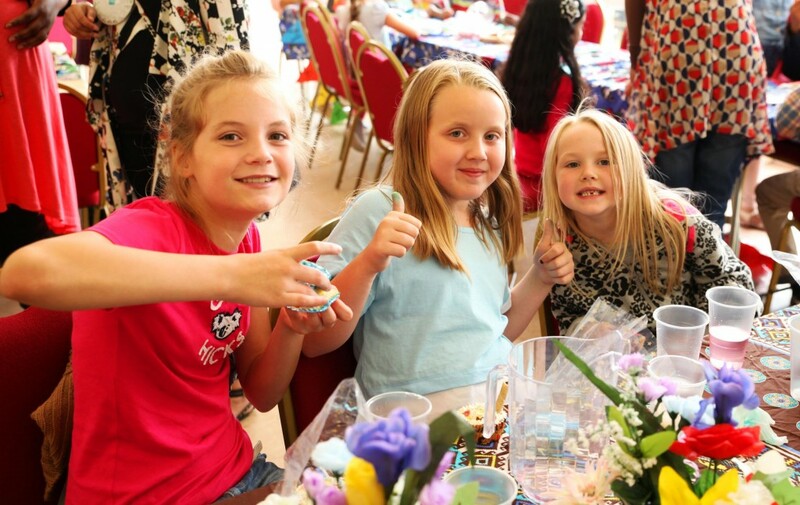 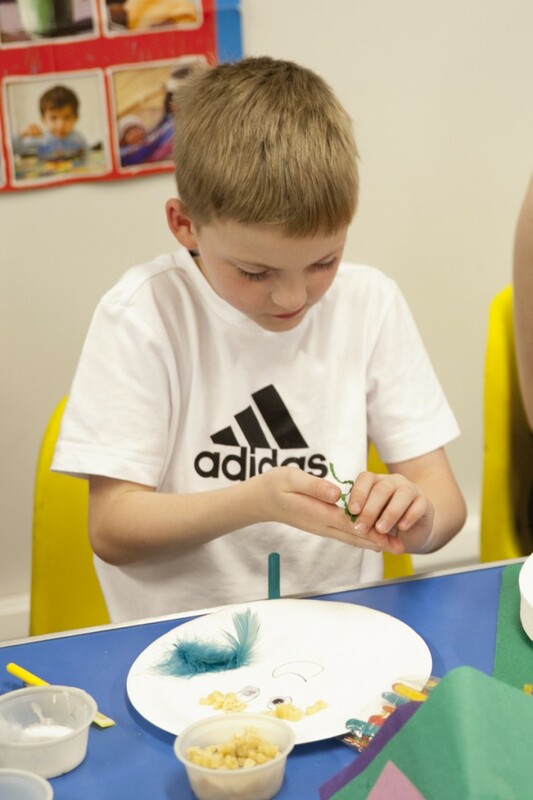 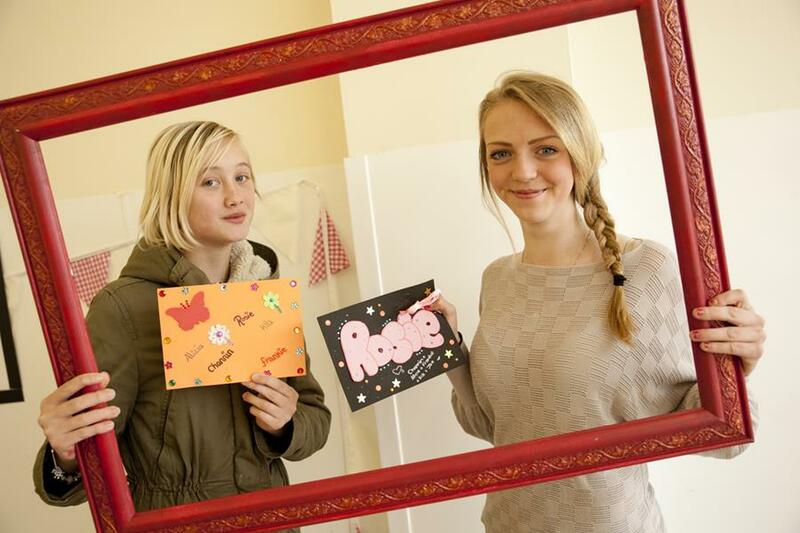 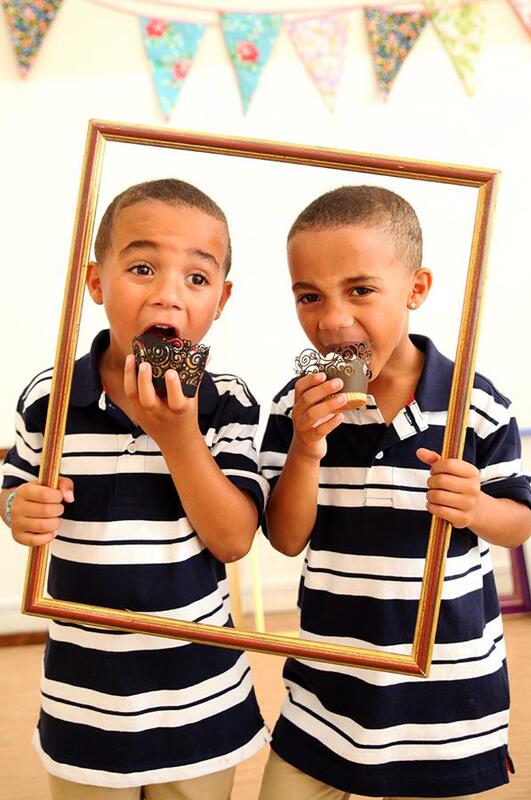 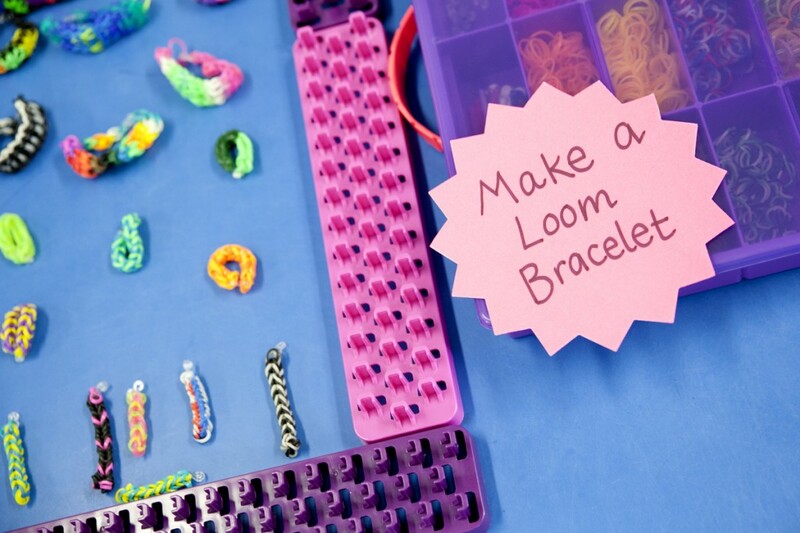 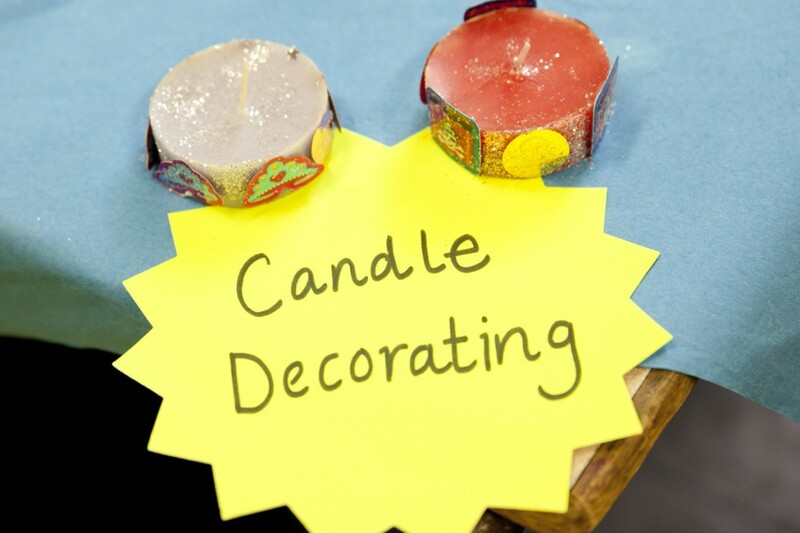 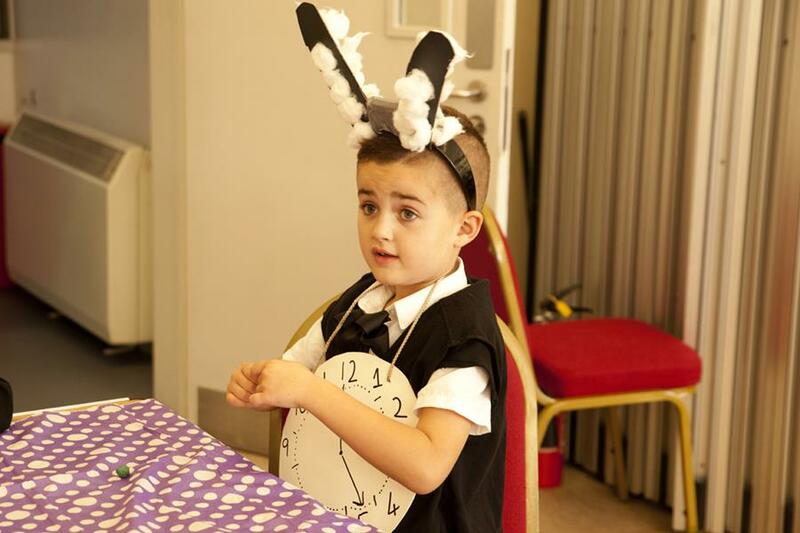 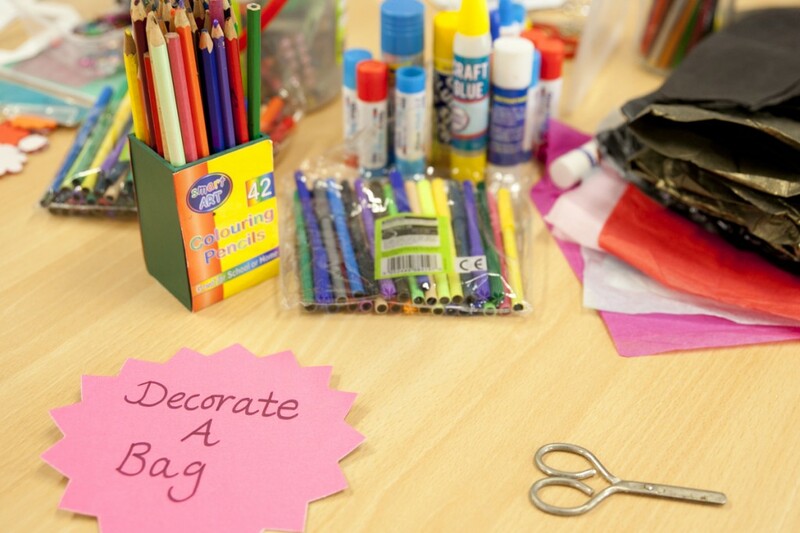 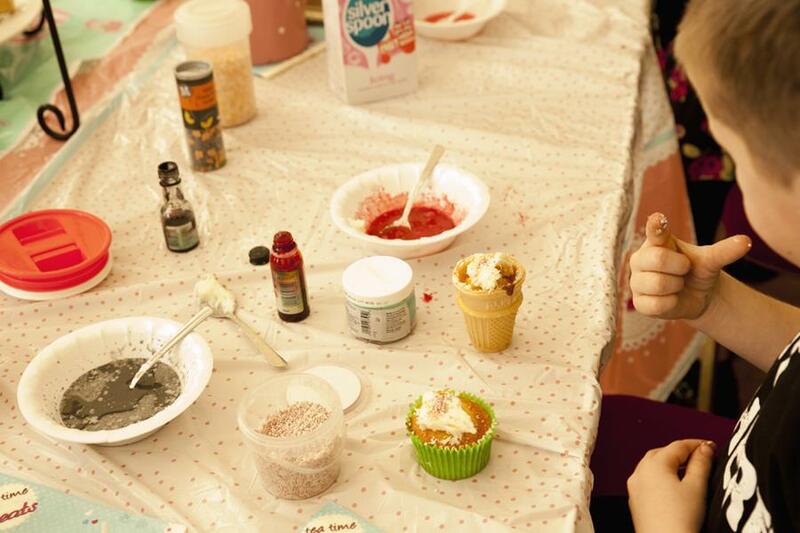 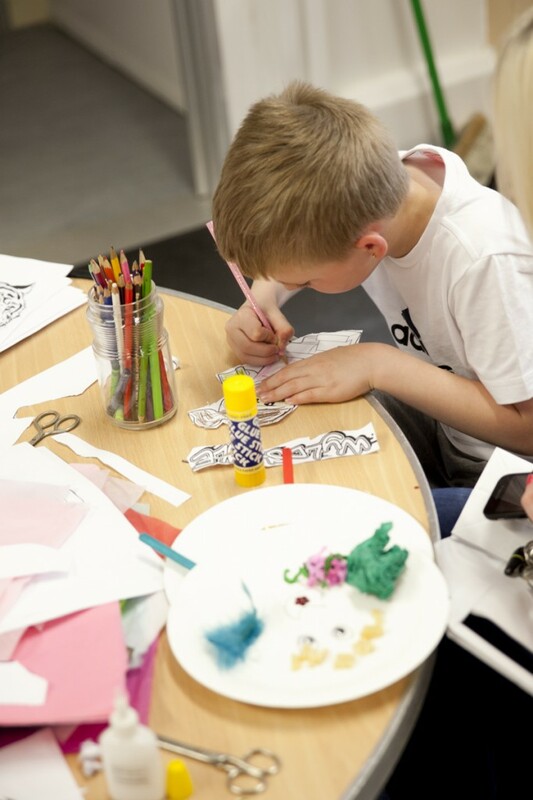 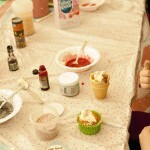 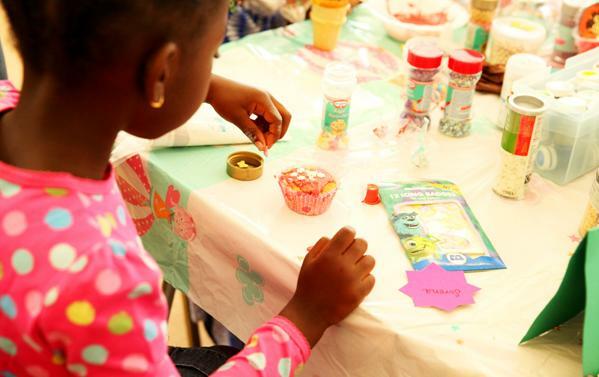 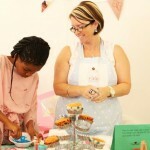 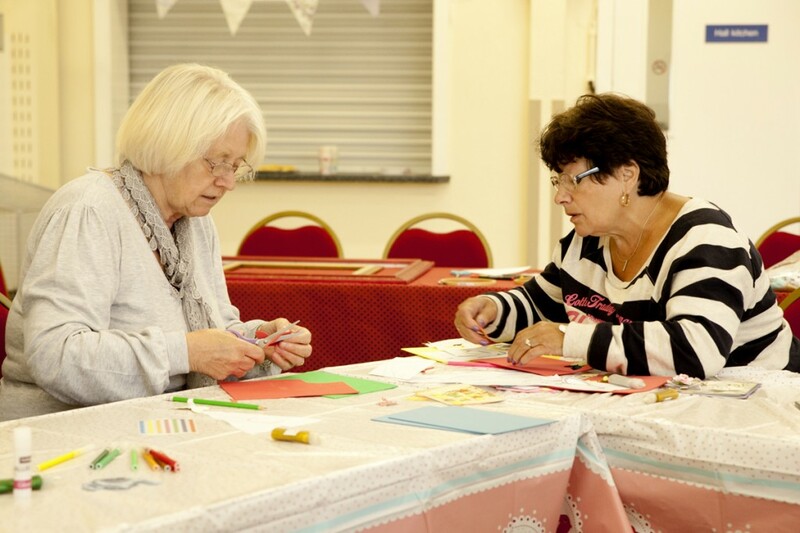 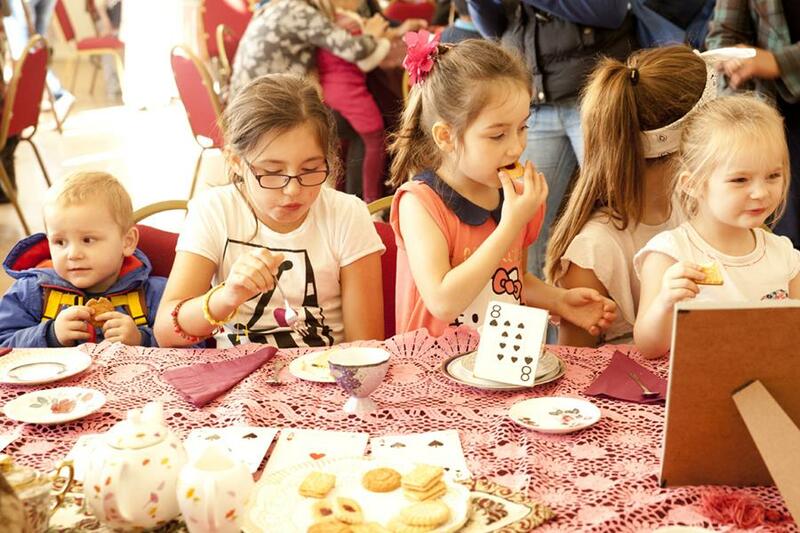 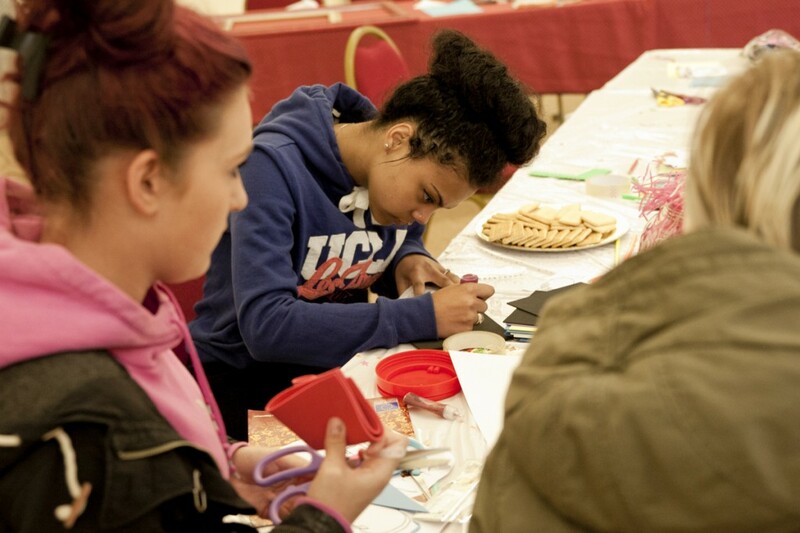 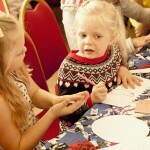 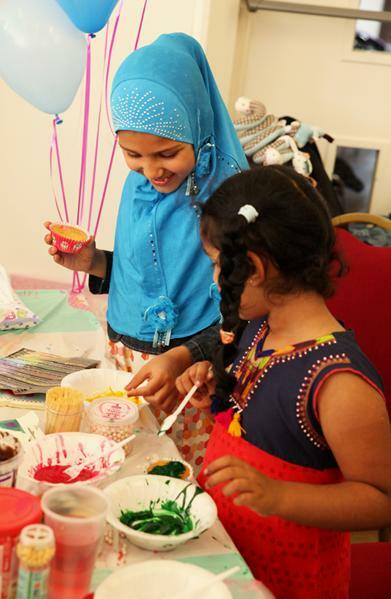 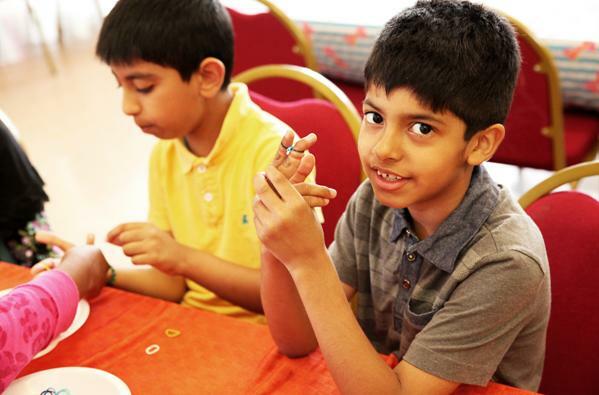 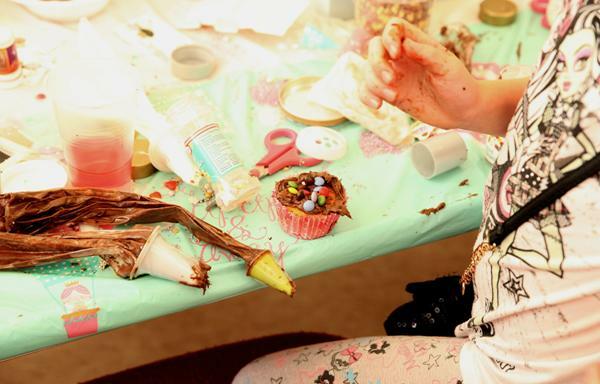 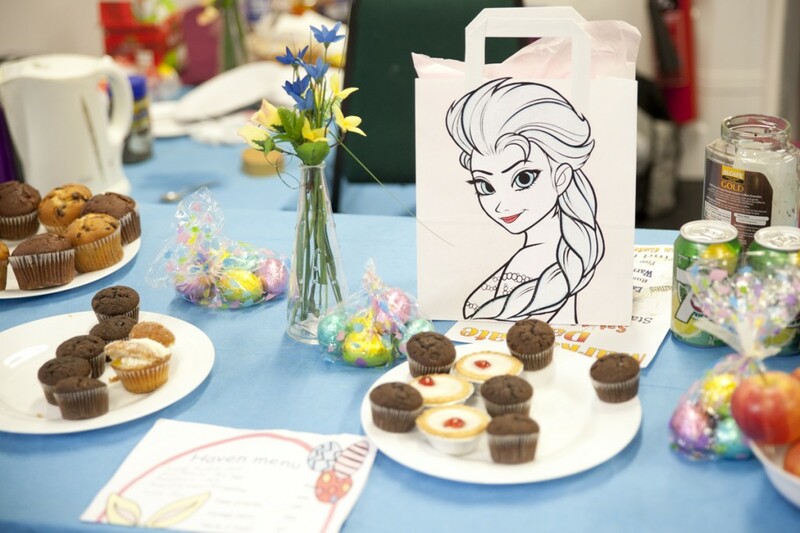 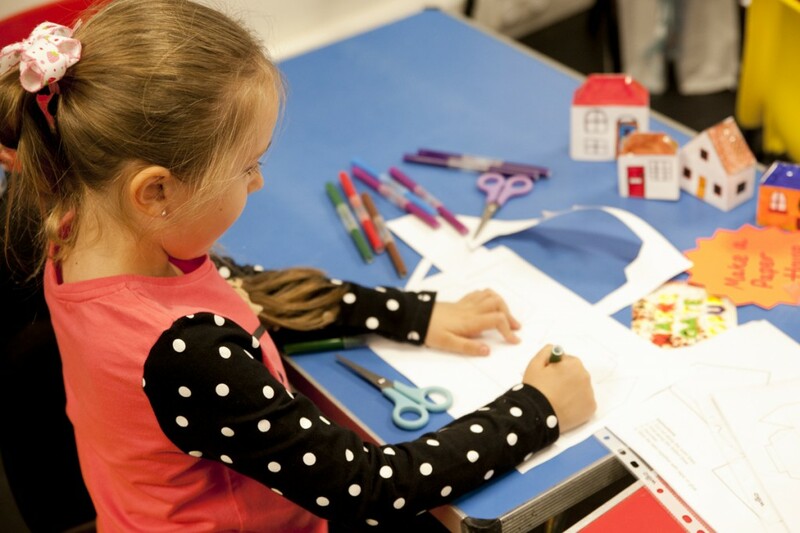 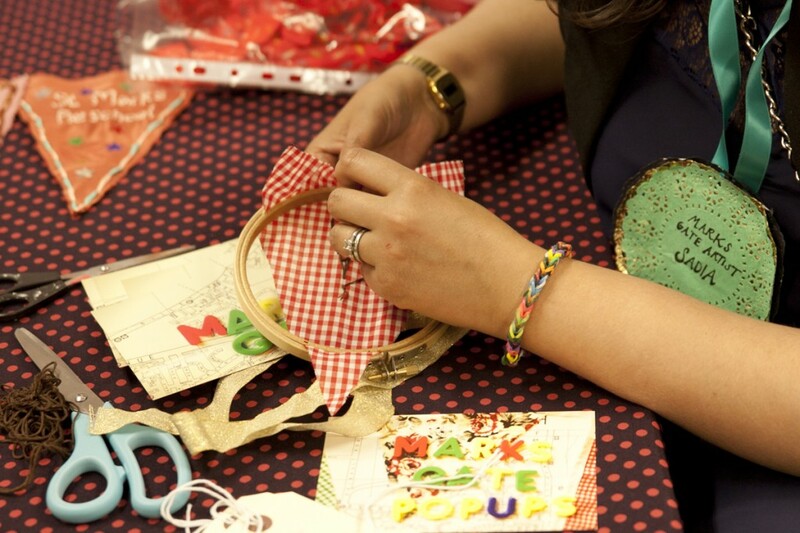 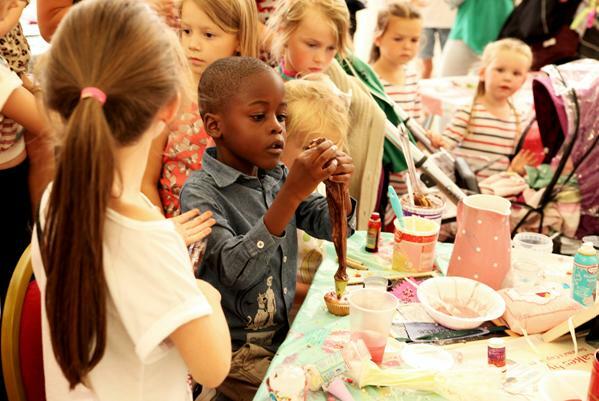 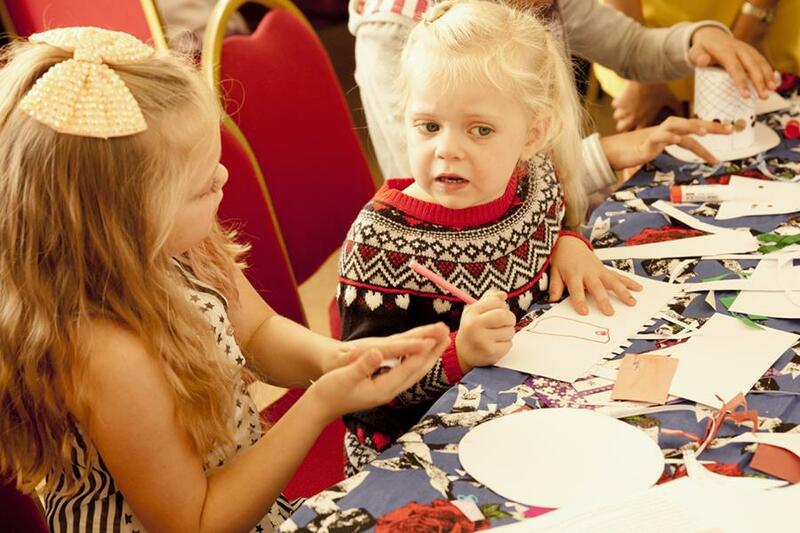 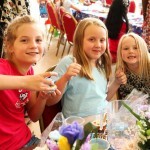 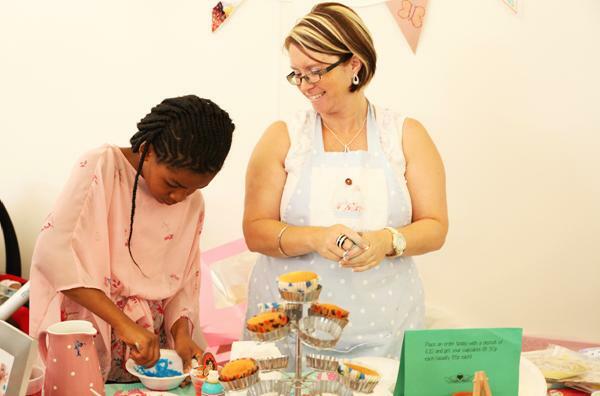 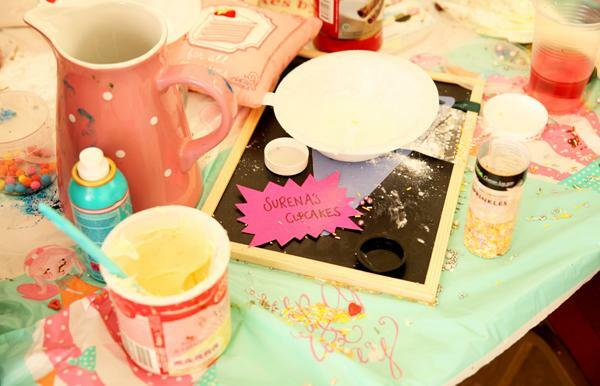 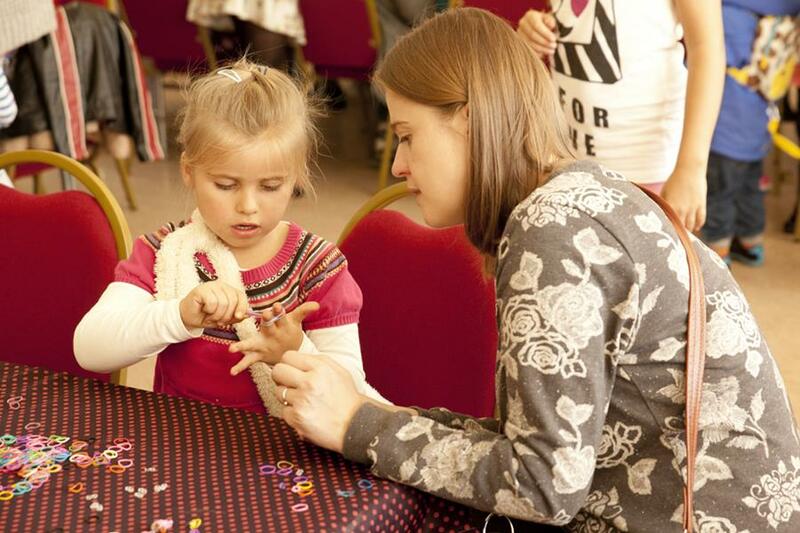 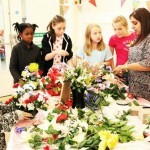 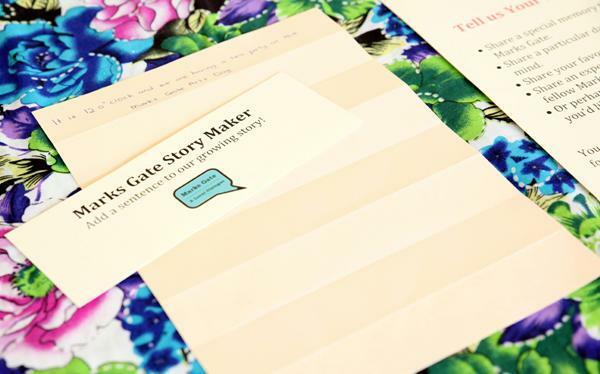 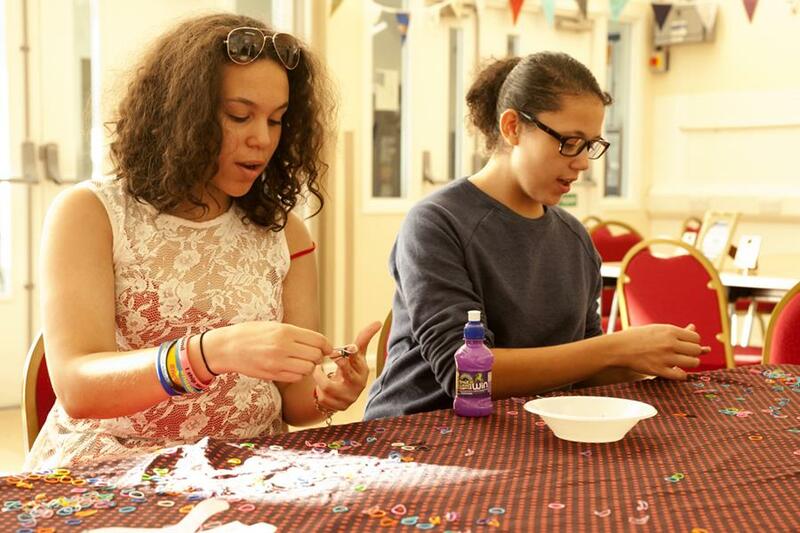 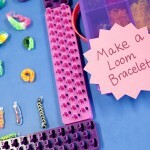 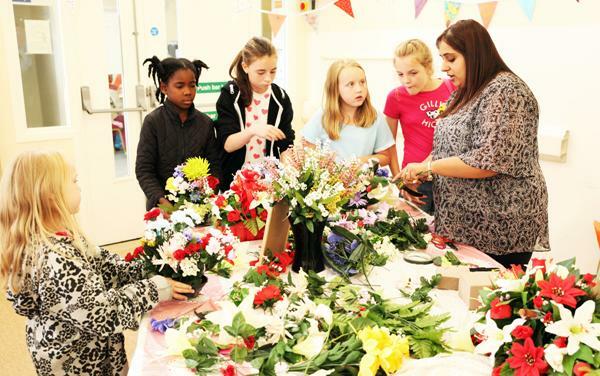 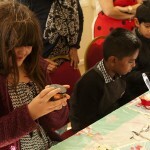 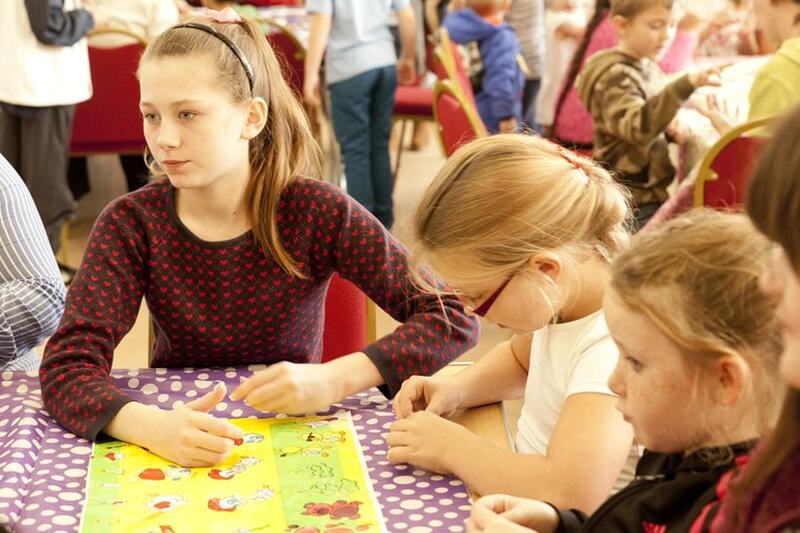 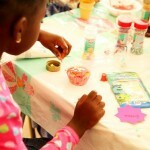 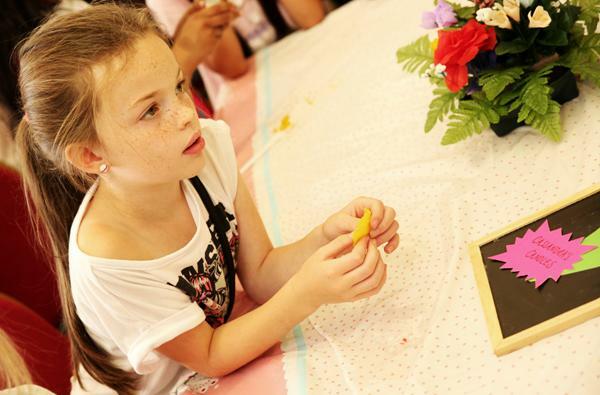 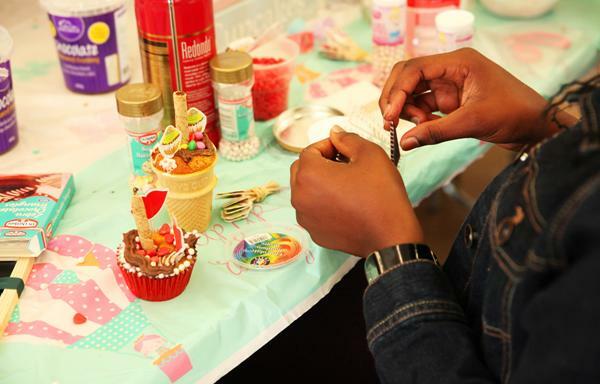 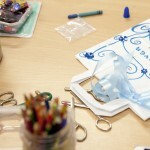 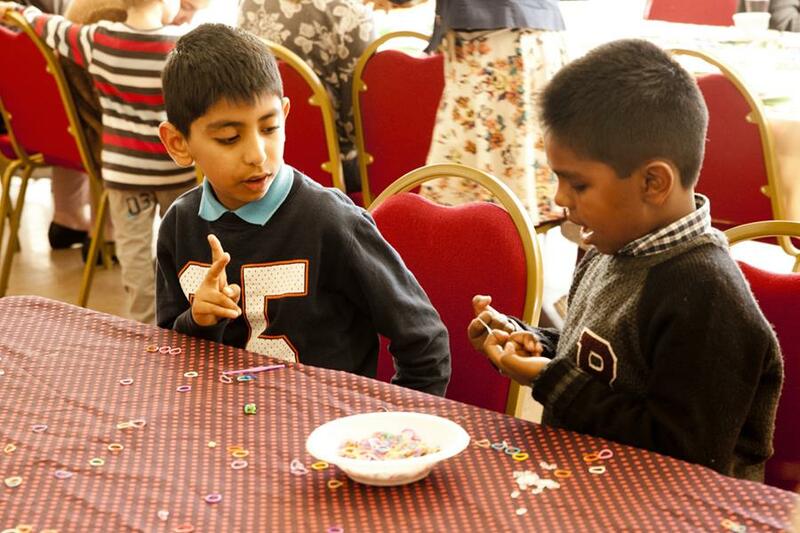 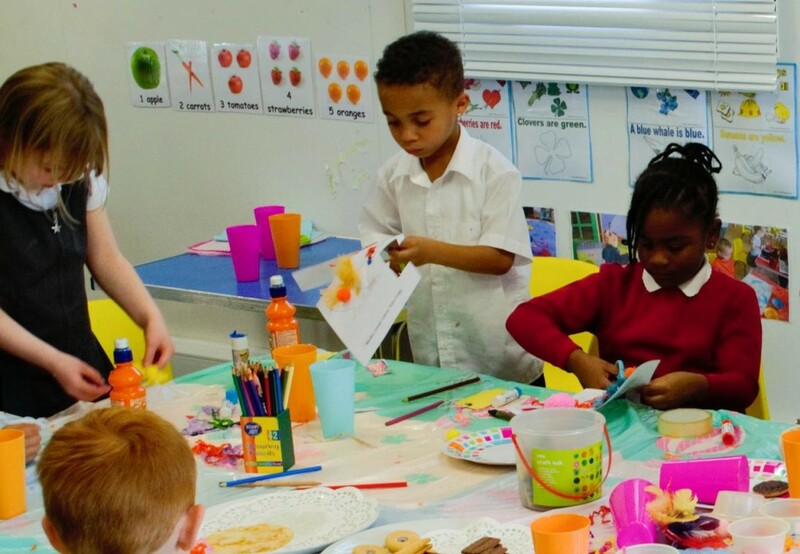 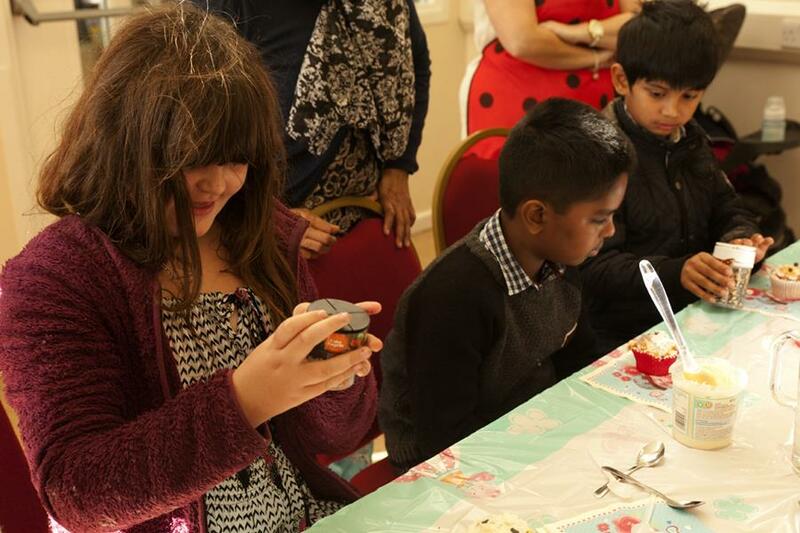 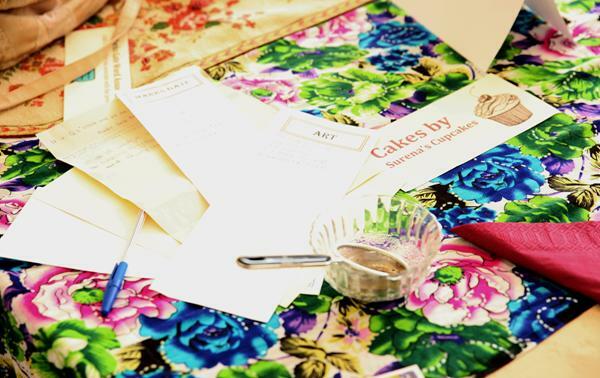 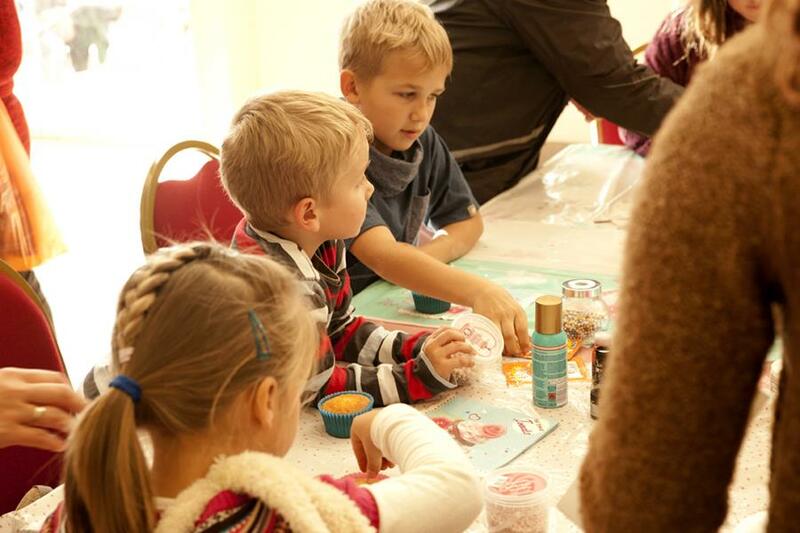 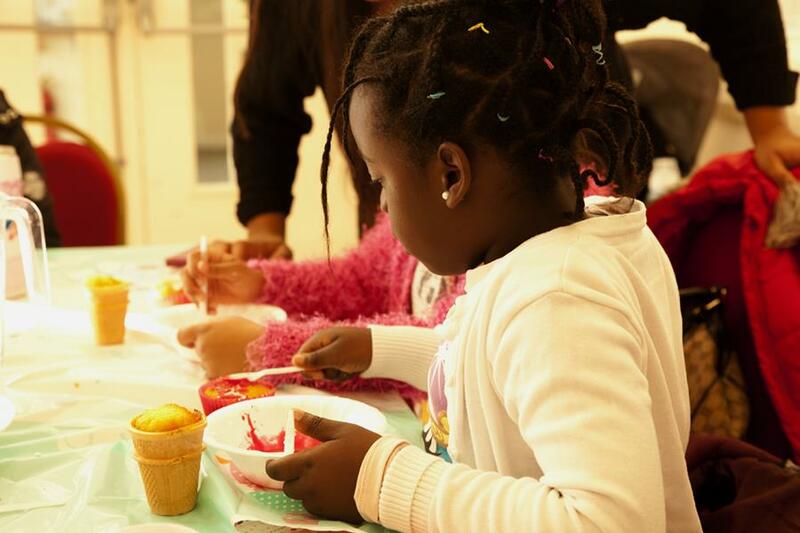 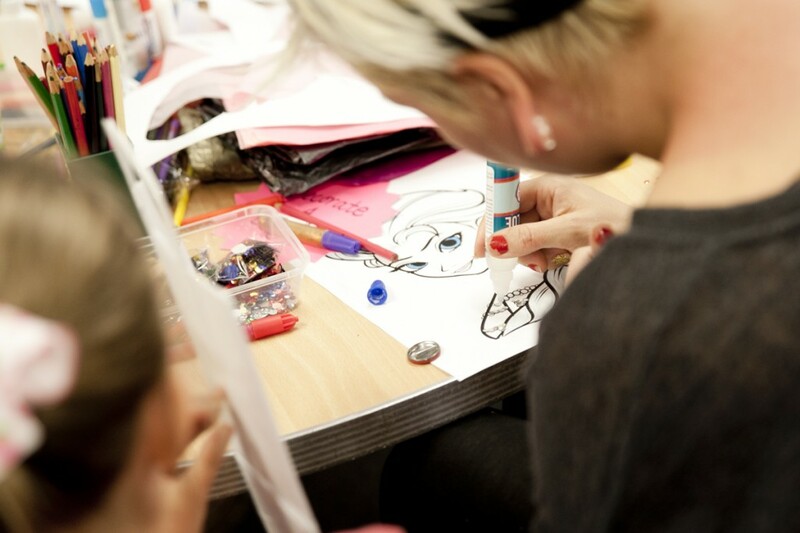 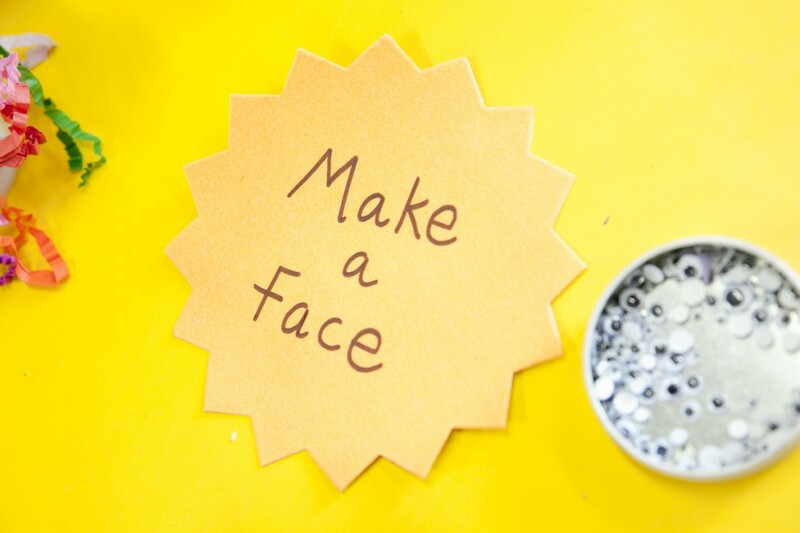 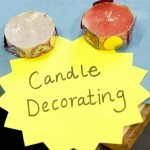 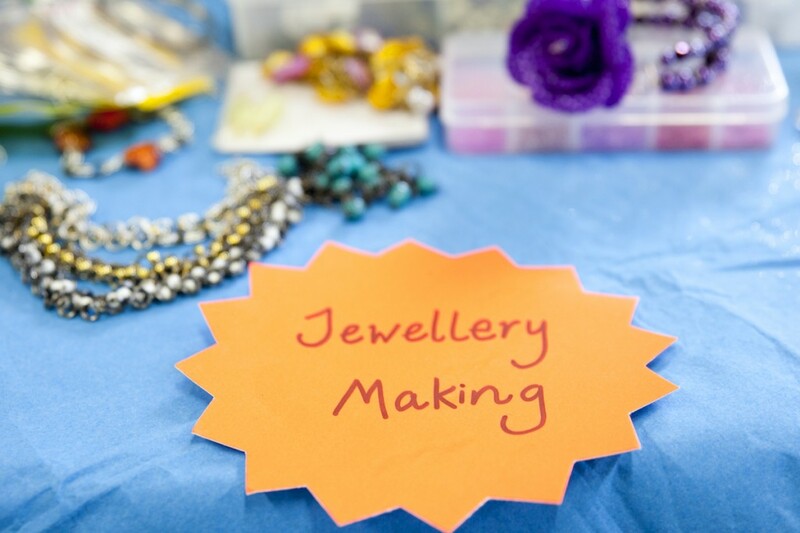 The event also hosted the following creative workshops and activities; candle making and decorating, jeweller design, cupcake decorating, flower arranging and an extra special English Afternoon Tea Party with sweet treats and Marks Gate inspired parlour games. 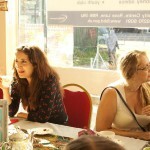 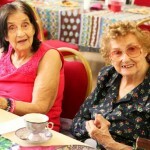 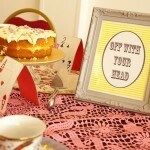 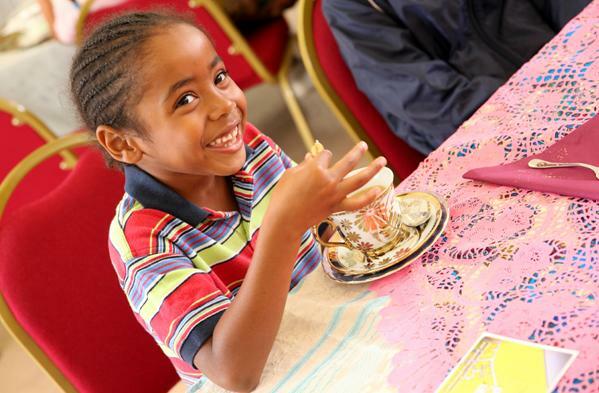 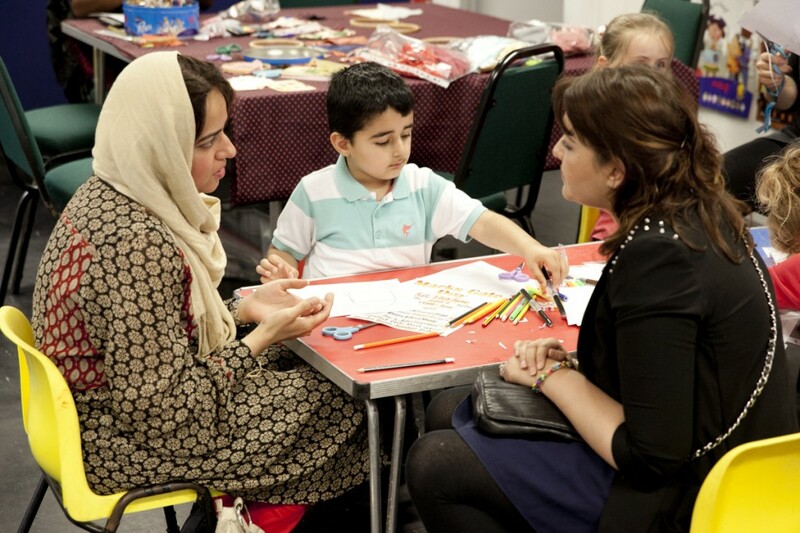 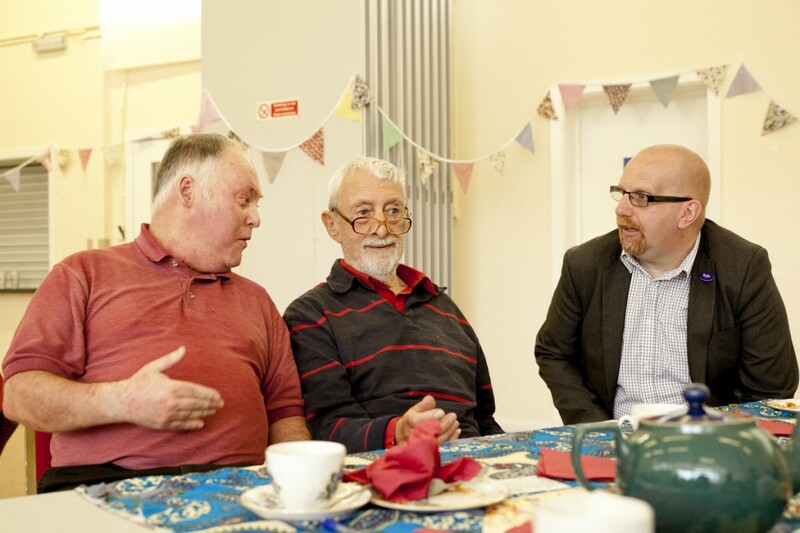 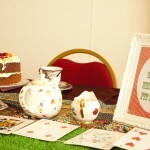 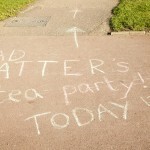 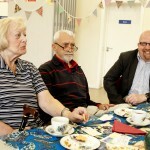 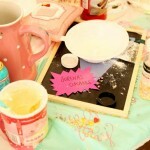 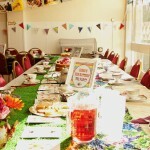 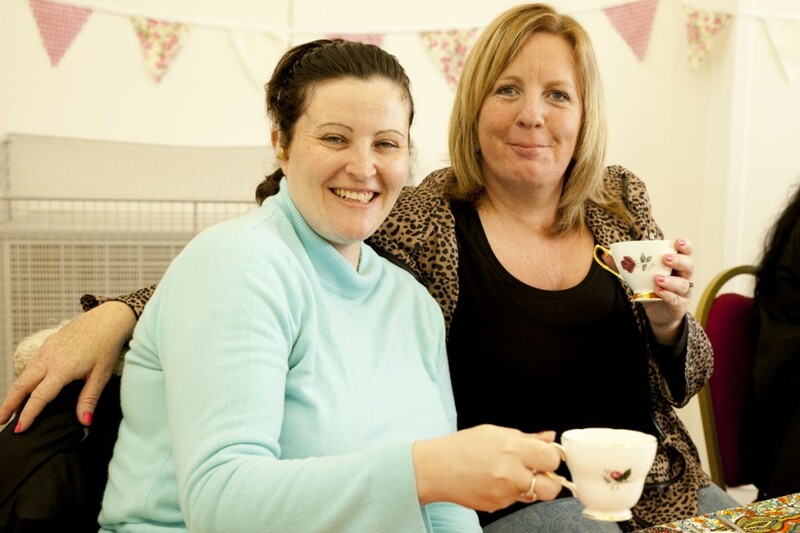 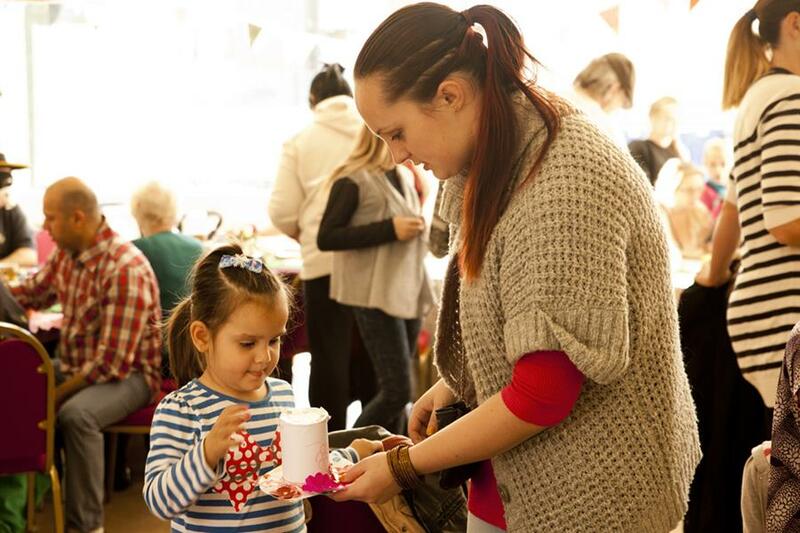 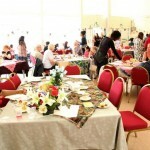 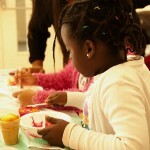 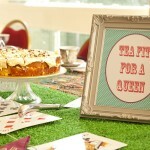 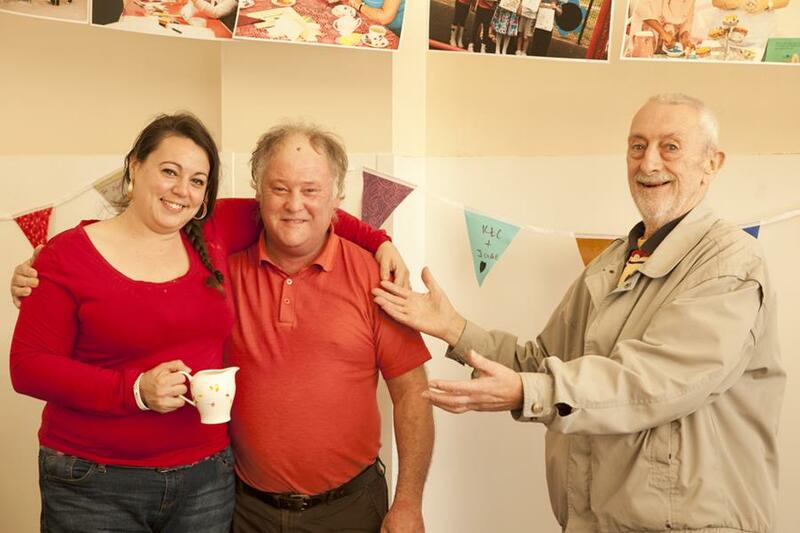 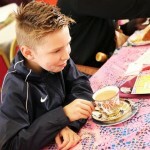 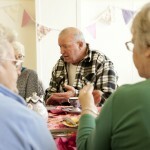 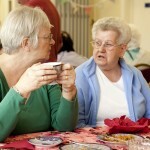 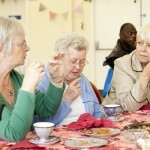 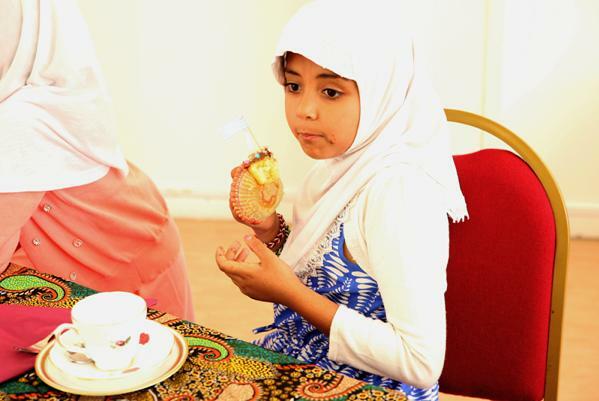 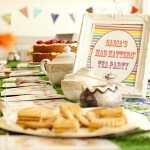 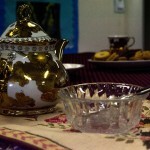 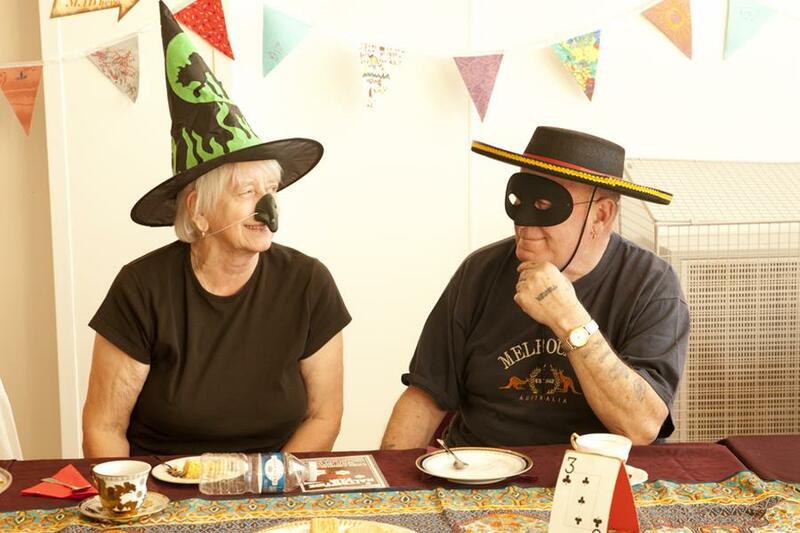 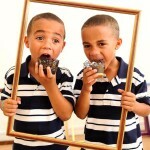 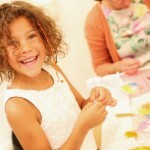 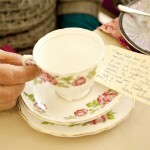 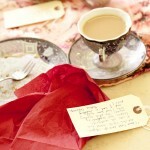 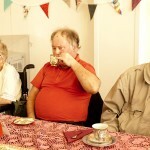 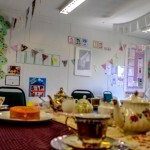 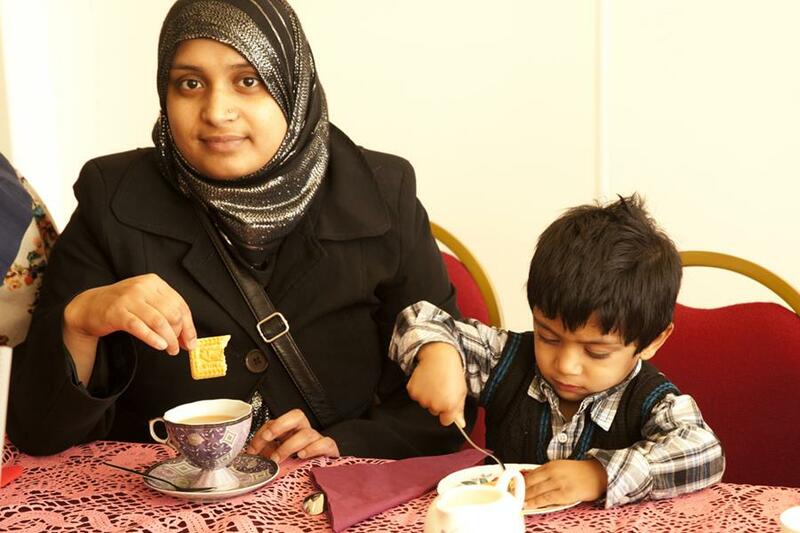 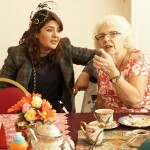 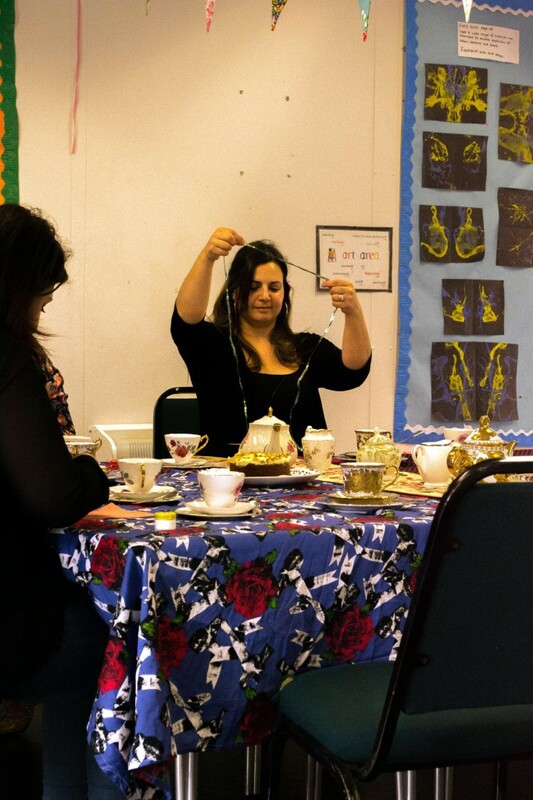 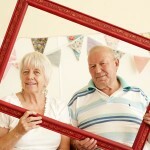 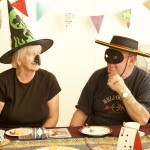 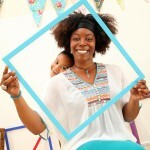 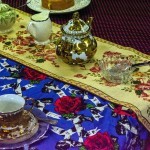 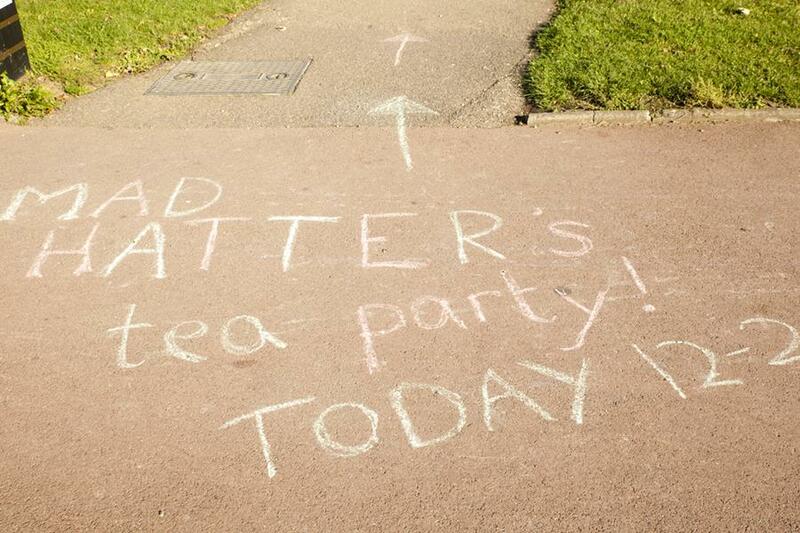 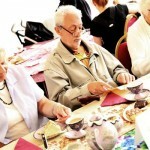 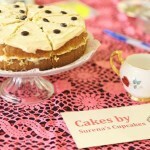 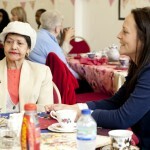 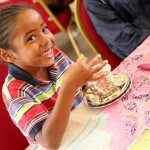 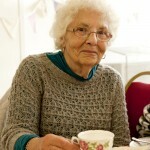 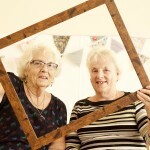 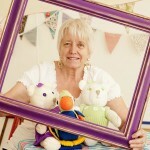 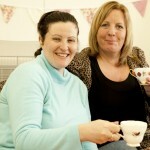 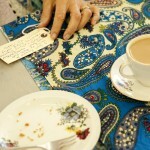 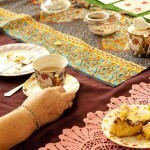 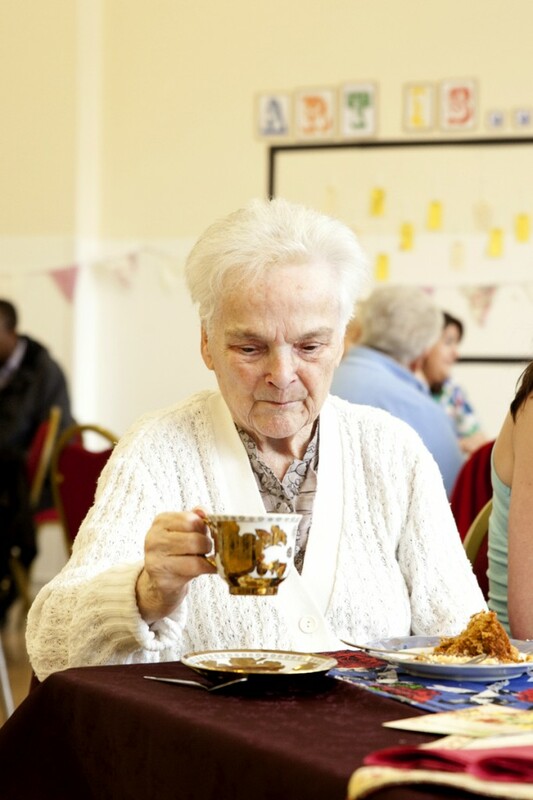 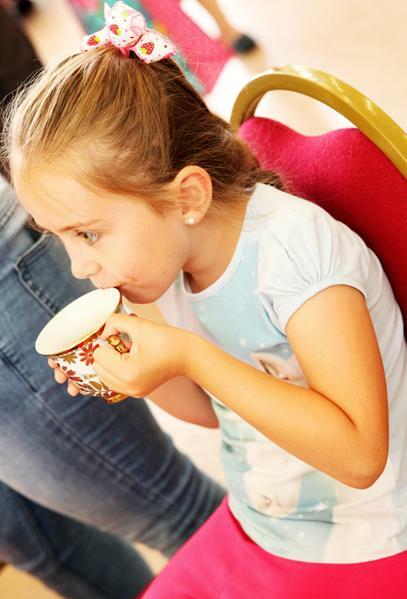 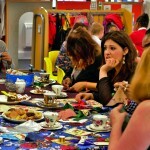 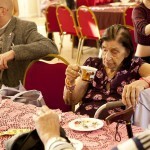 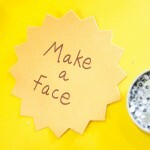 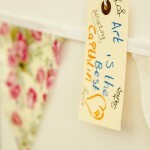 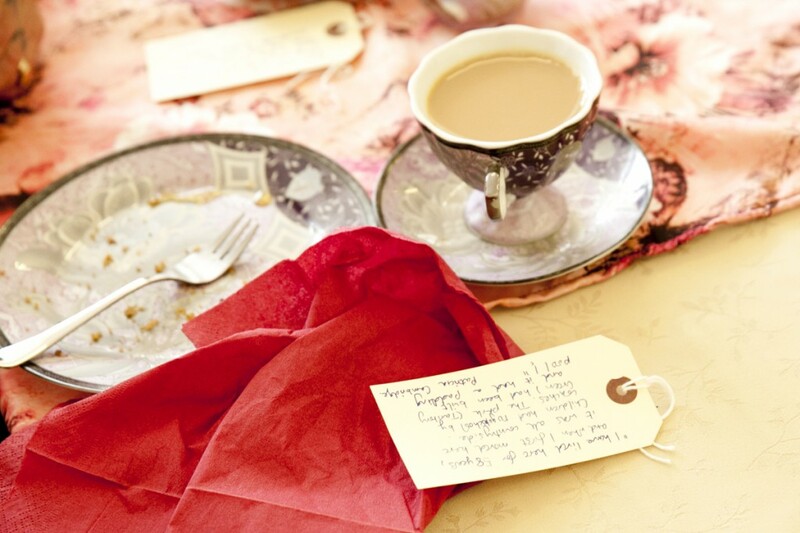 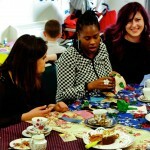 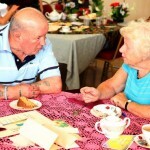 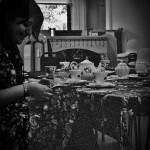 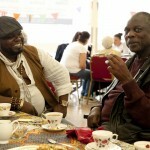 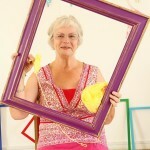 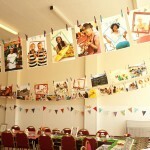 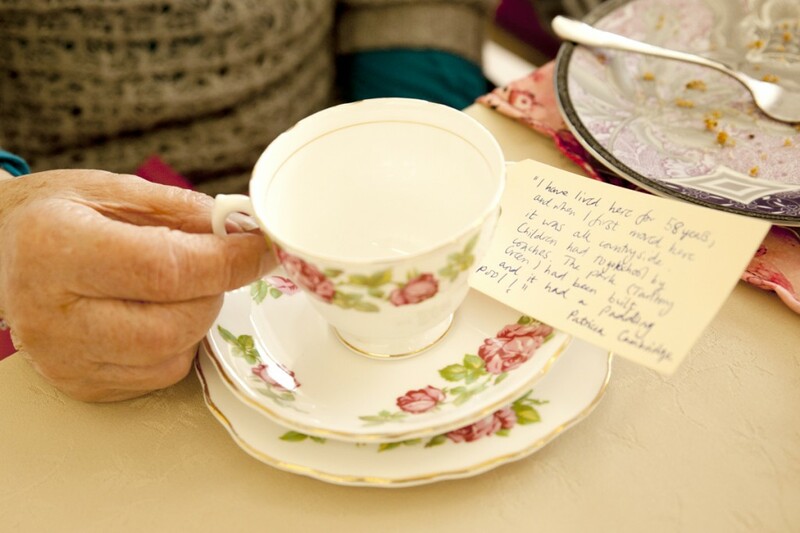 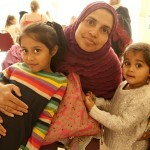 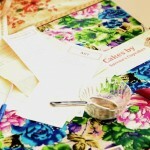 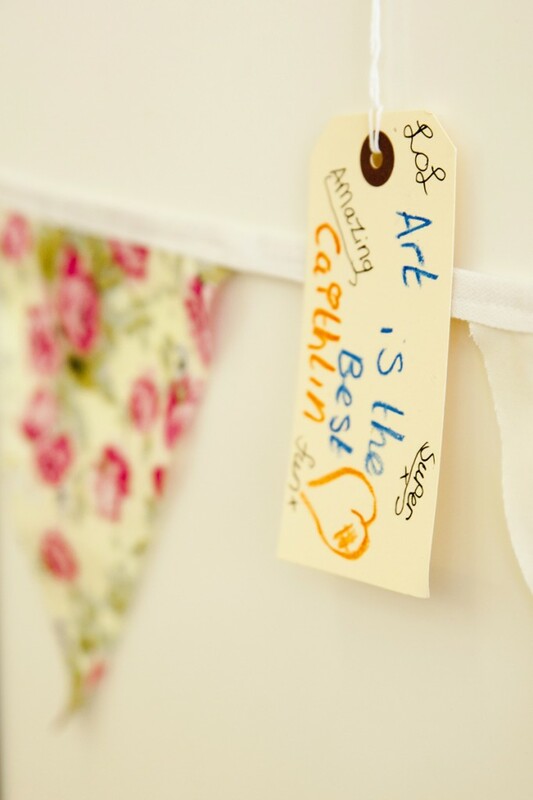 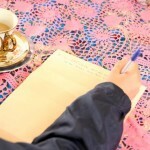 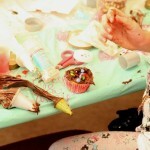 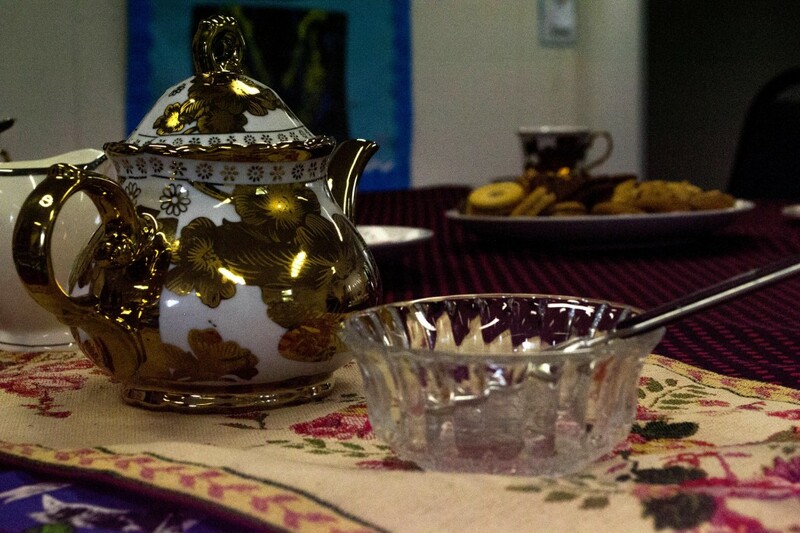 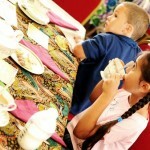 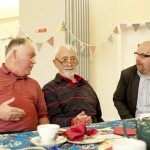 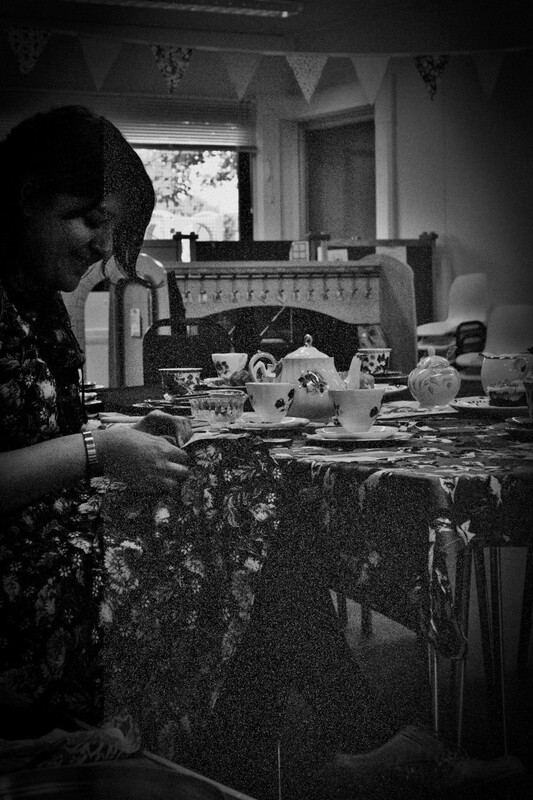 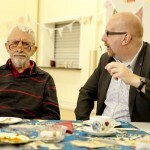 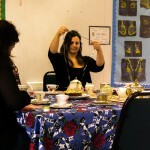 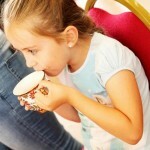 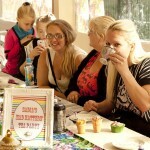 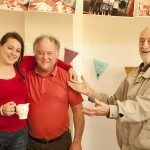 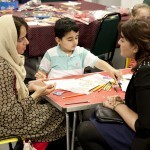 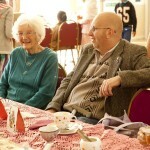 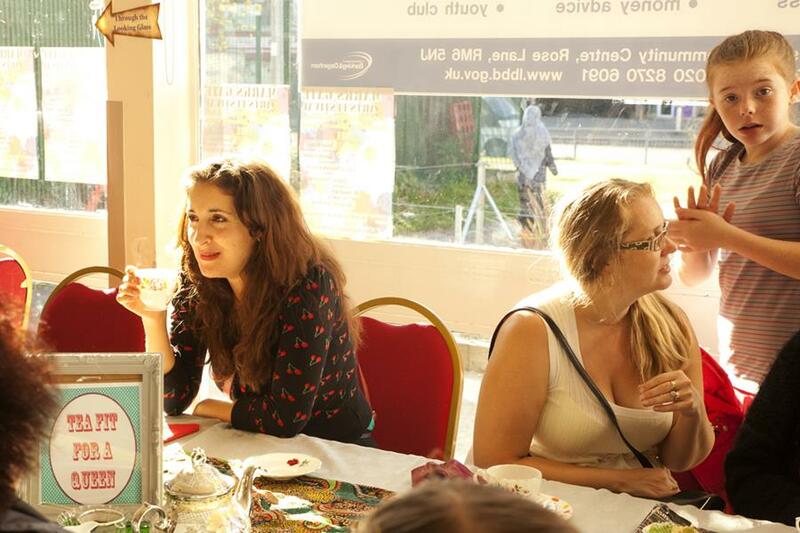 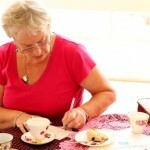 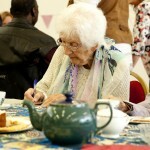 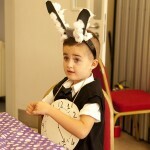 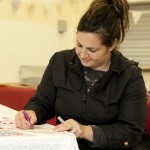 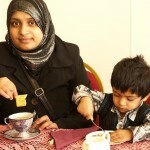 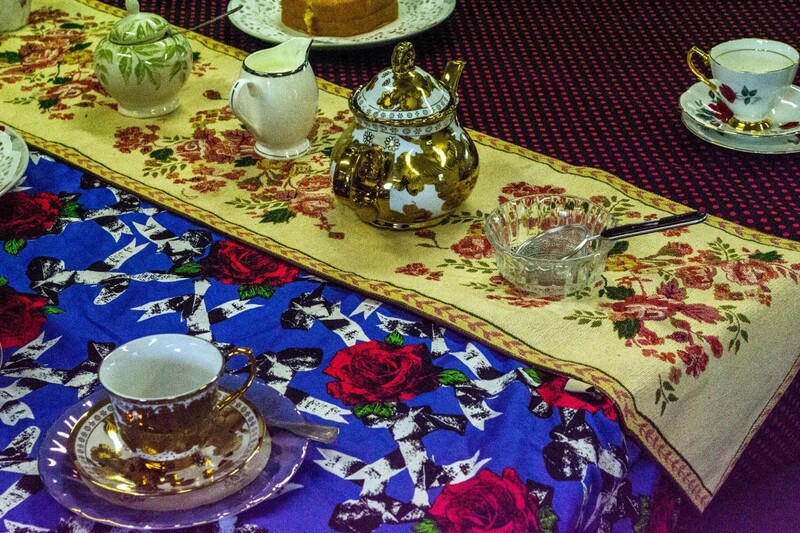 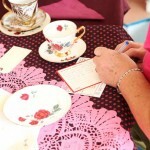 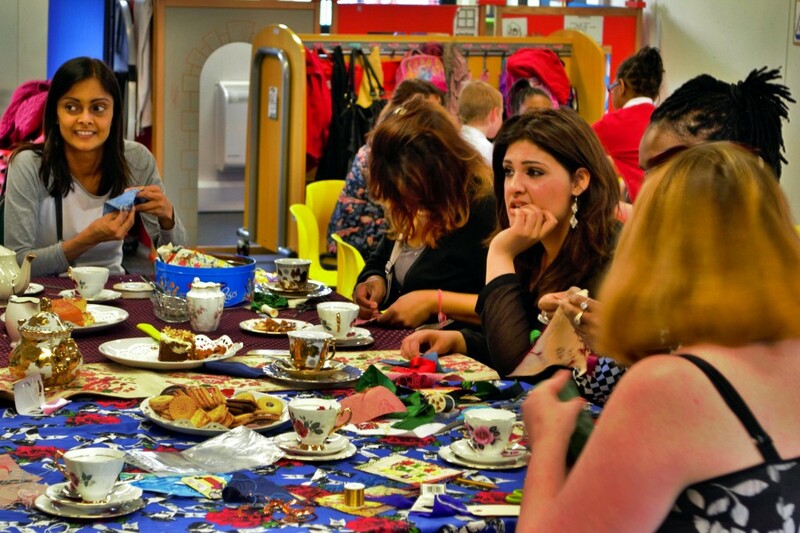 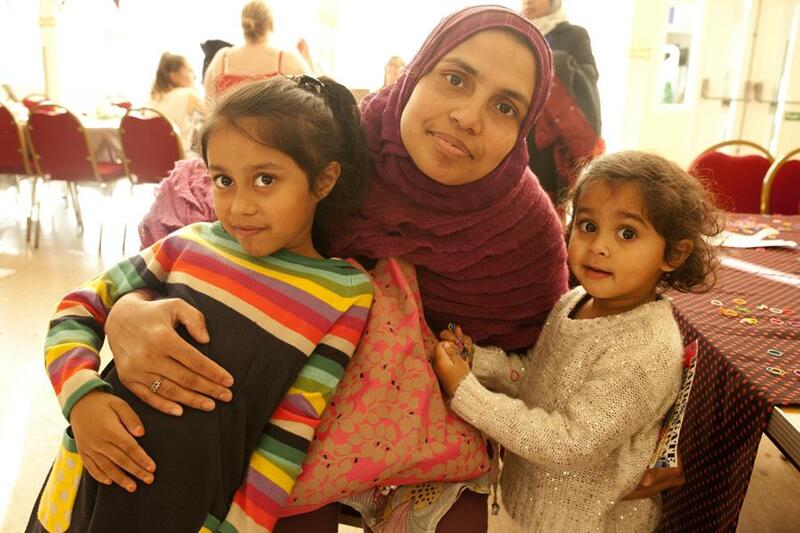 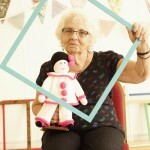 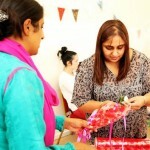 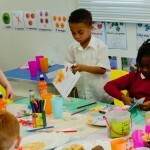 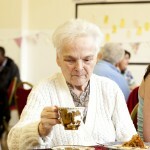 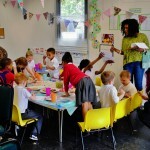 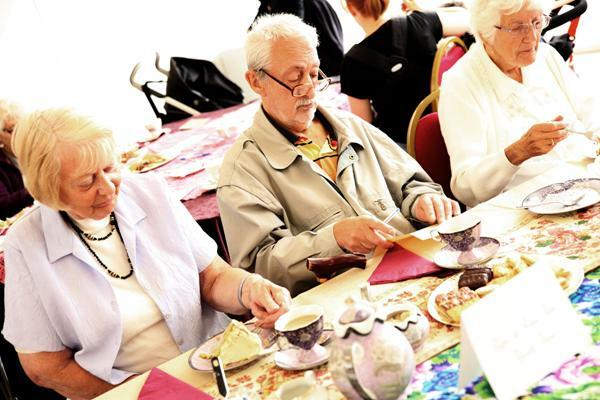 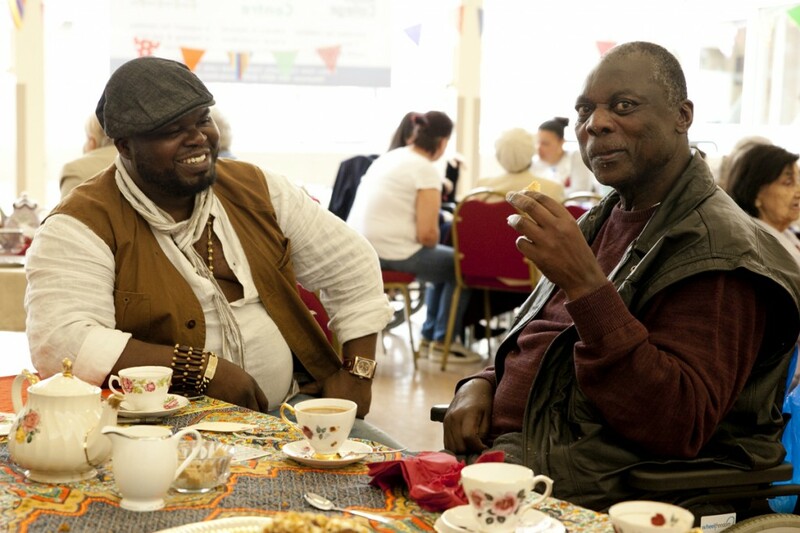 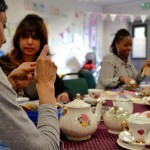 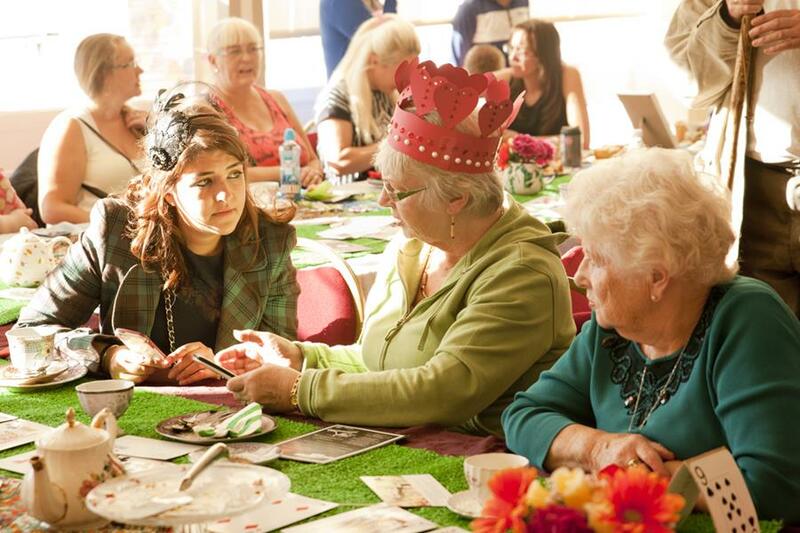 On Tuesday 27th May we hosted a Marks Gate inspired pop-up tea party as part of the project ‘A Local Dialogue’. 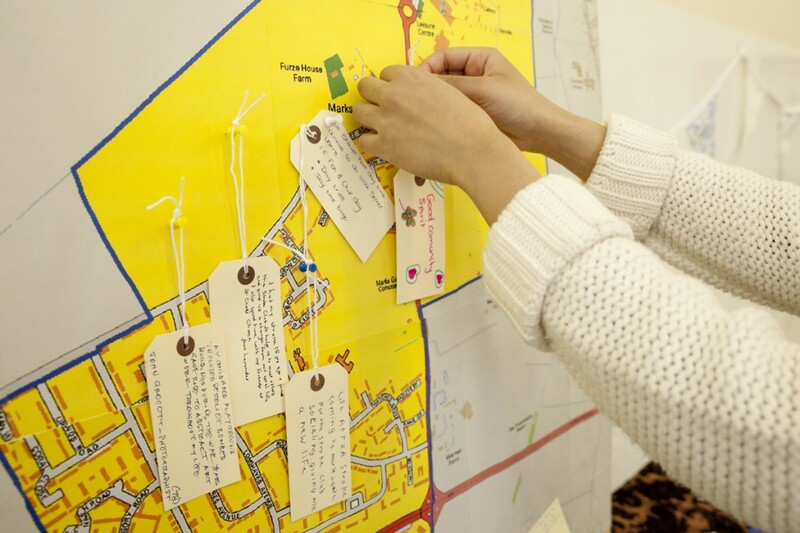 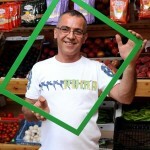 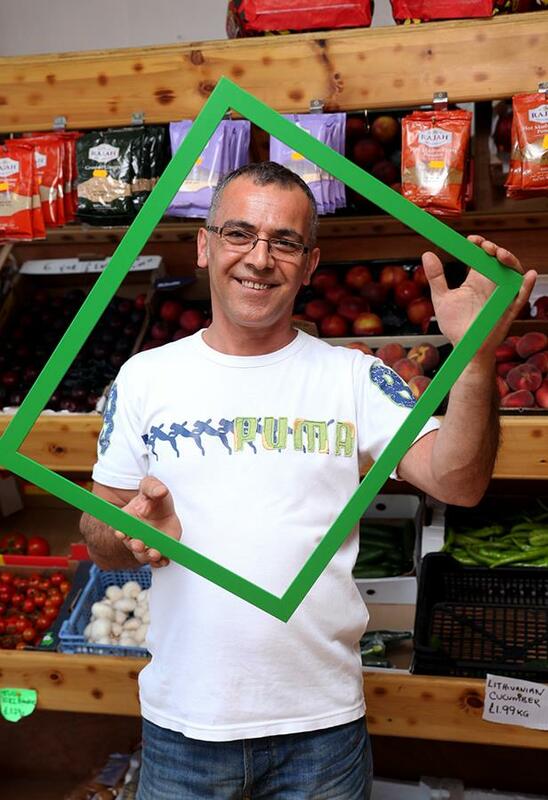 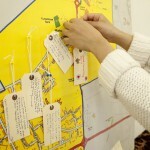 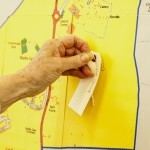 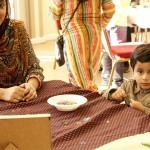 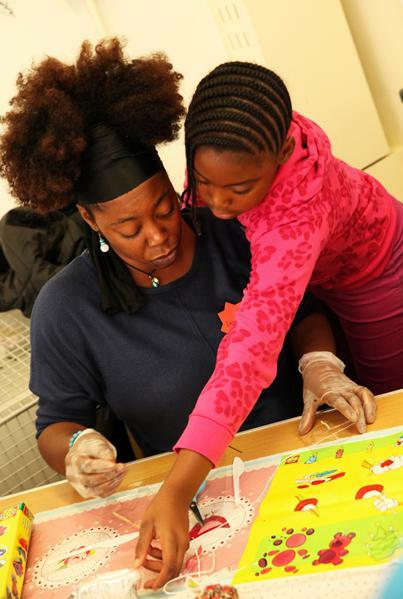 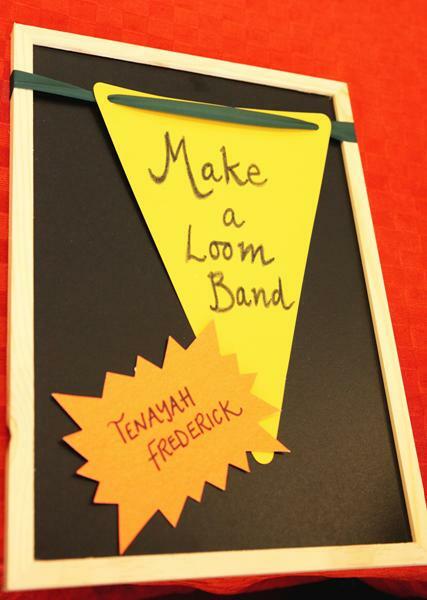 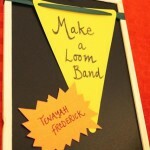 Guests explored their local area and it’s gems through a series of special games and activities. 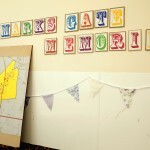 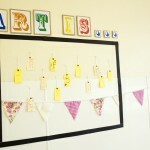 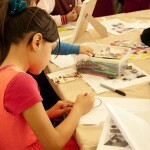 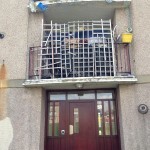 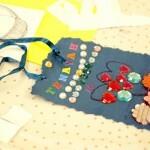 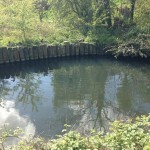 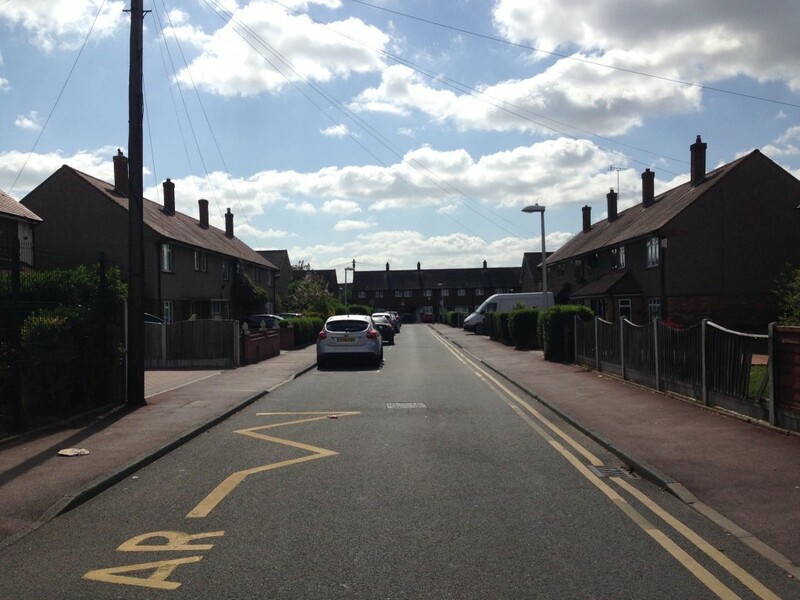 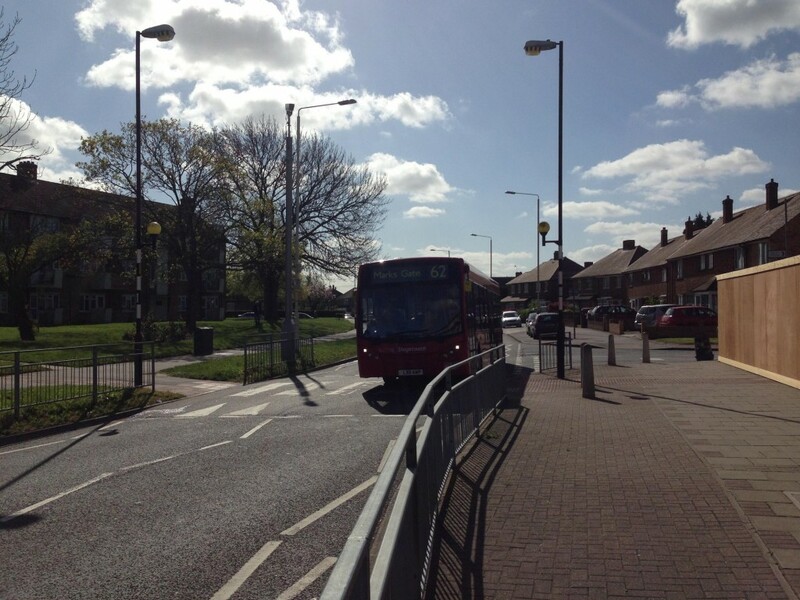 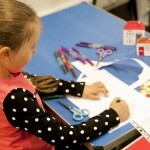 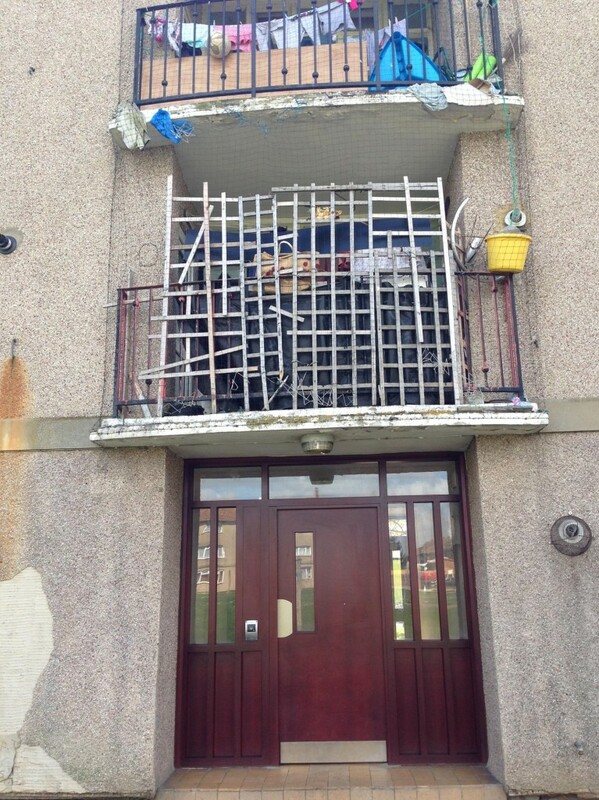 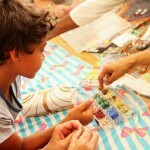 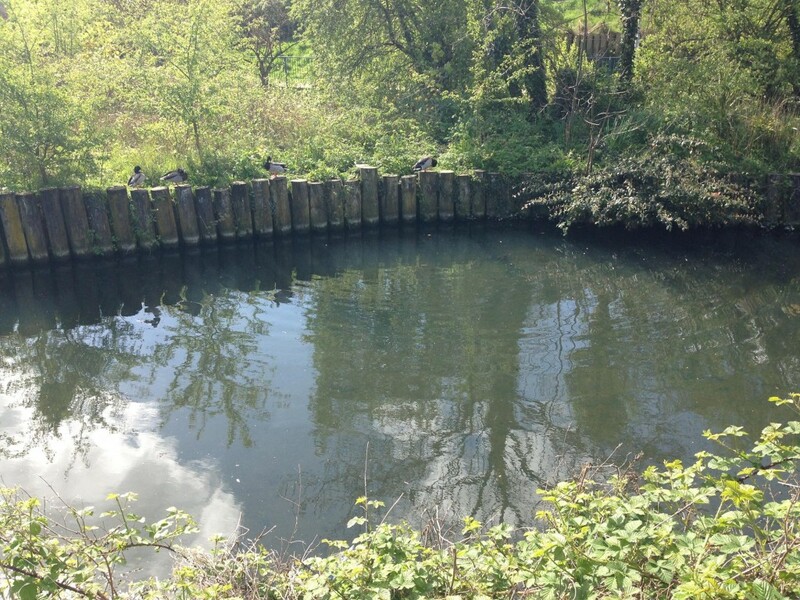 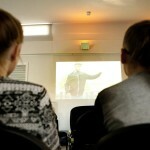 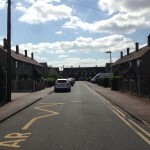 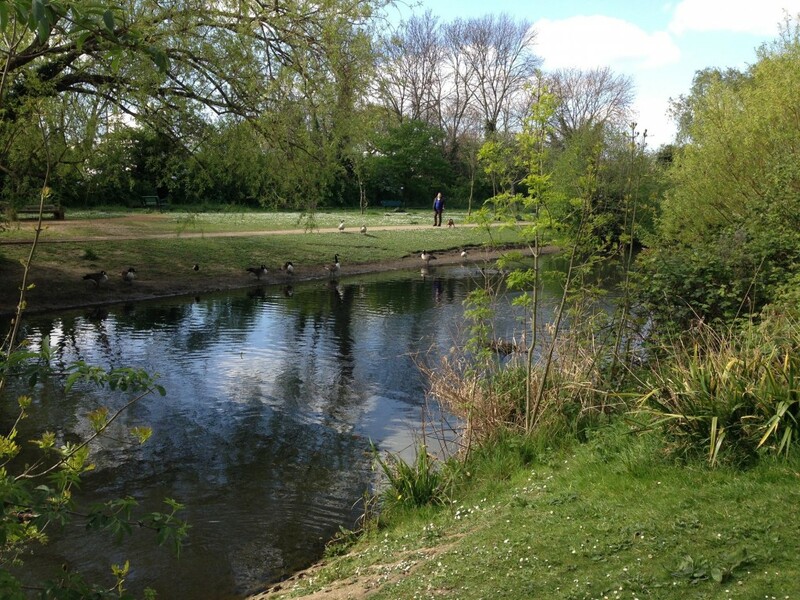 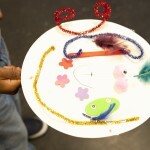 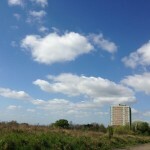 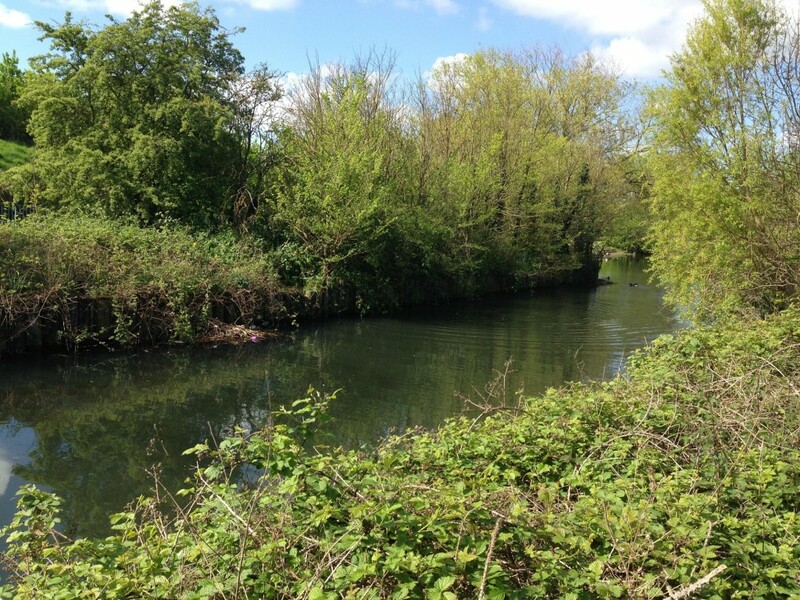 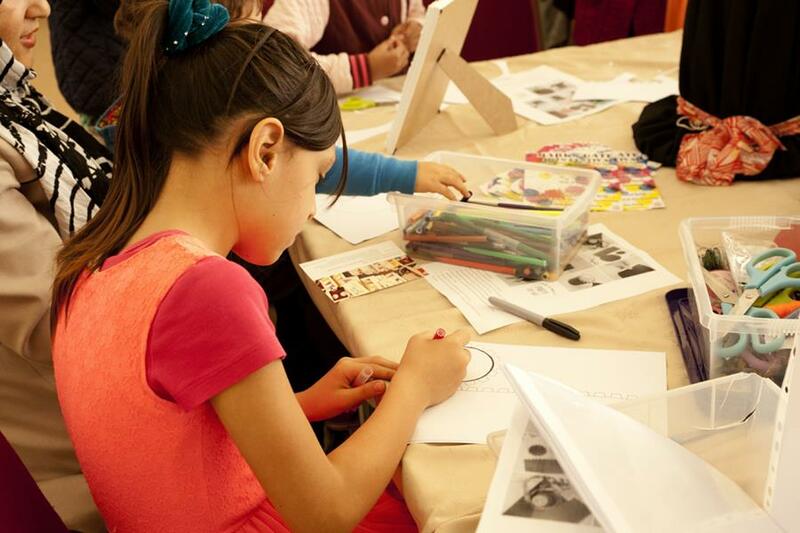 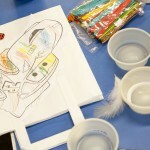 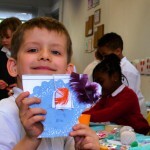 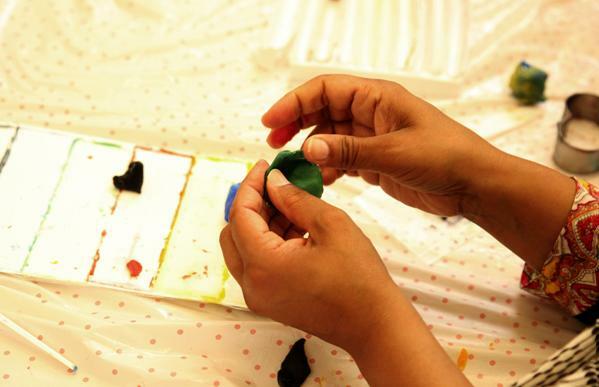 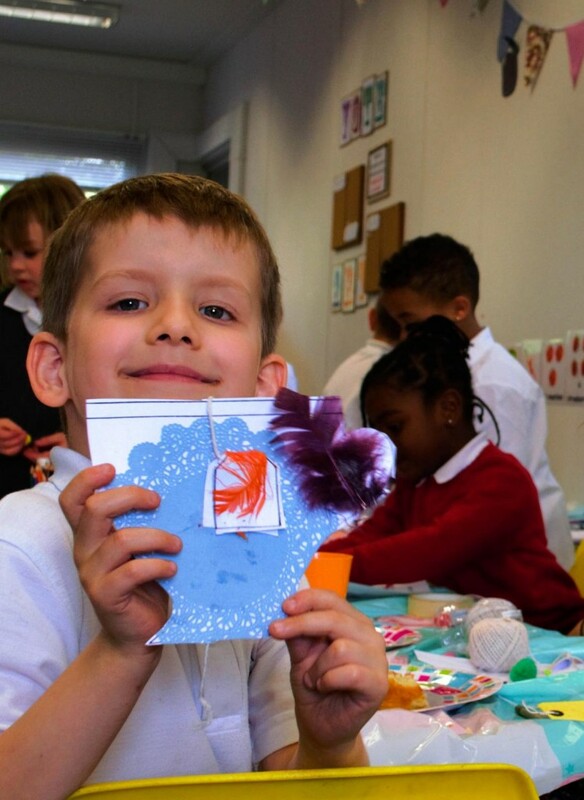 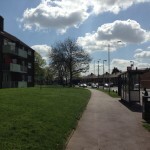 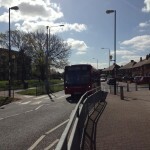 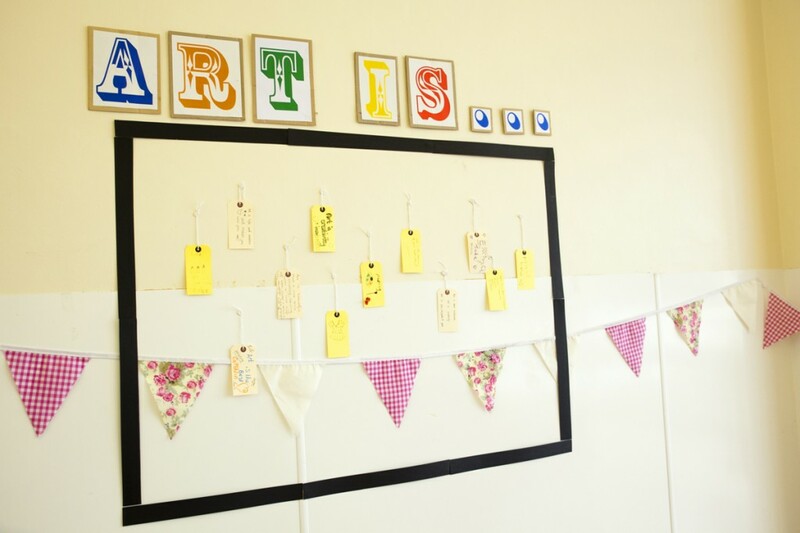 We also captured ‘Marks Gate Memories’ and explored what ‘Art Is…’. 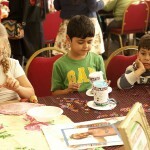 during the event. 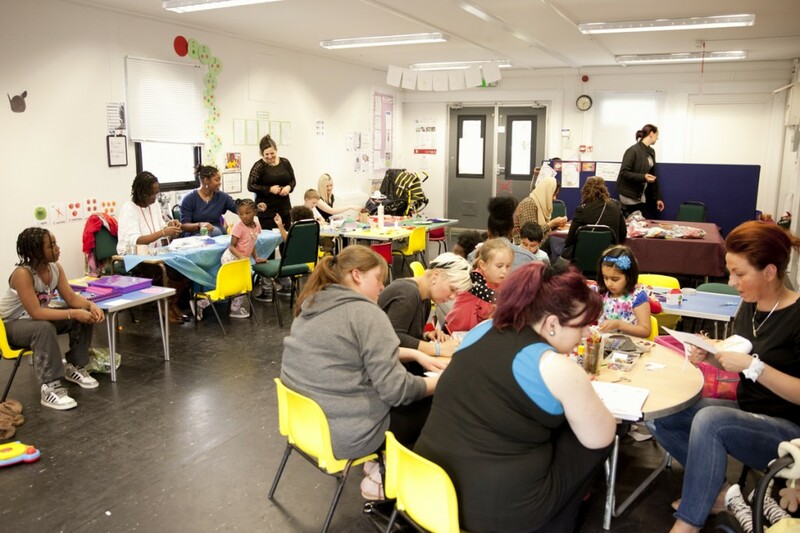 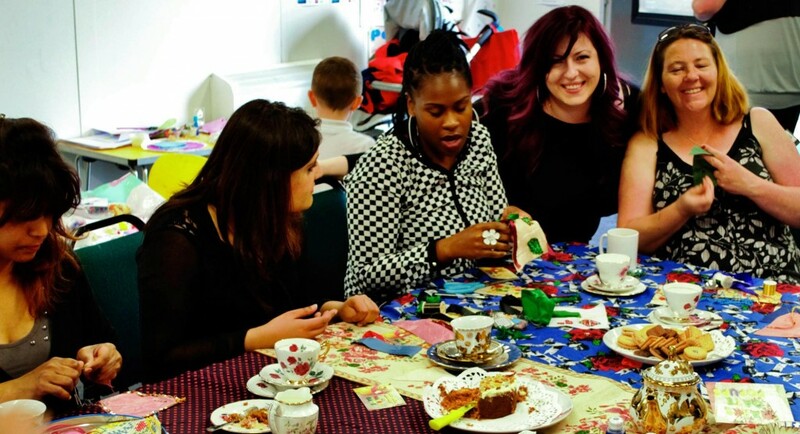 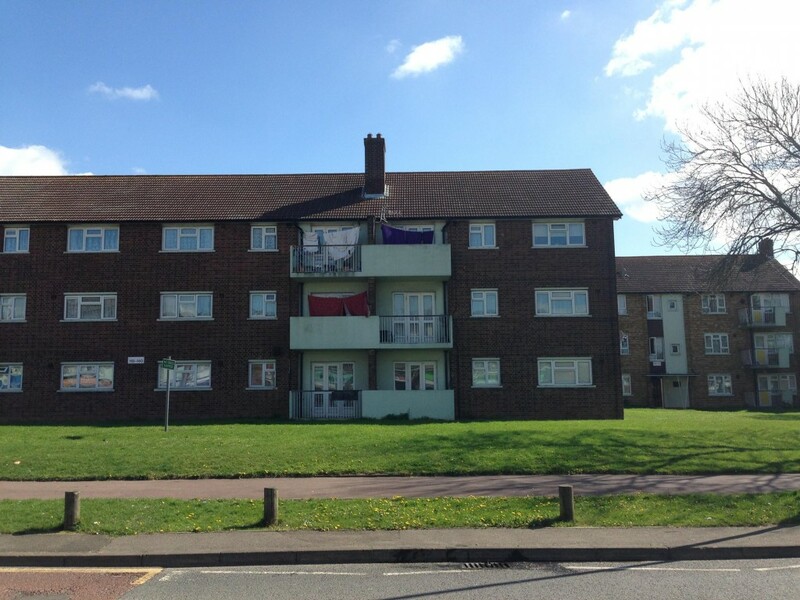 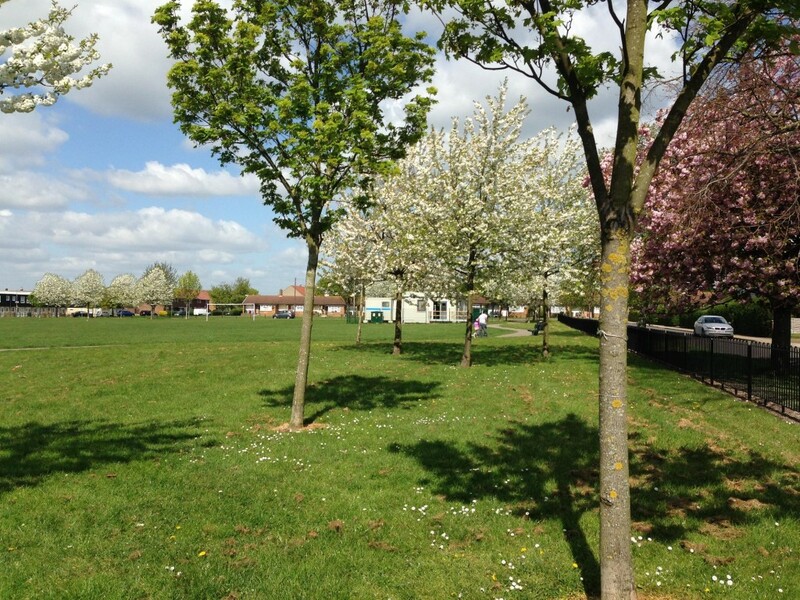 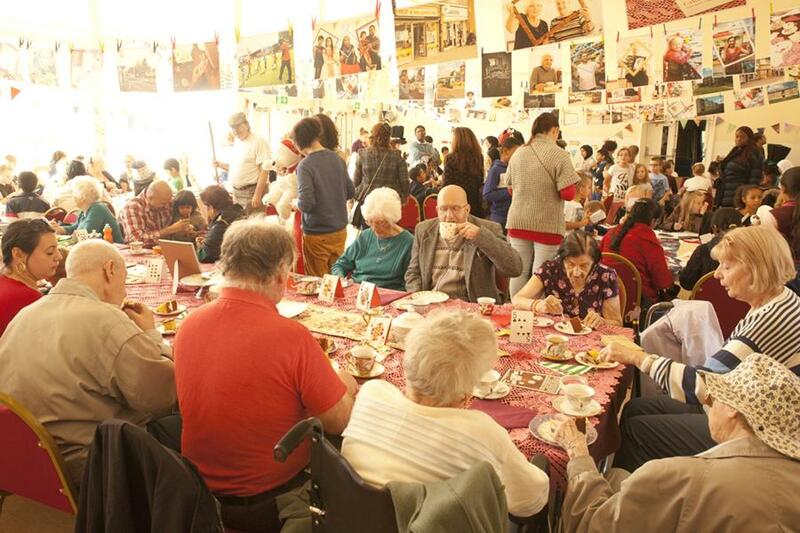 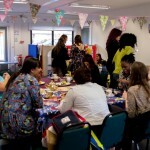 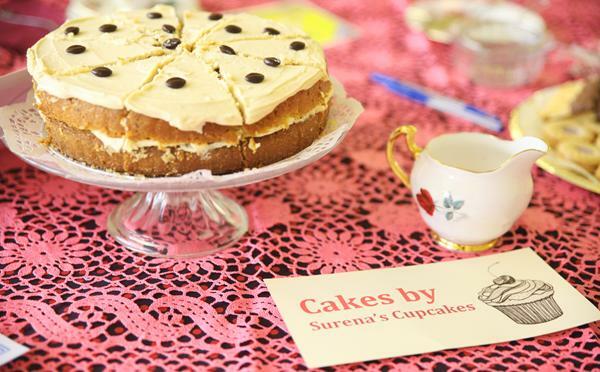 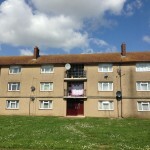 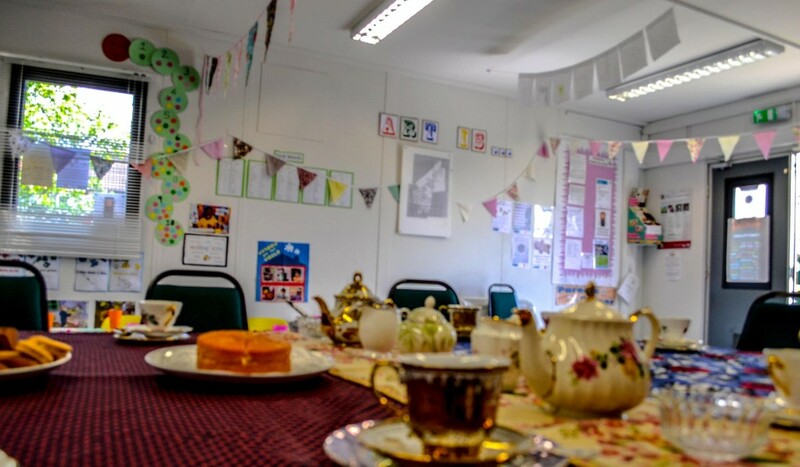 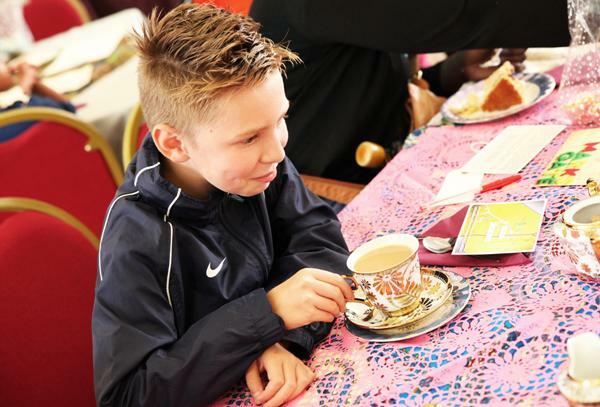 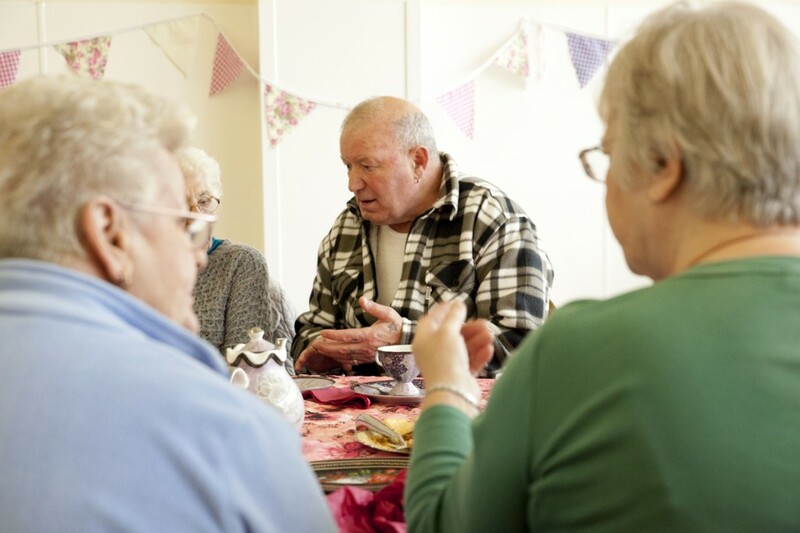 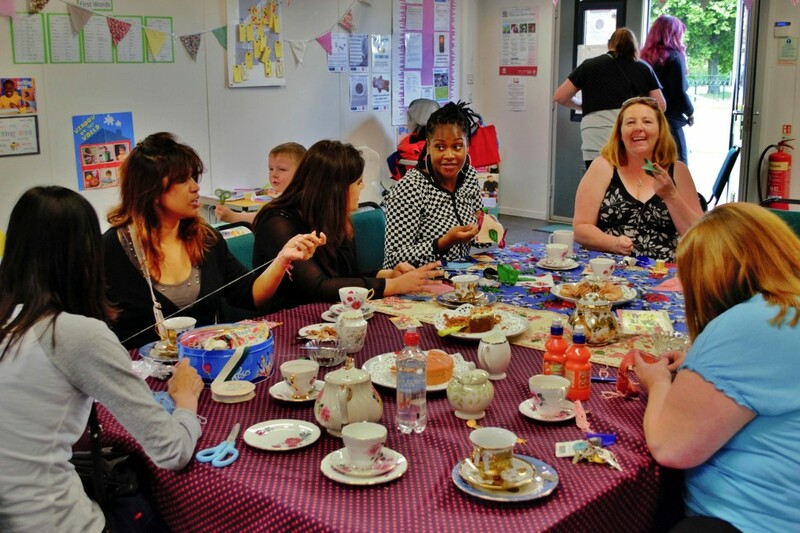 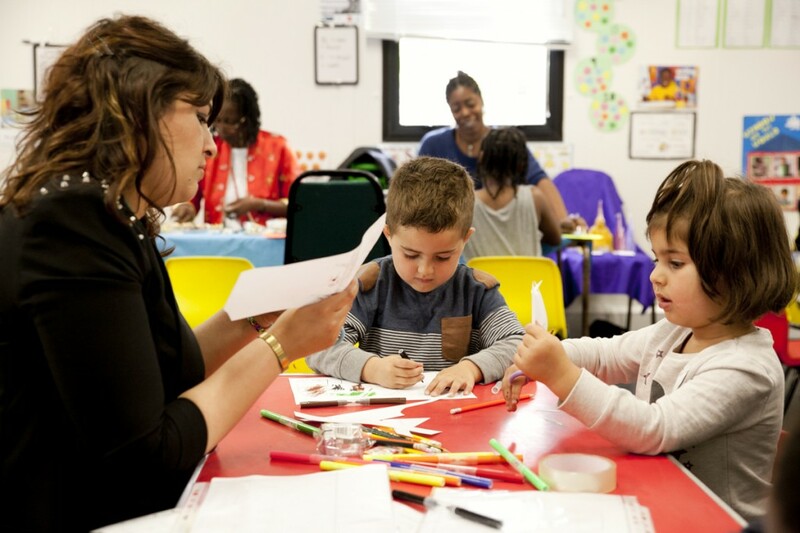 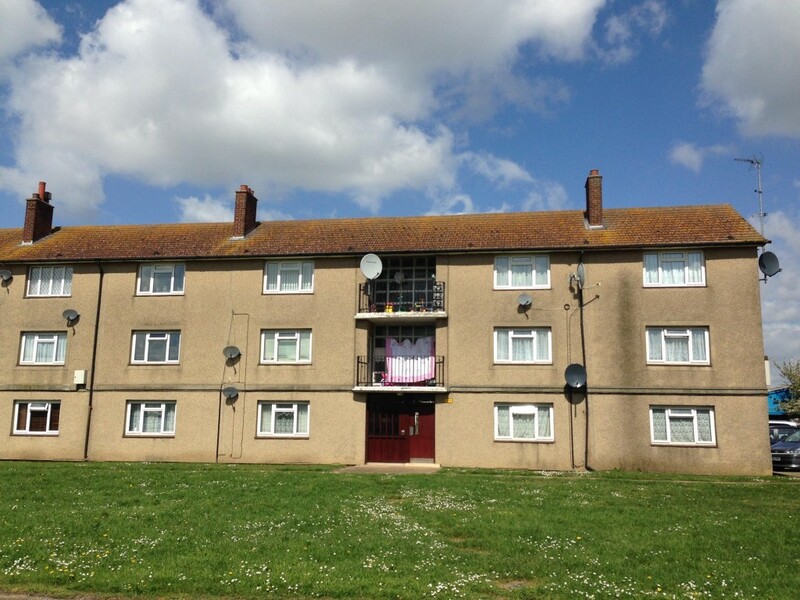 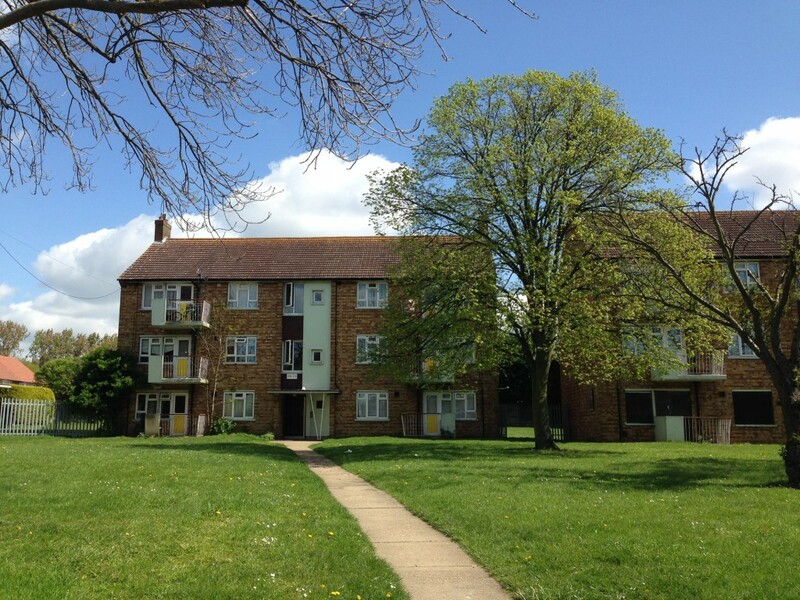 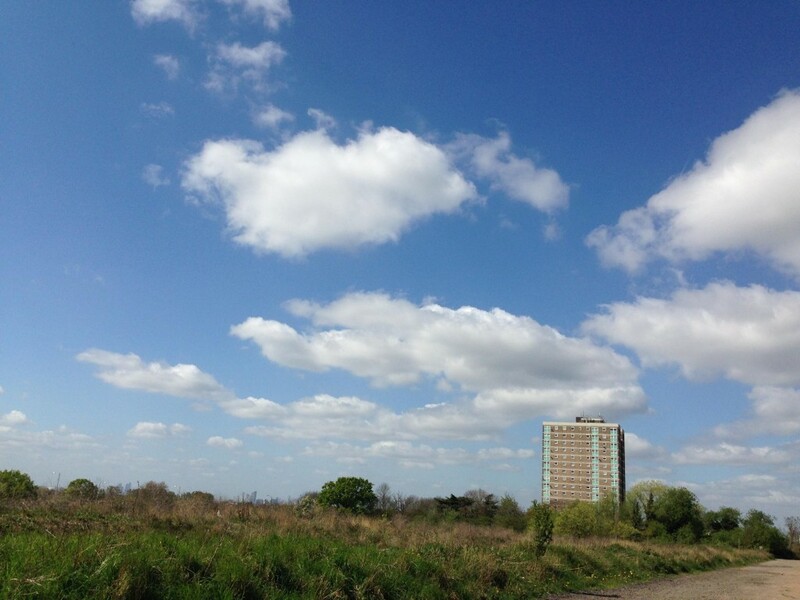 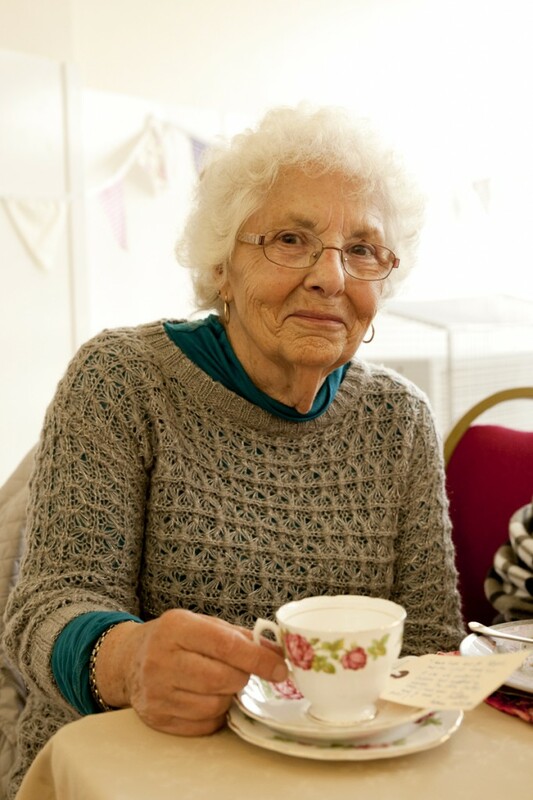 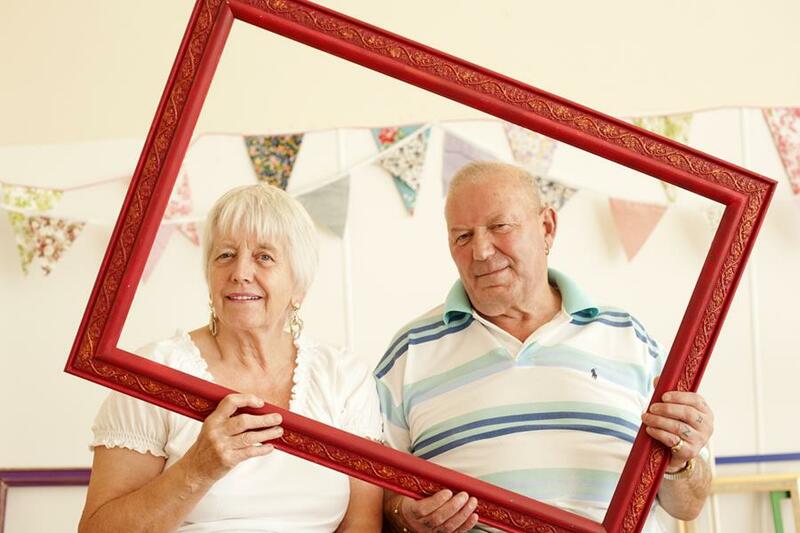 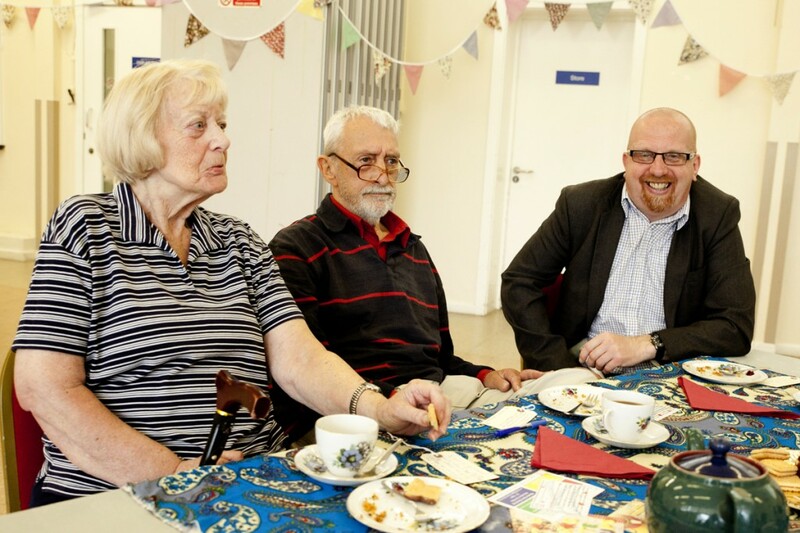 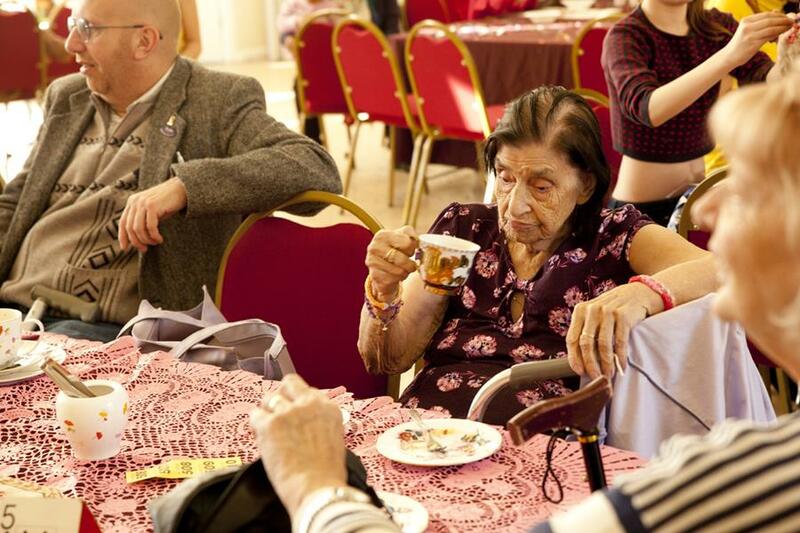 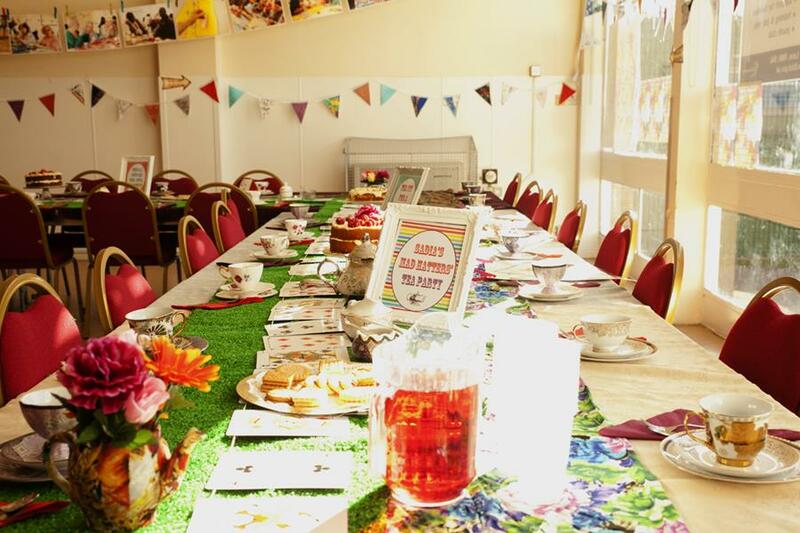 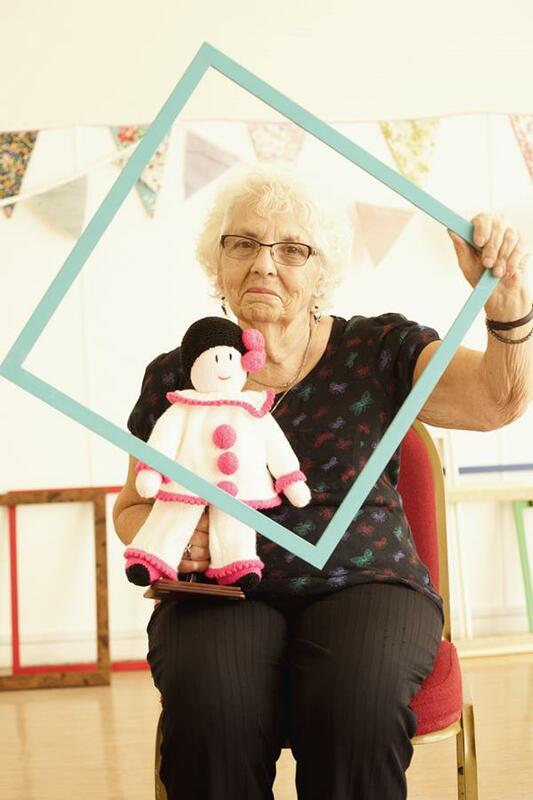 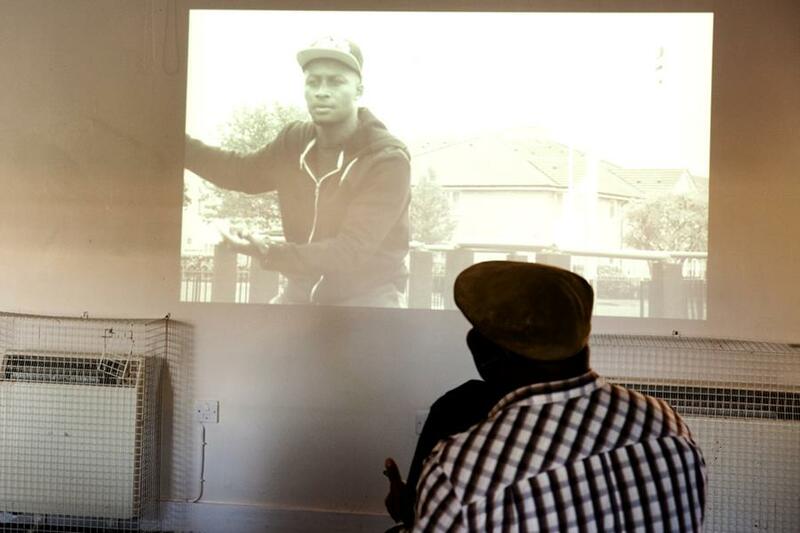 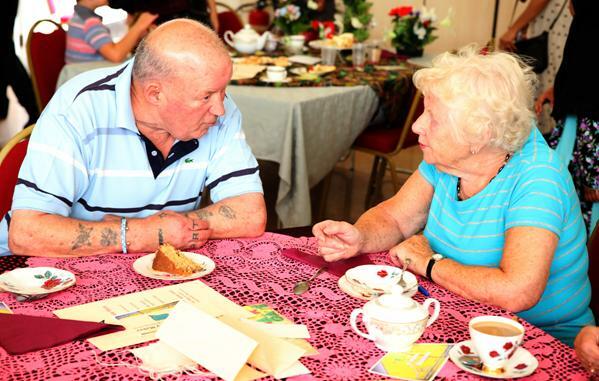 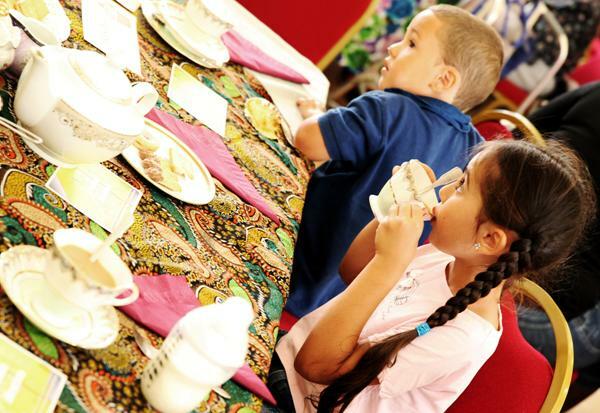 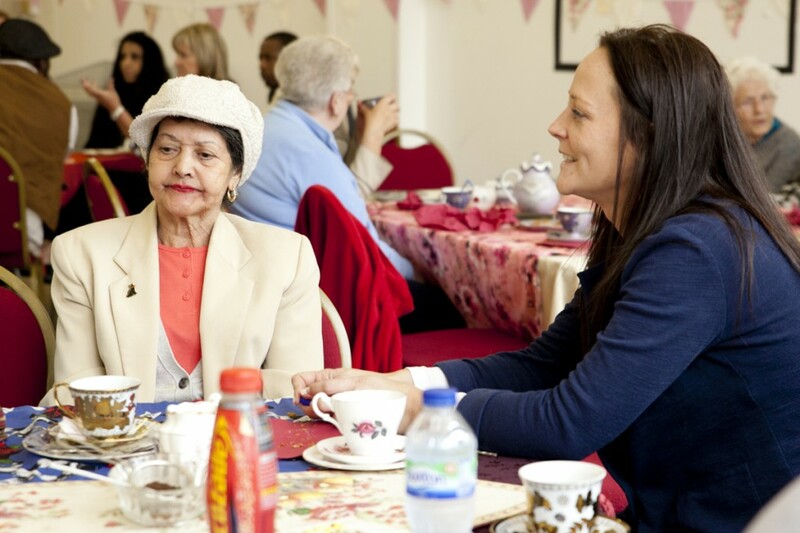 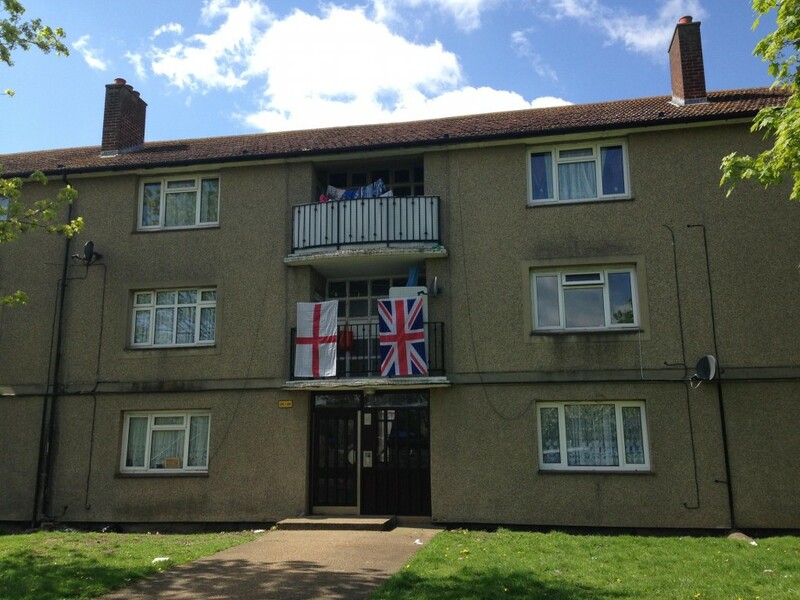 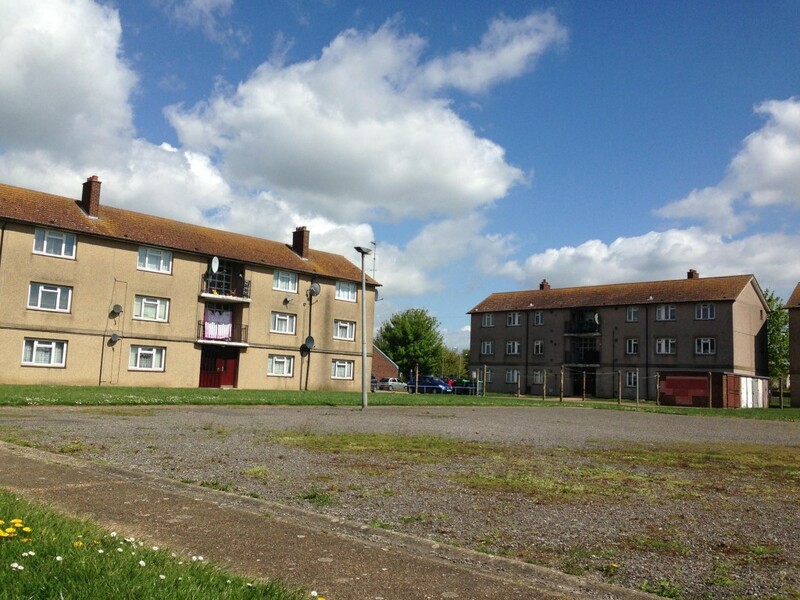 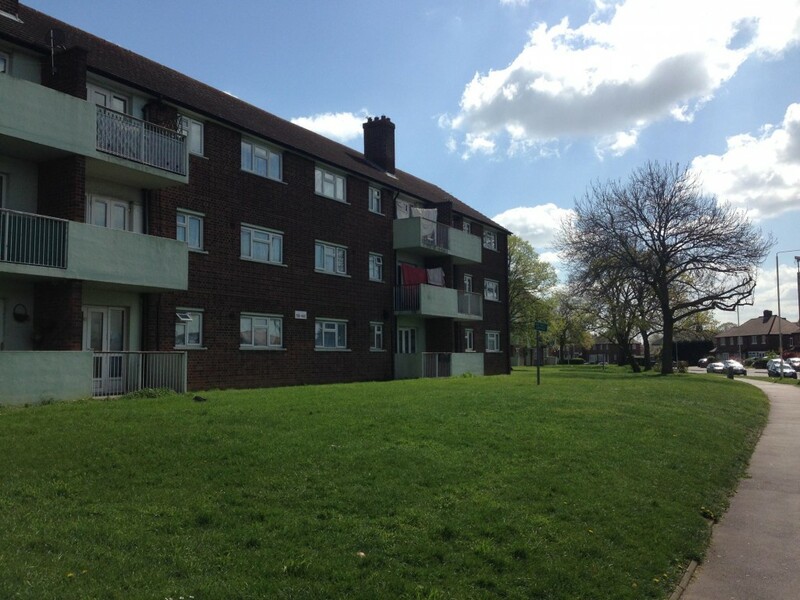 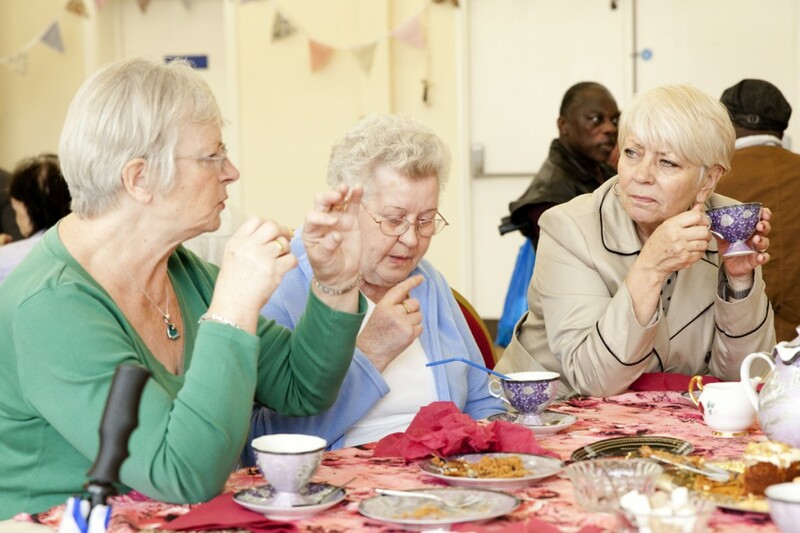 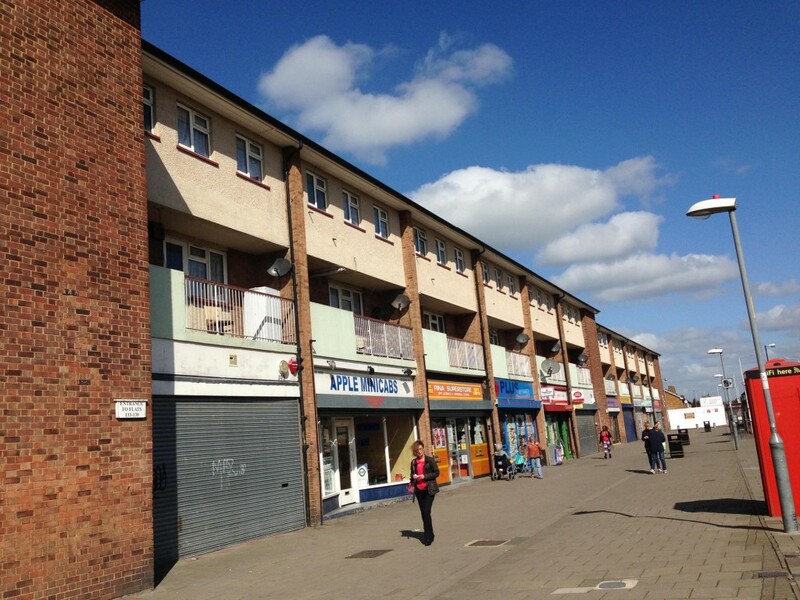 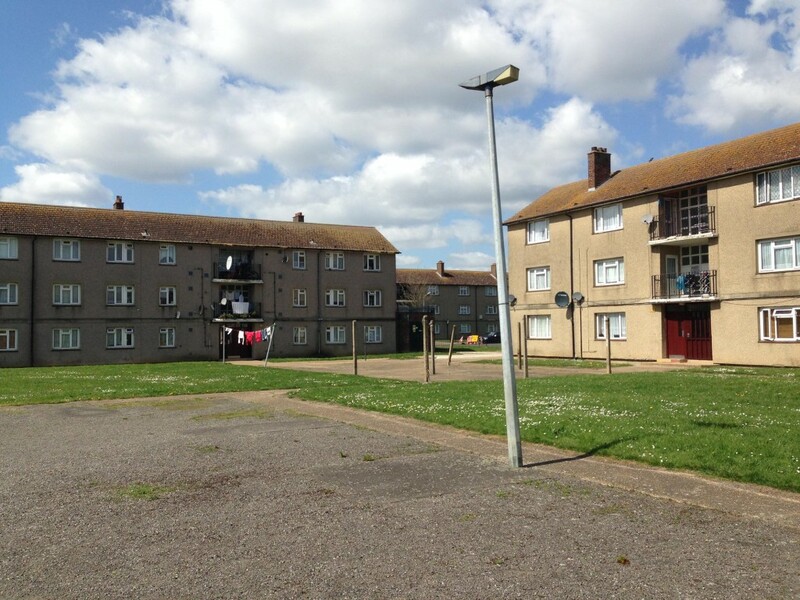 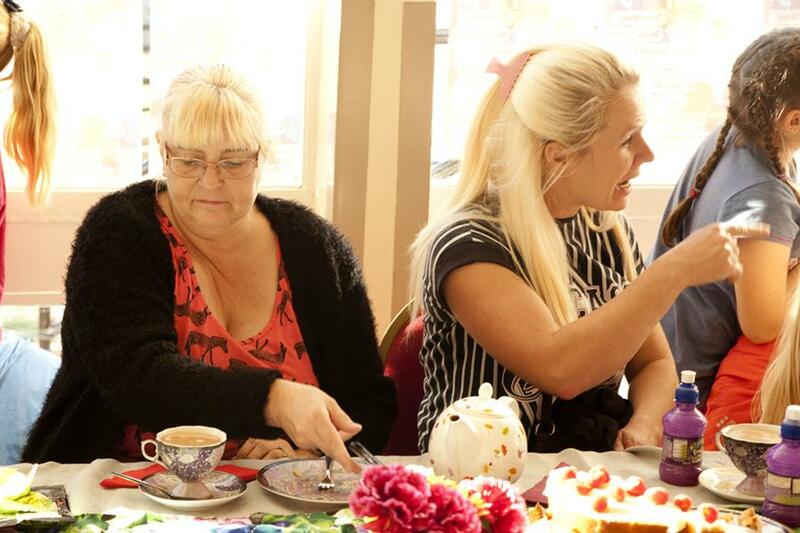 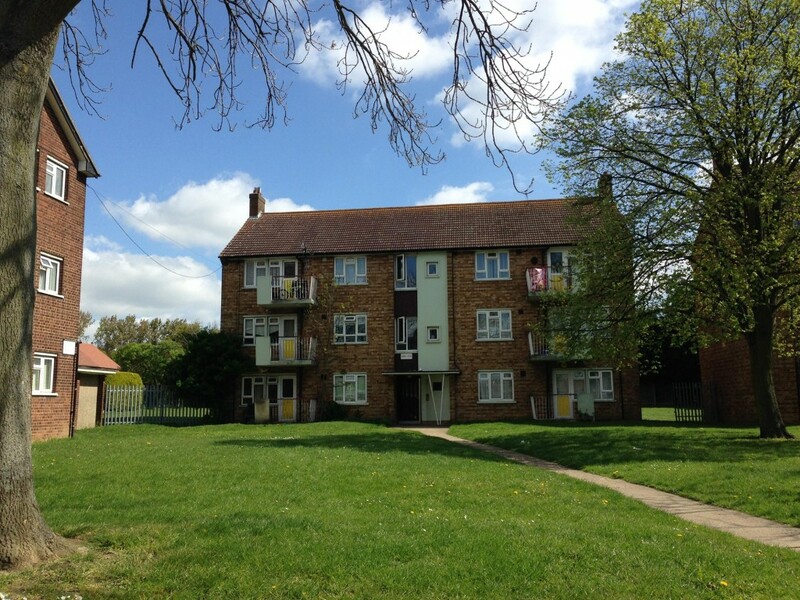 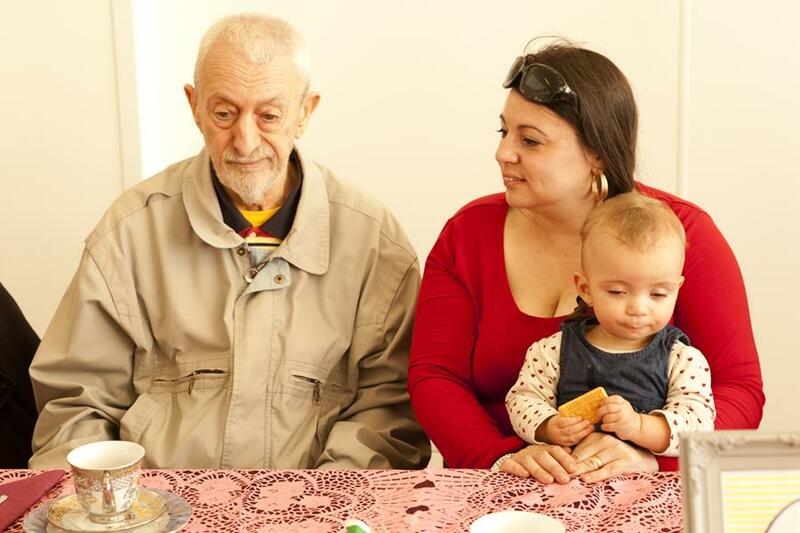 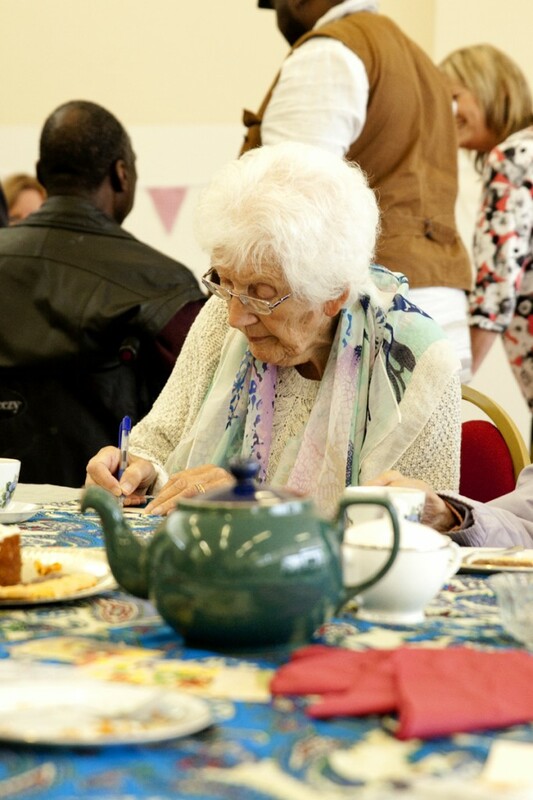 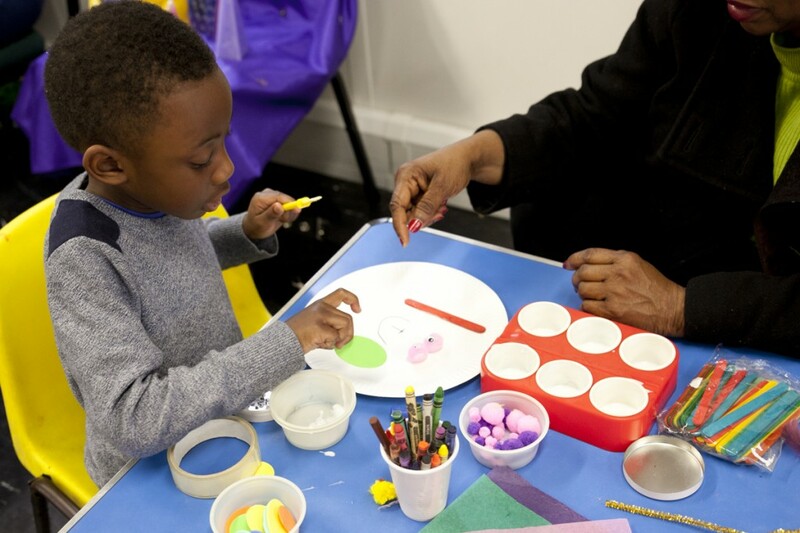 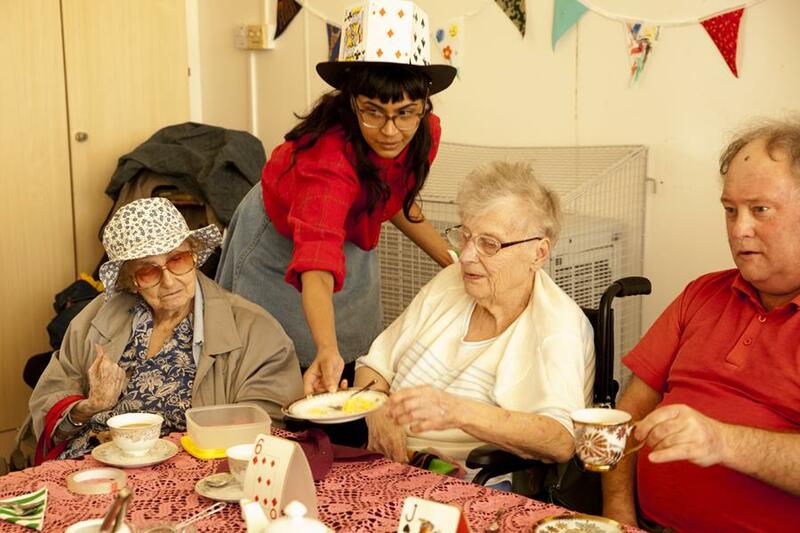 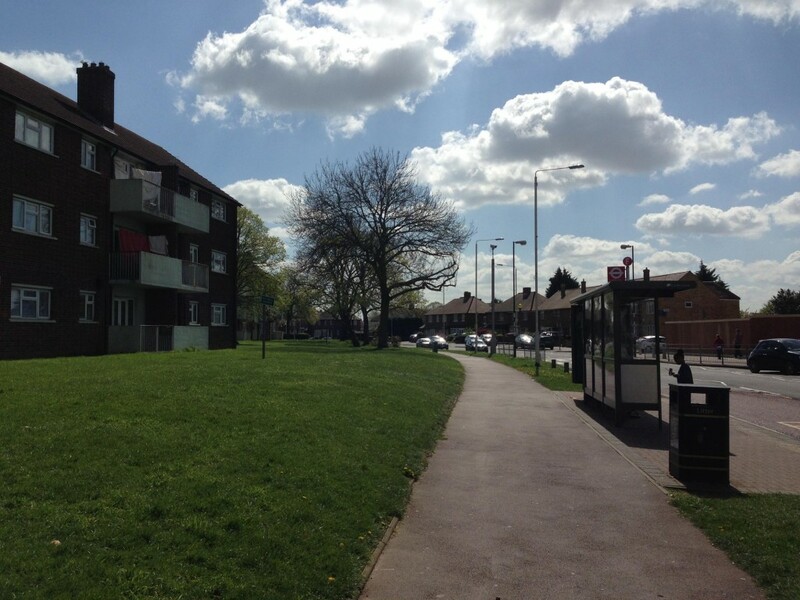 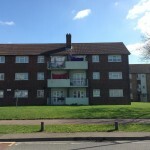 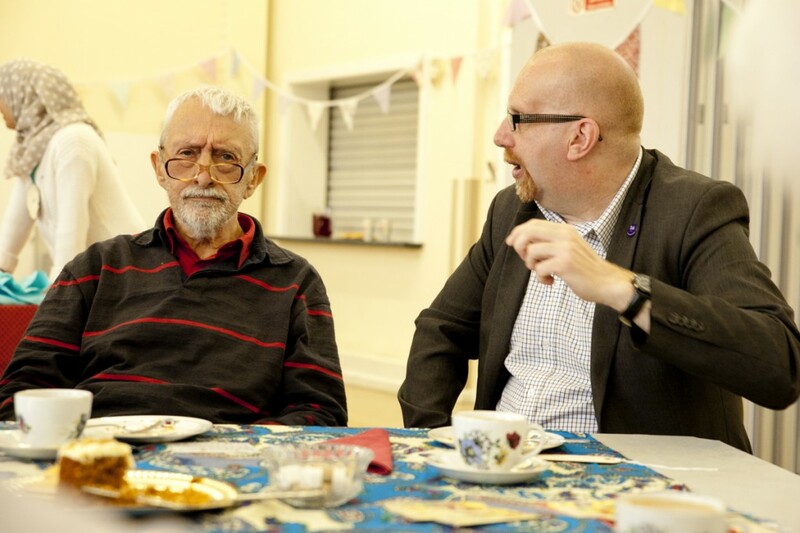 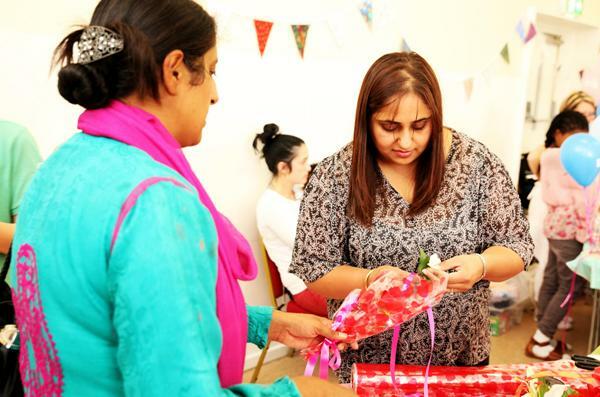 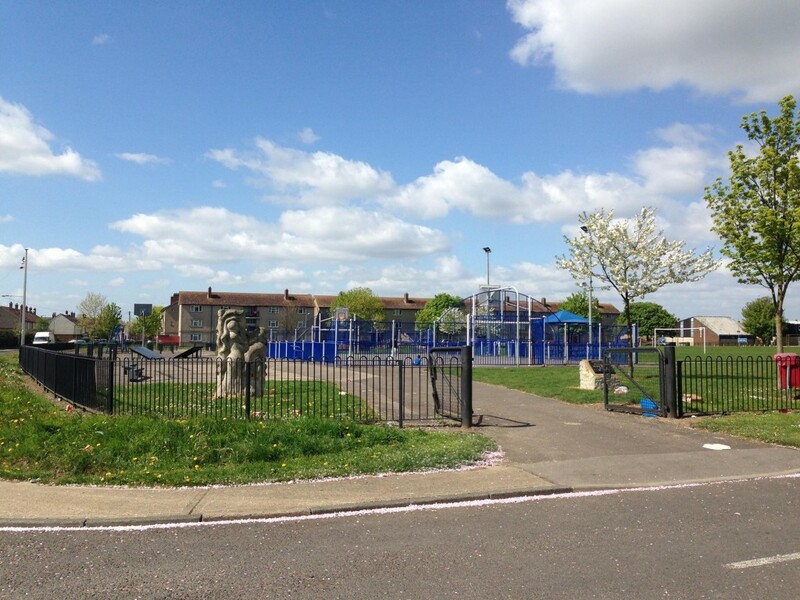 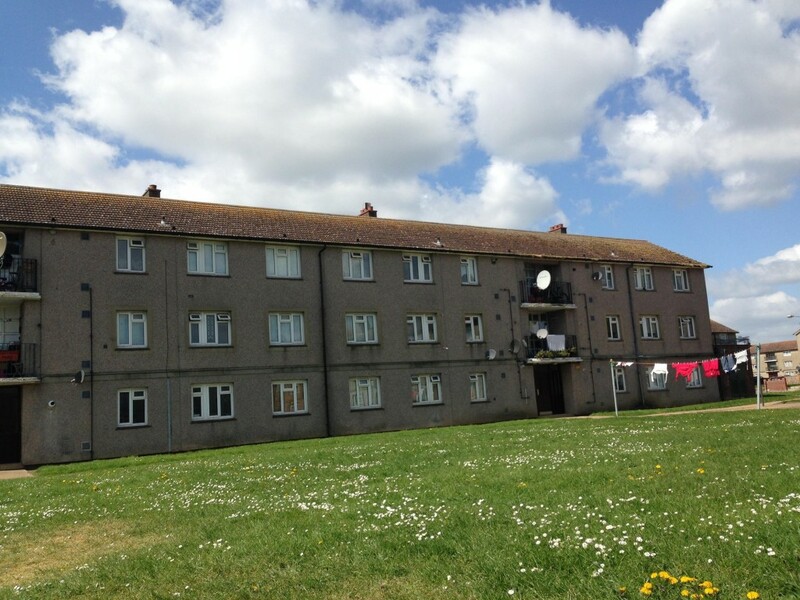 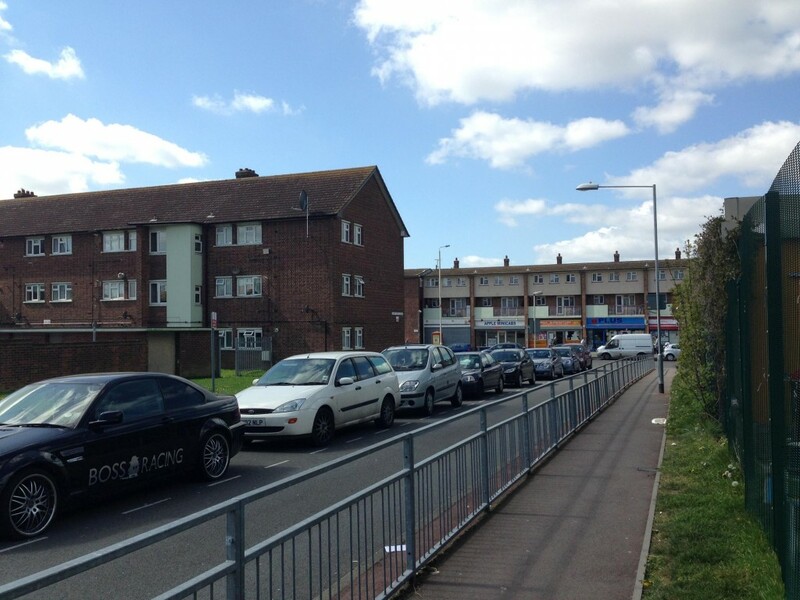 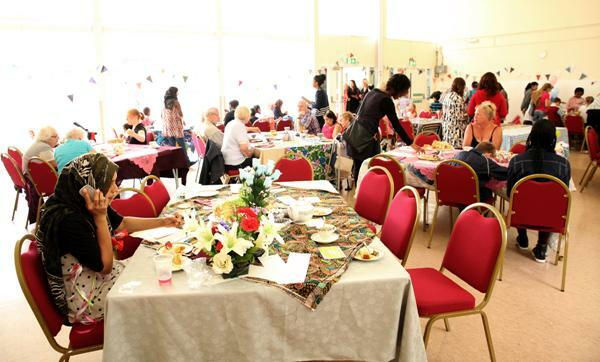 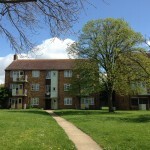 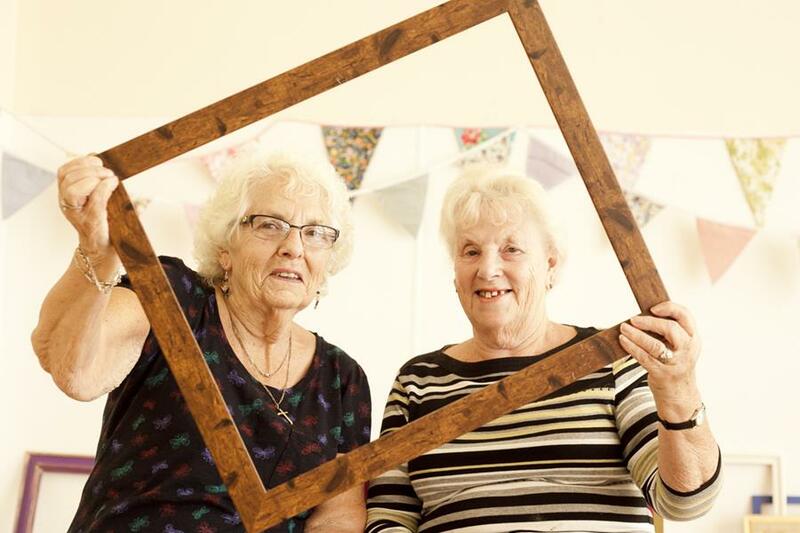 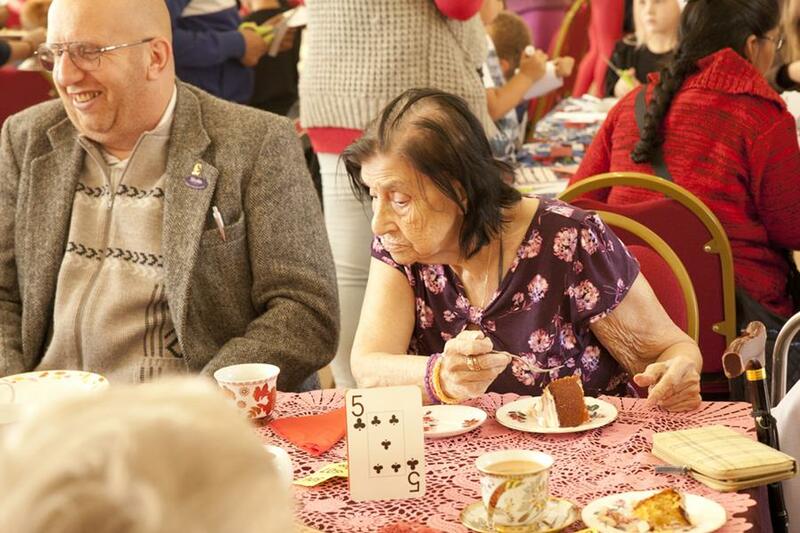 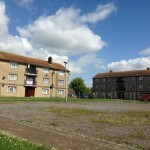 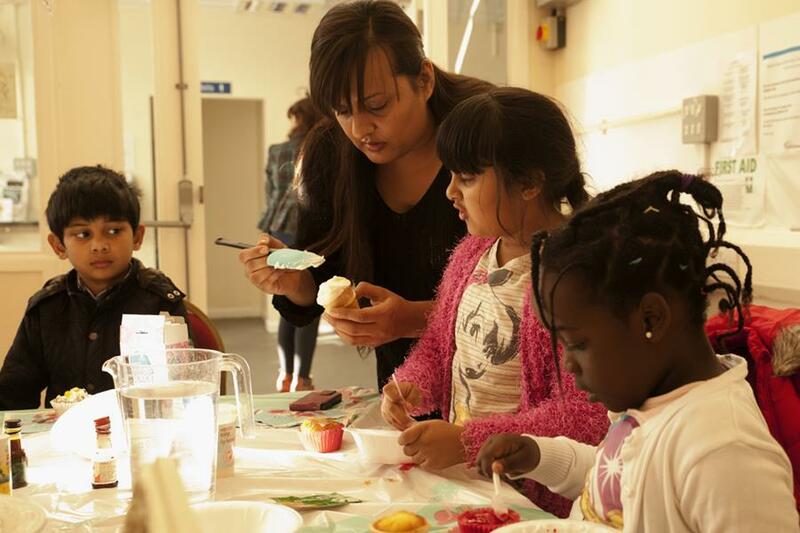 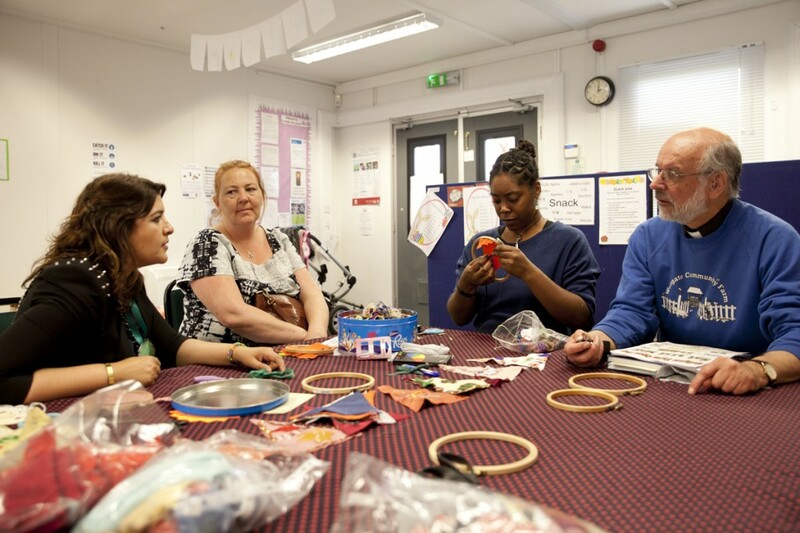 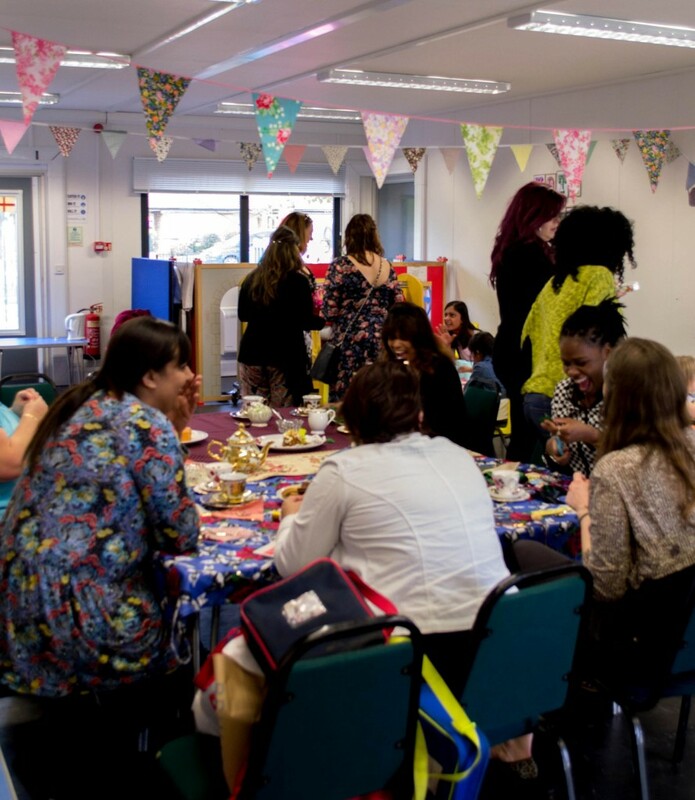 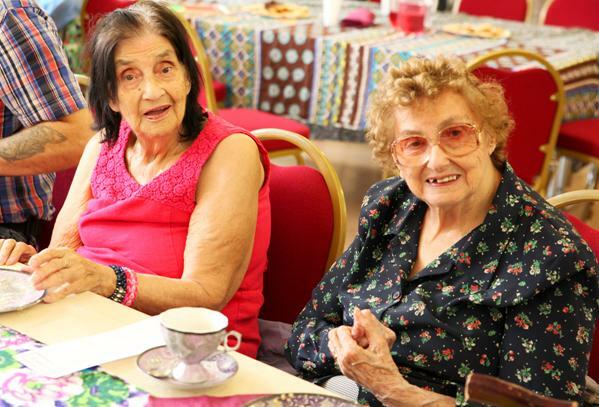 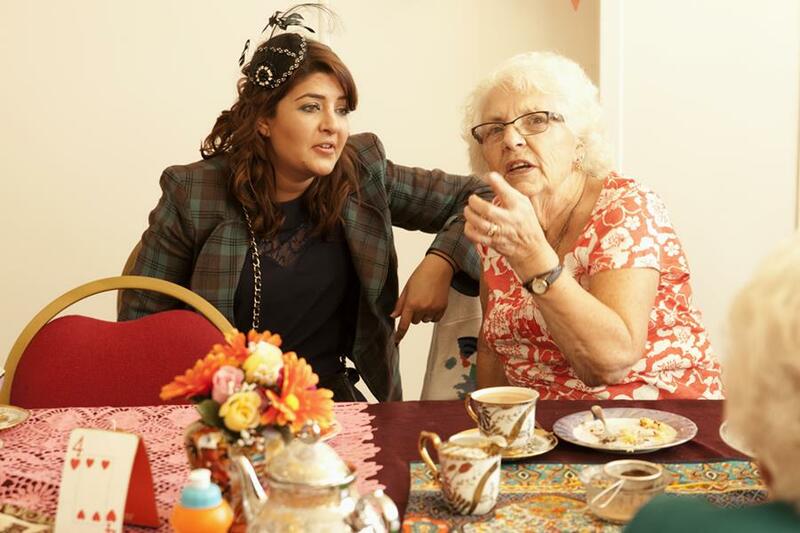 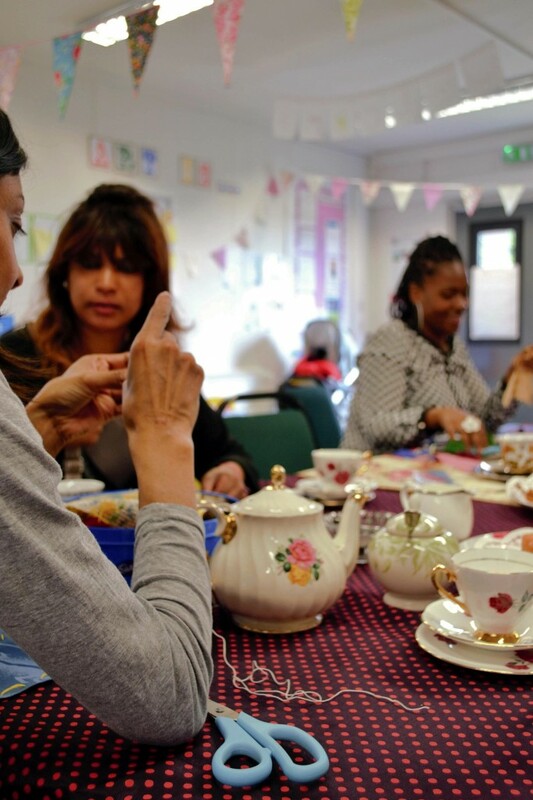 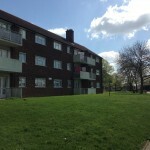 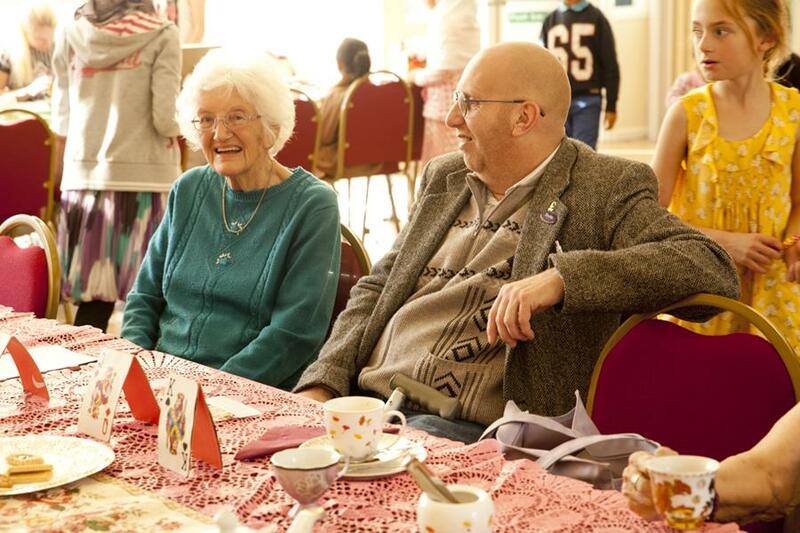 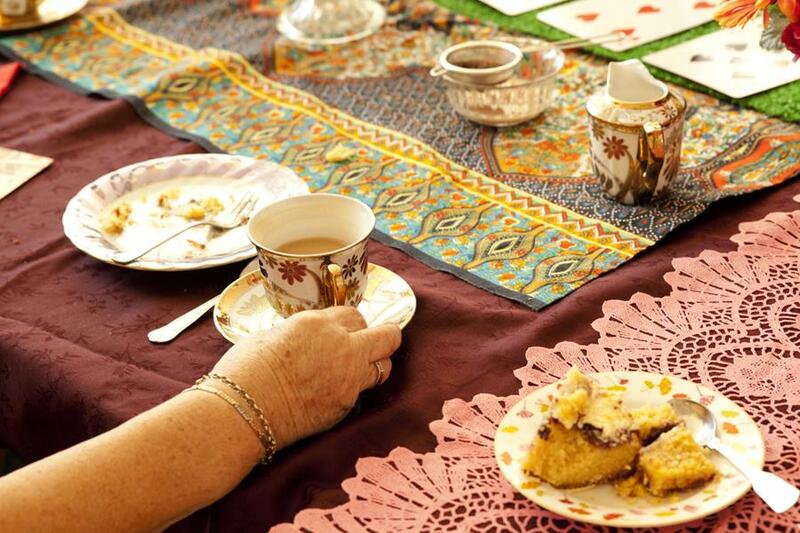 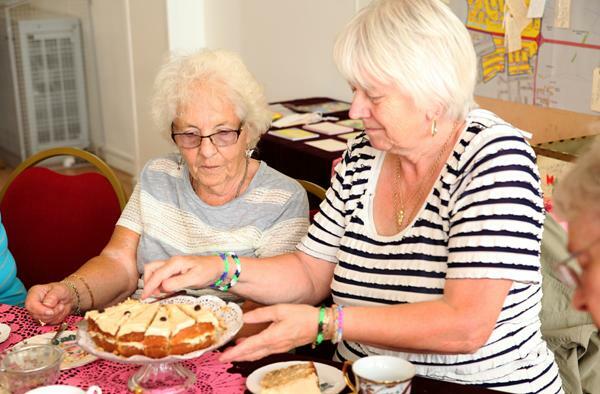 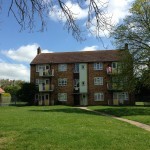 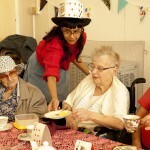 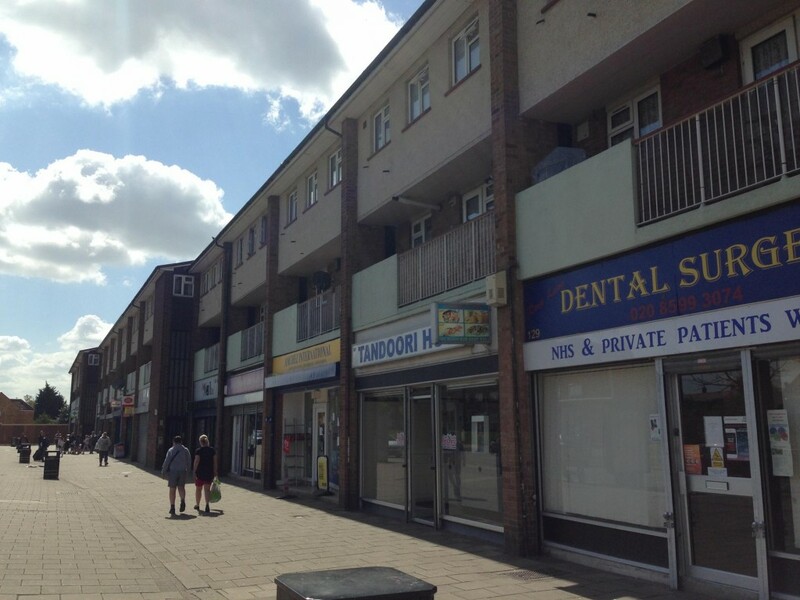 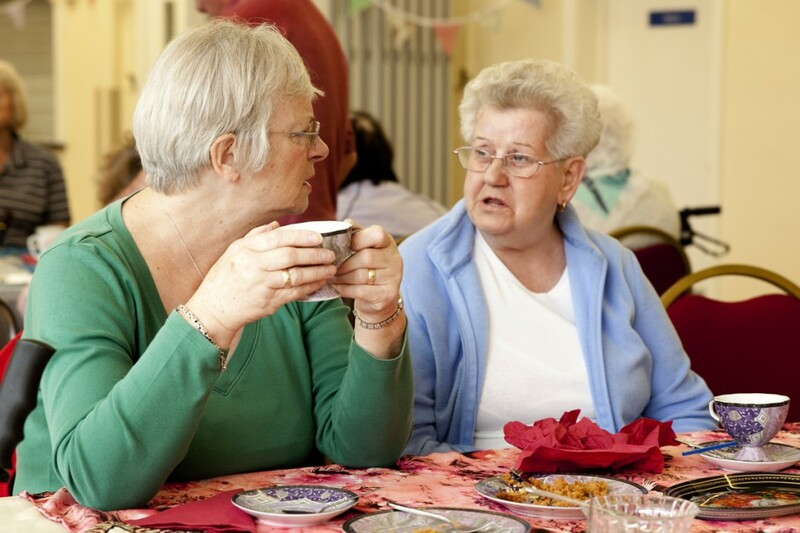 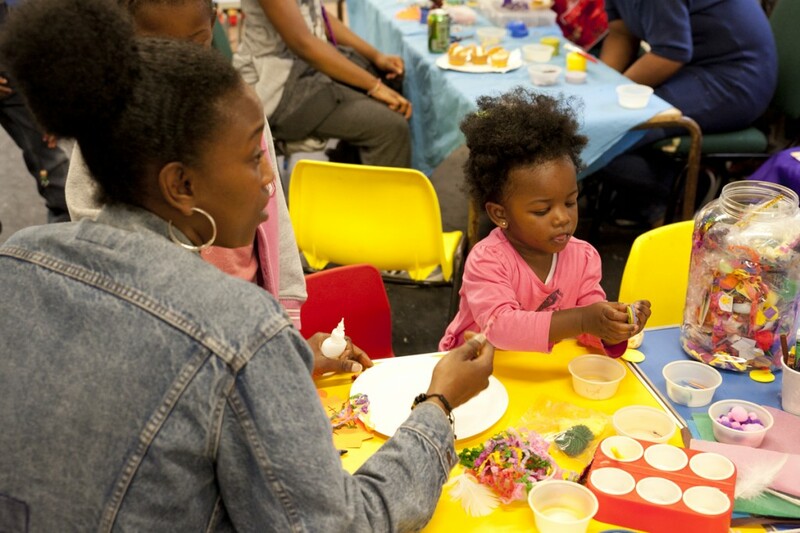 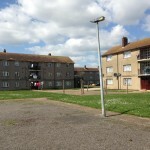 To kick off our ‘Marks Gate Pop-Ups’ in May, we hosted a special tea party at the Haven on Thursday 15th May, as part of the project ‘A Local Dialogue’ on the Marks Gate estate in Barking & Dagenham’. 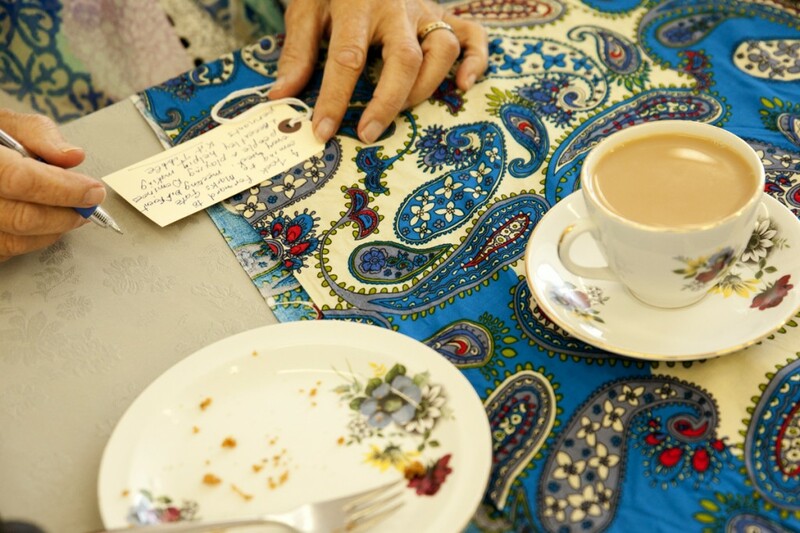 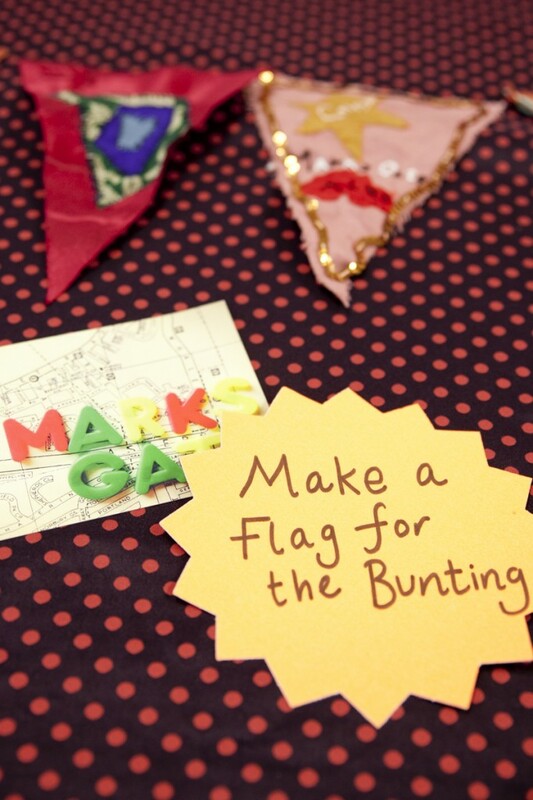 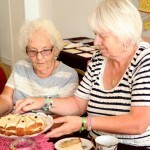 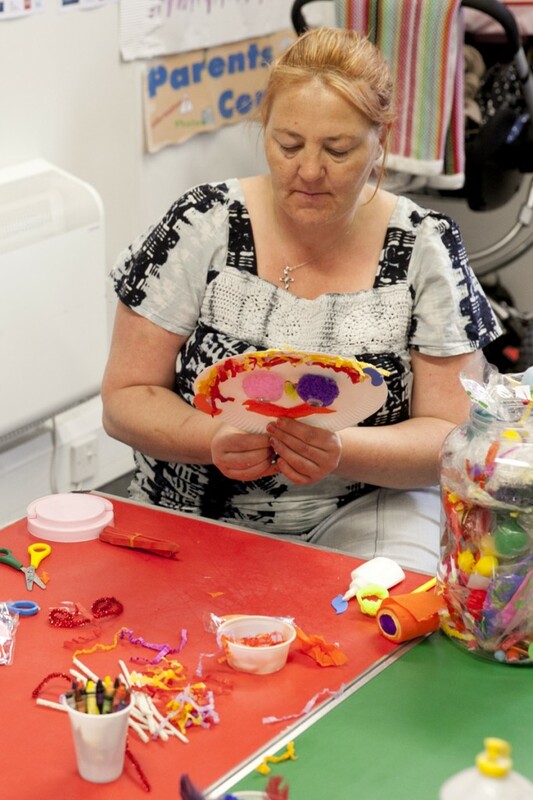 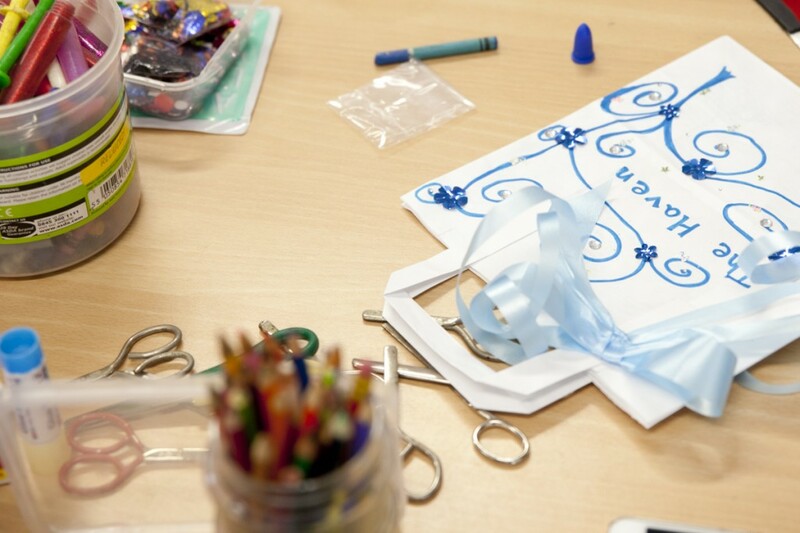 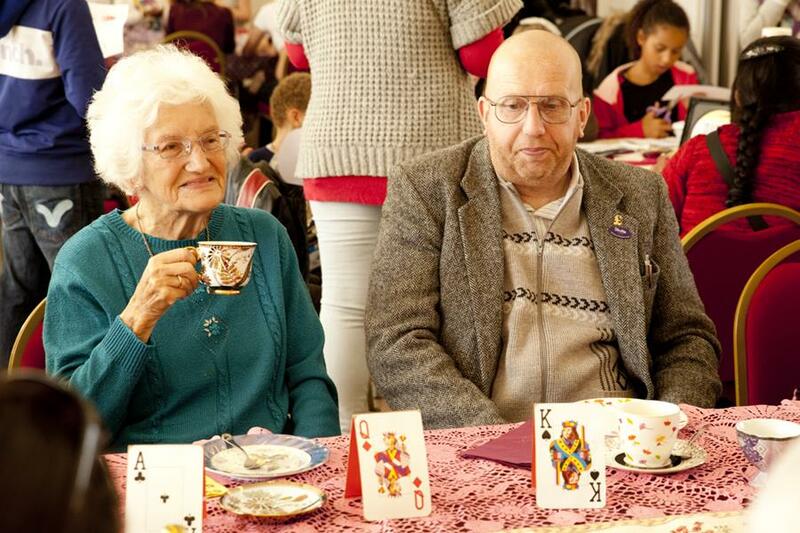 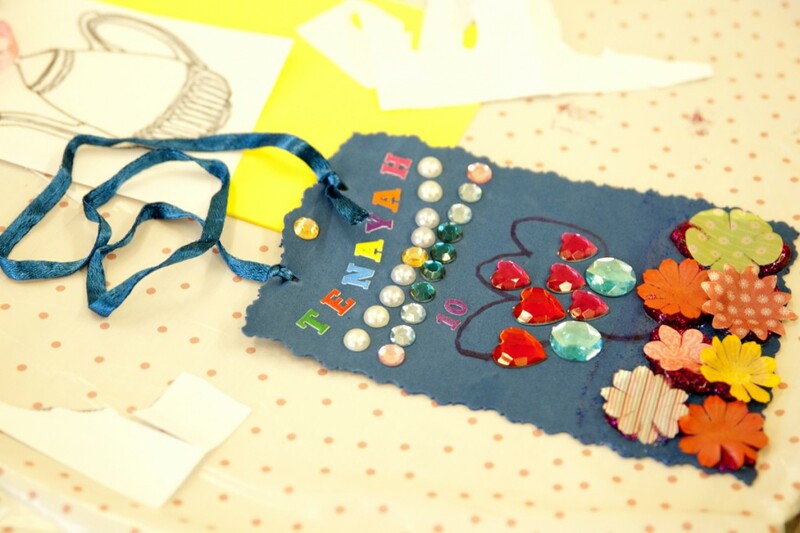 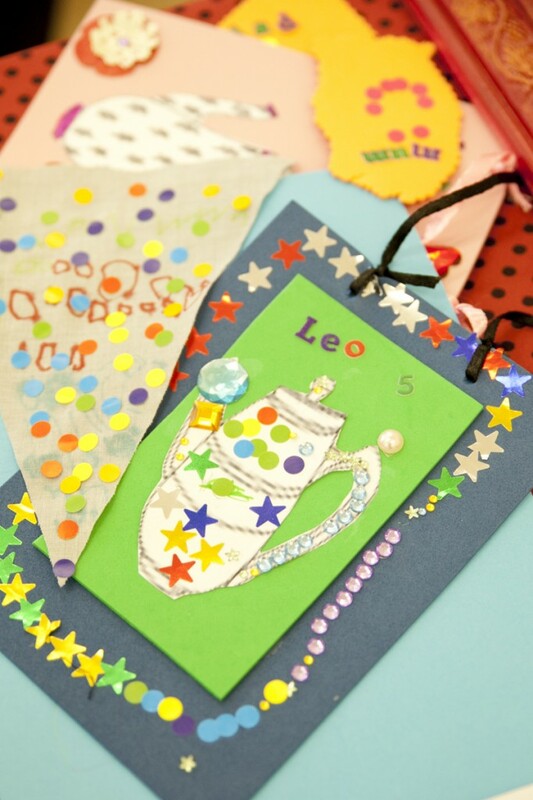 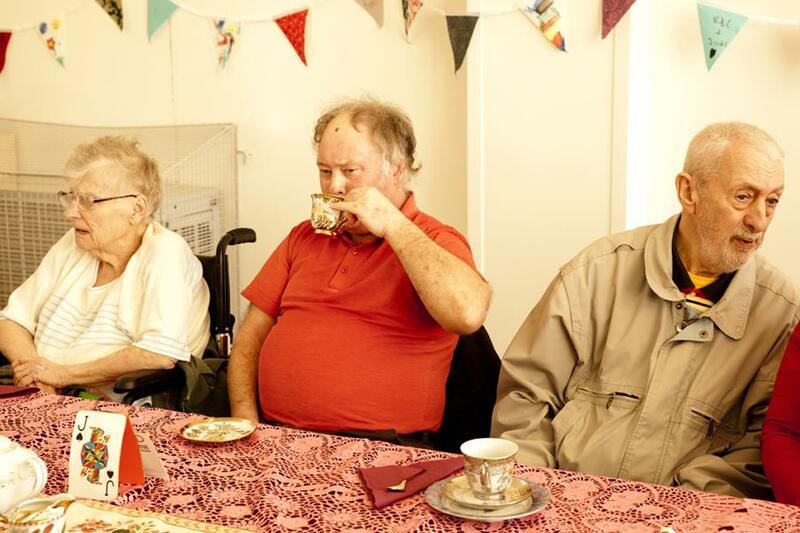 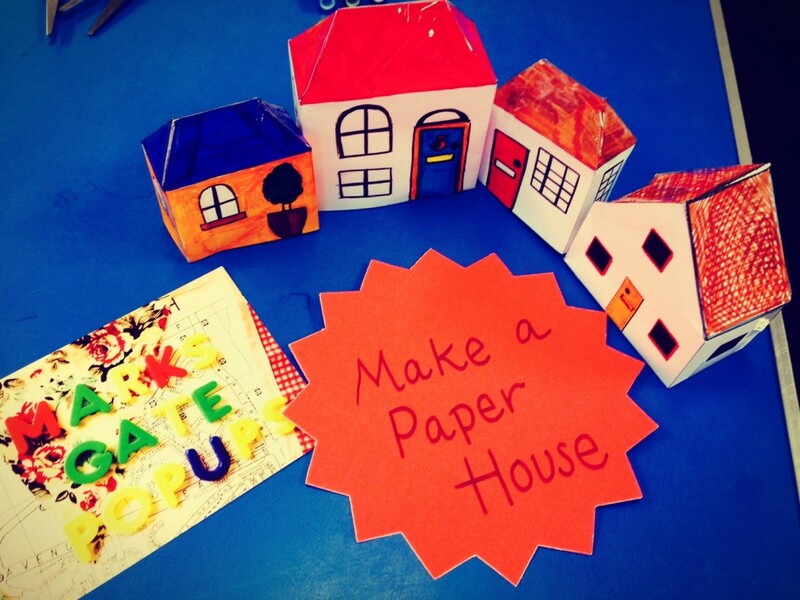 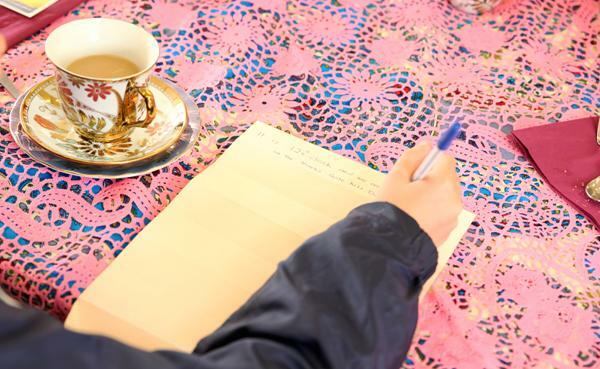 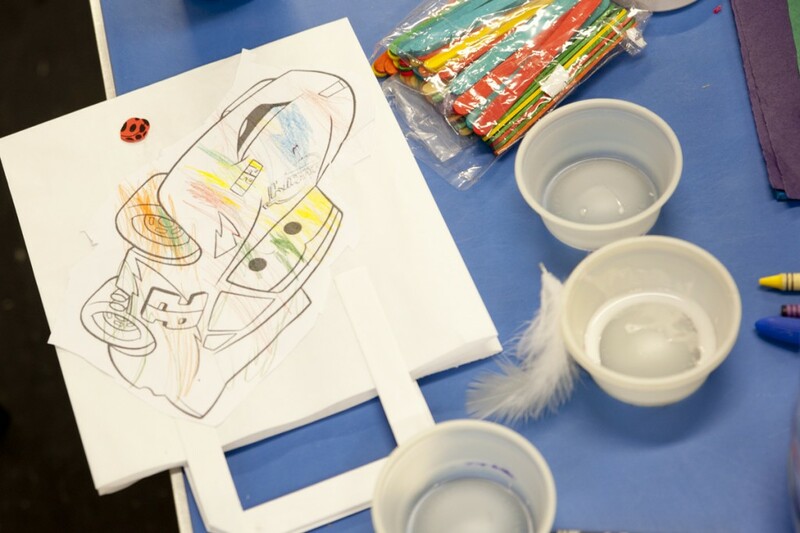 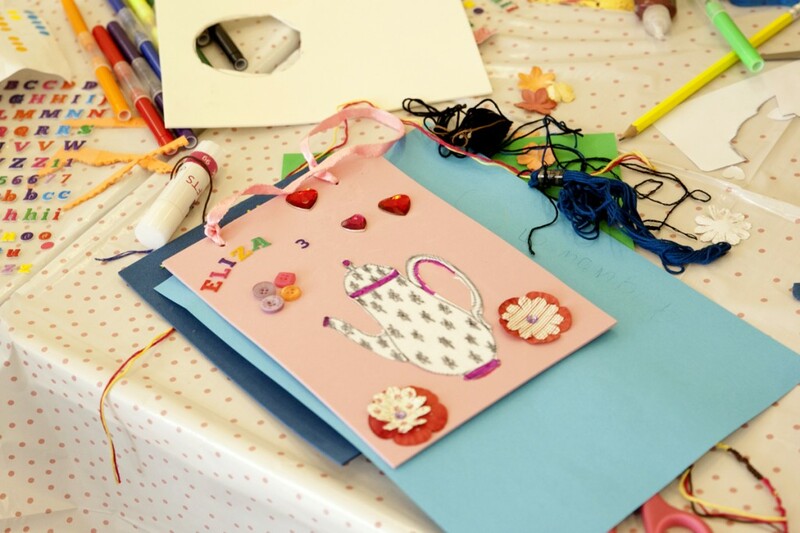 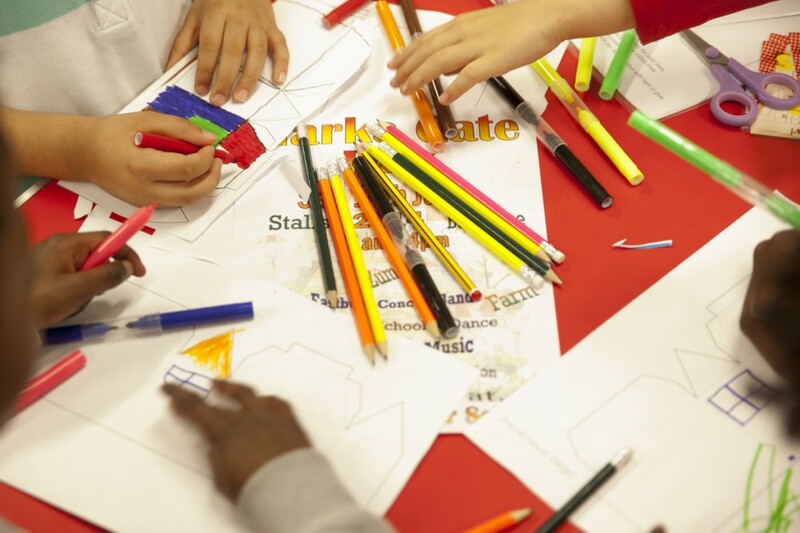 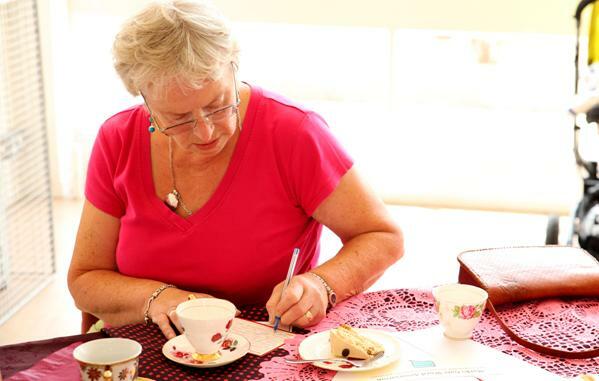 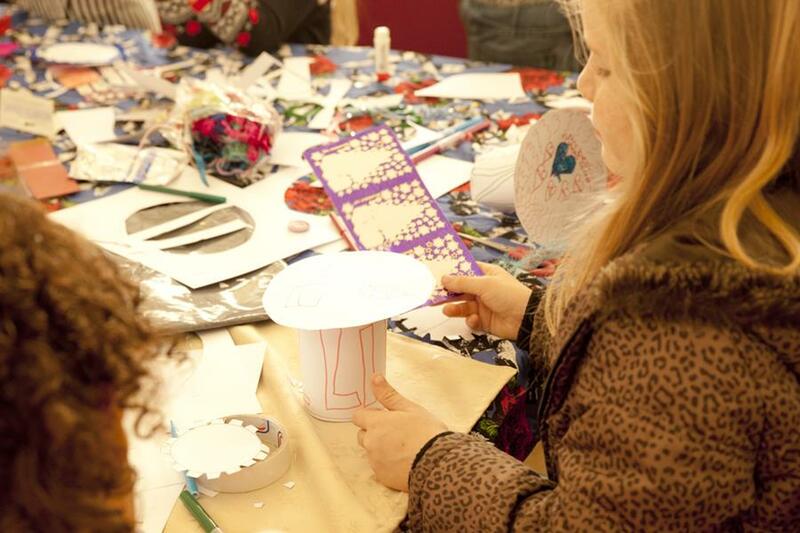 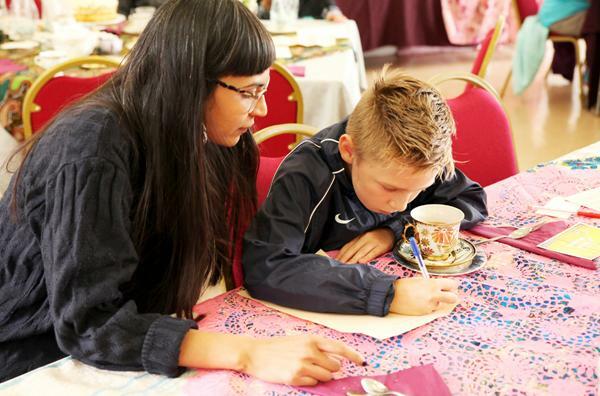 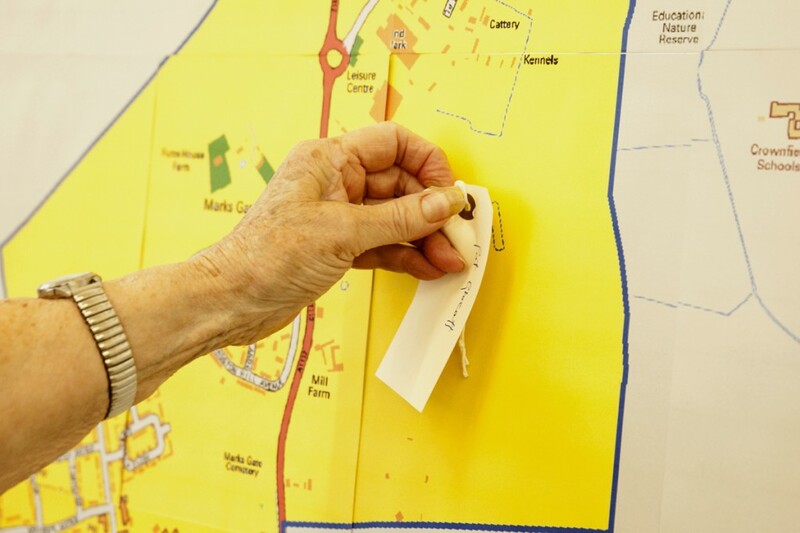 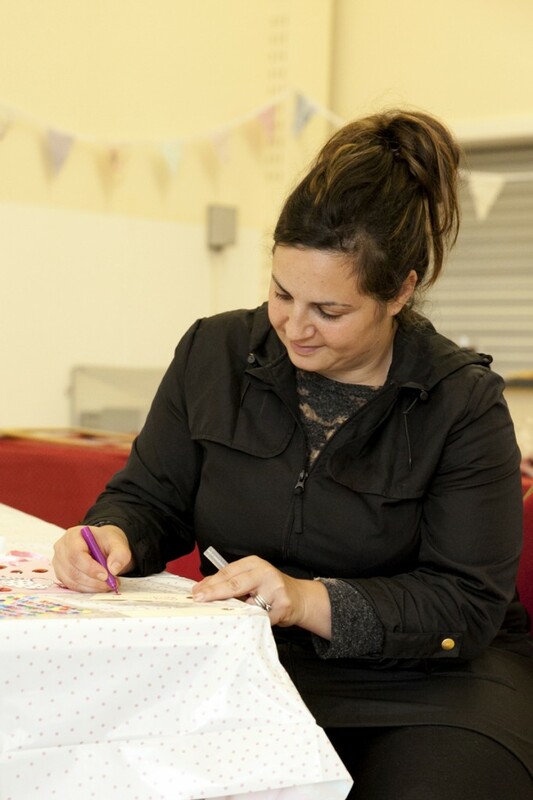 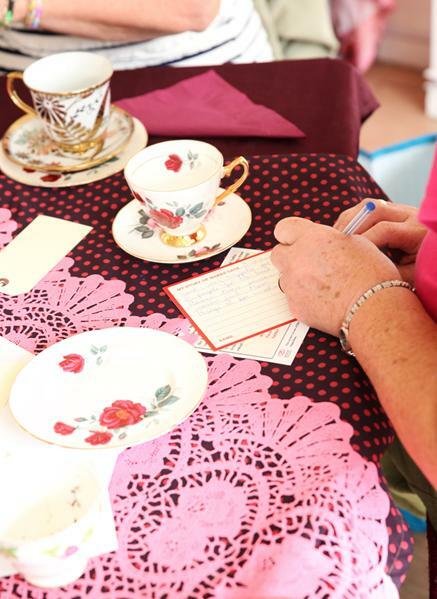 Guests were able to have a cuppa tea and a slice of cake whilst designing and making their own ‘Marks Gate Paper Tea Cup’, or a flag for the ‘Marks Gate Bunting’ project. 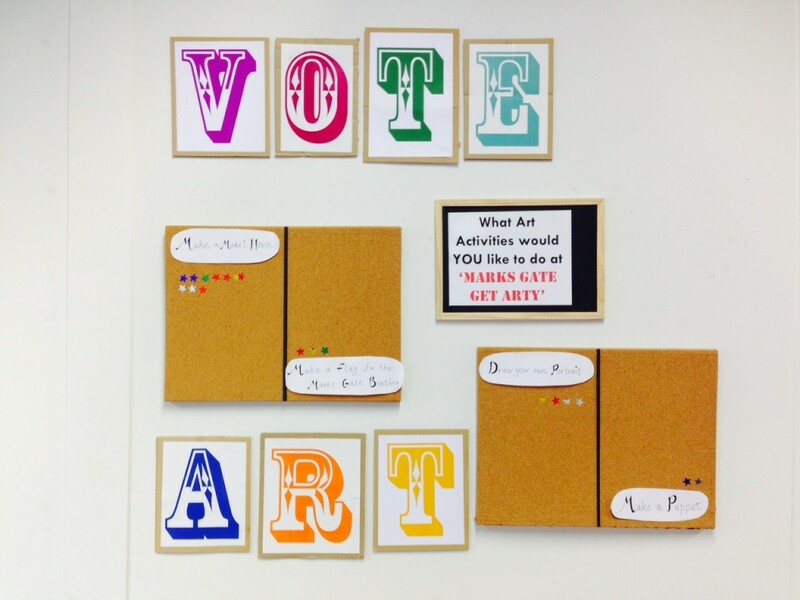 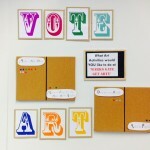 Other activities included Vote Art’ and contributing to the ‘Art is…..’ display.